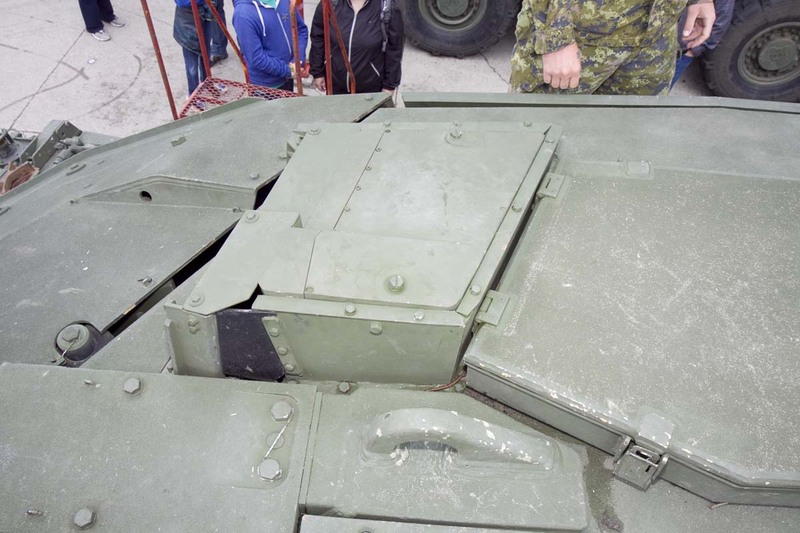 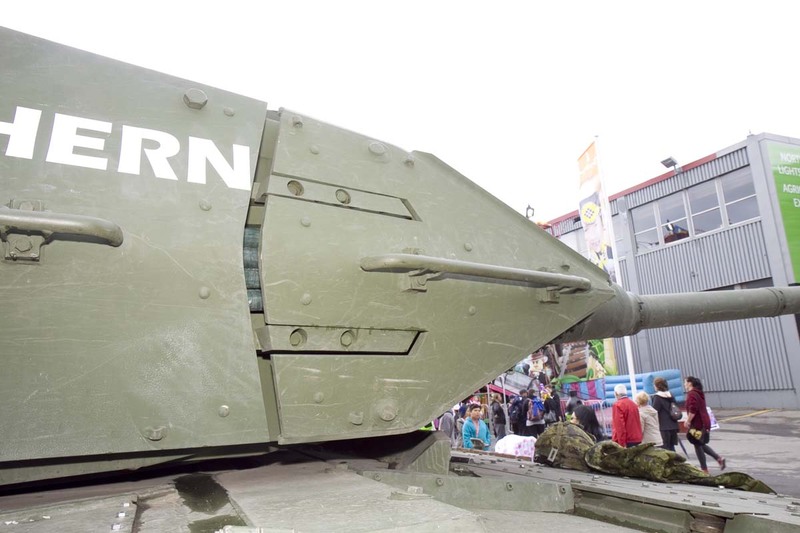 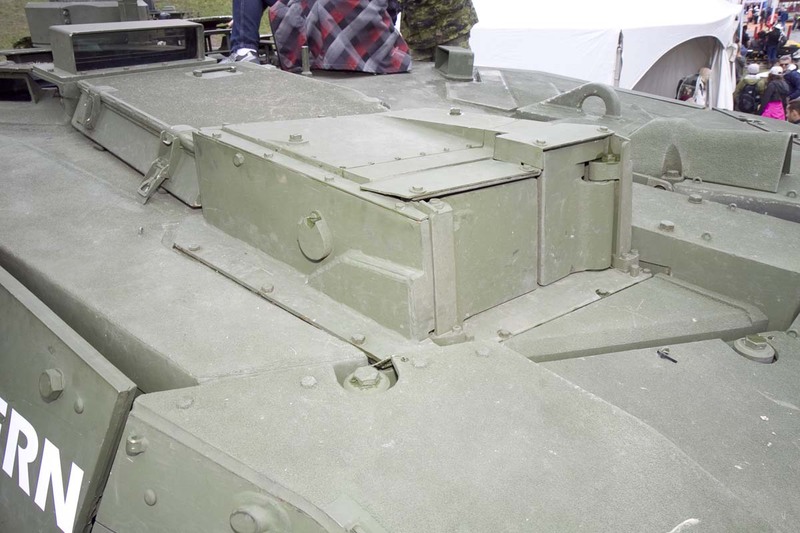 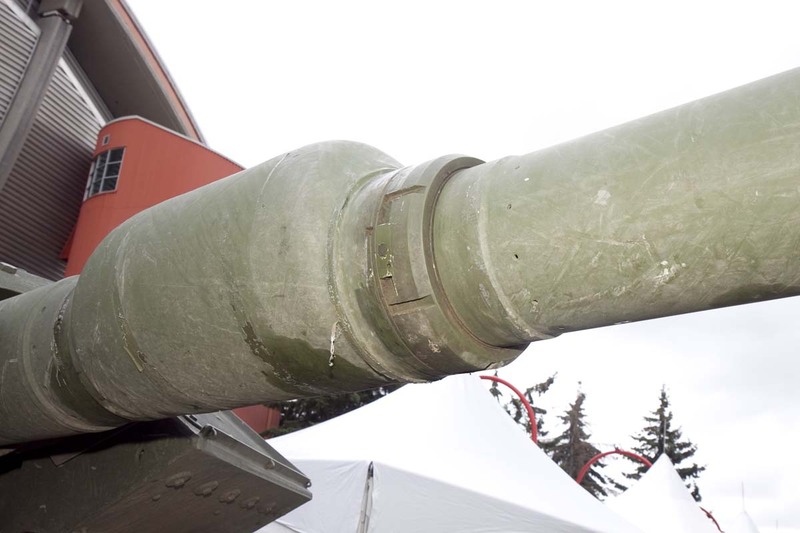 The 2A6M CAN is Canada's front-line tank alongside the 2A4M CAN (which gets most of the publicity). 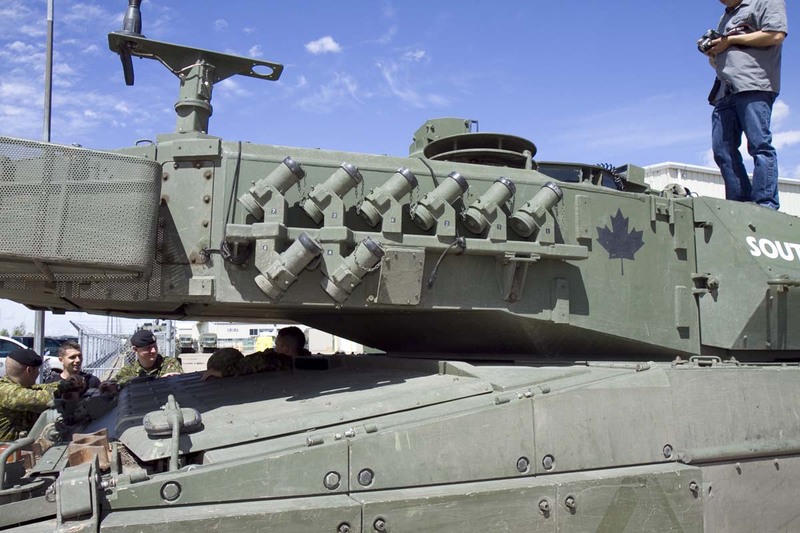 The vehicle depicted in these photographs is operated by the Lord Strathcona's Horse (Royal Canadians) Regiment. 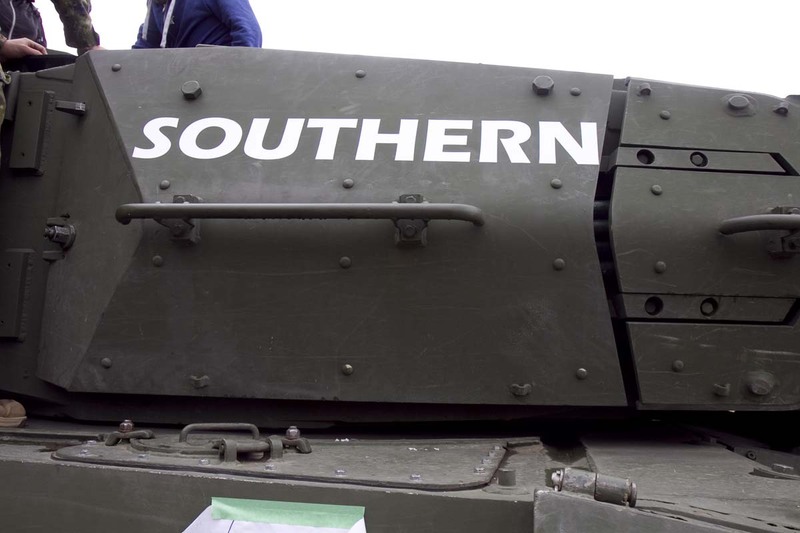 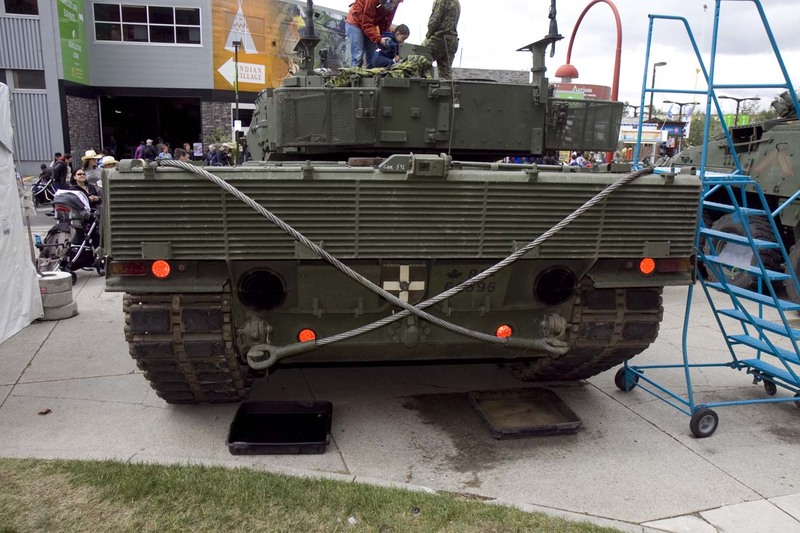 The vehicle was named 'Southern' as a tribute to Ron and Margaret Southern who founded the Spruce Meadows equestrian facility in 1976. 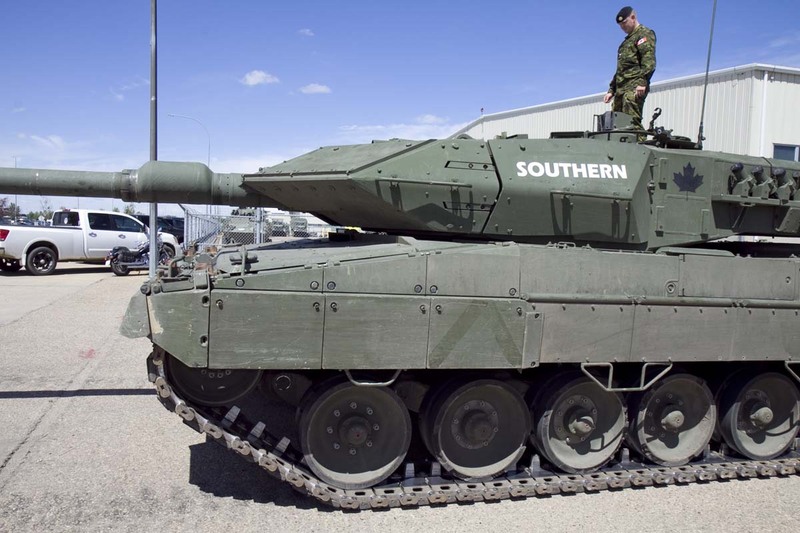 The Southern family have enjoyed a very close relationship with the Strathcona's Regiment and have been huge supporters of the Strathcona's Mounted Troop. 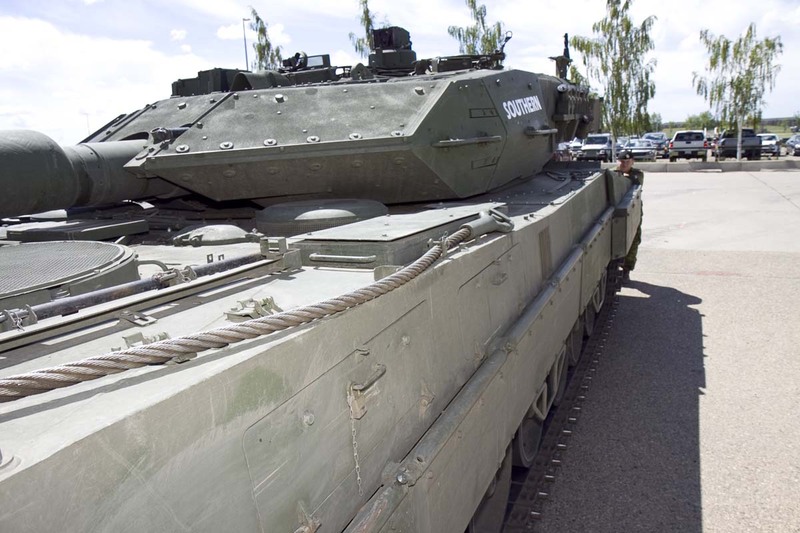 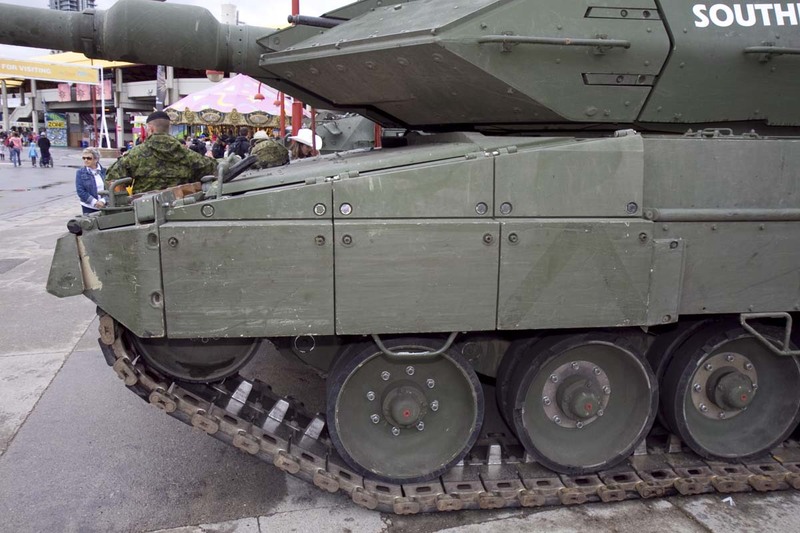 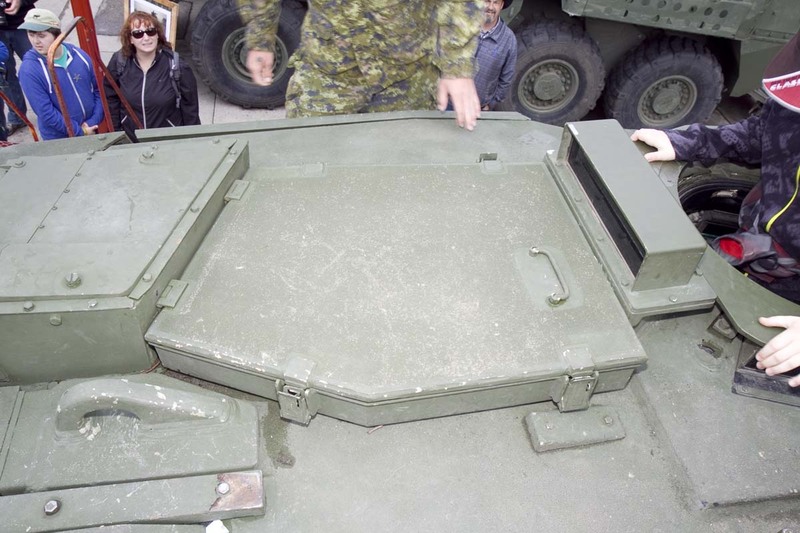 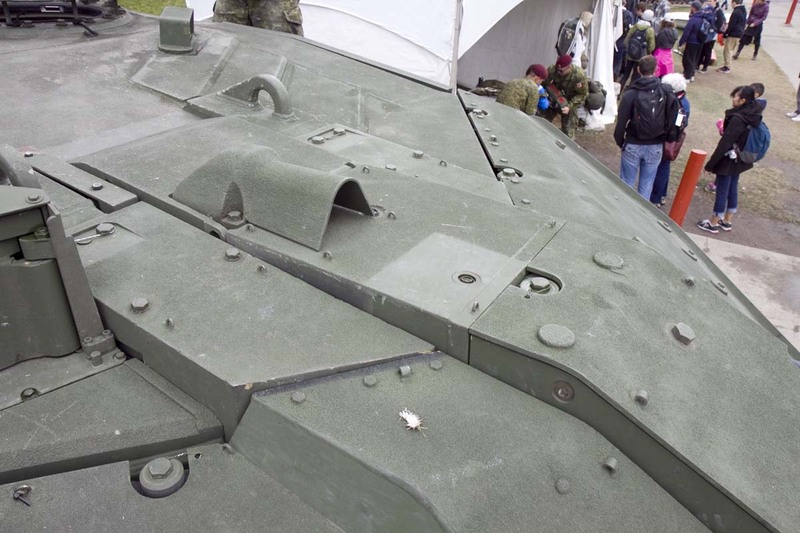 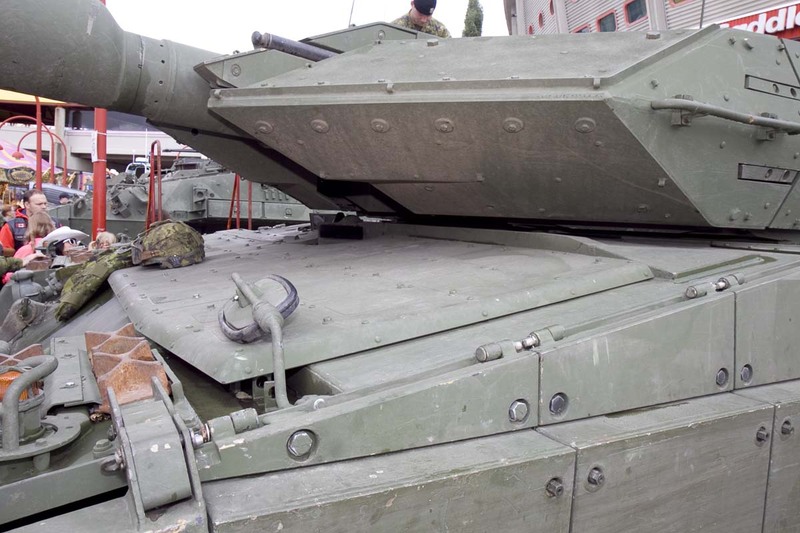 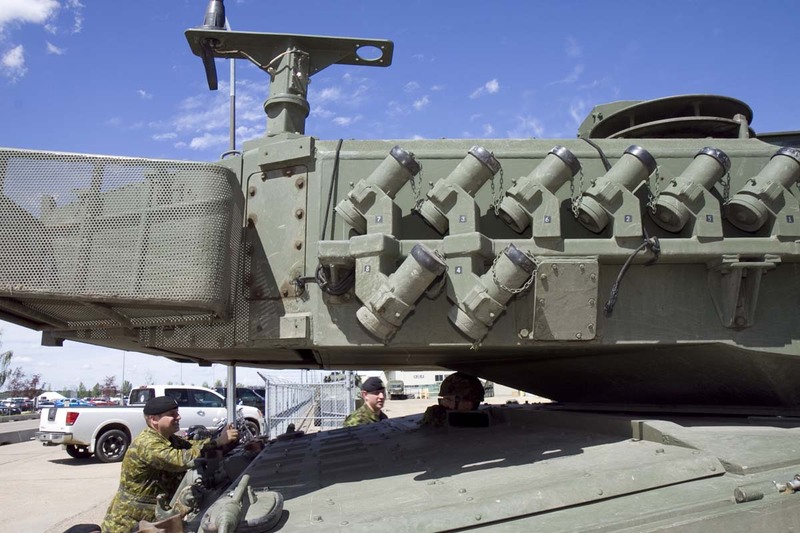 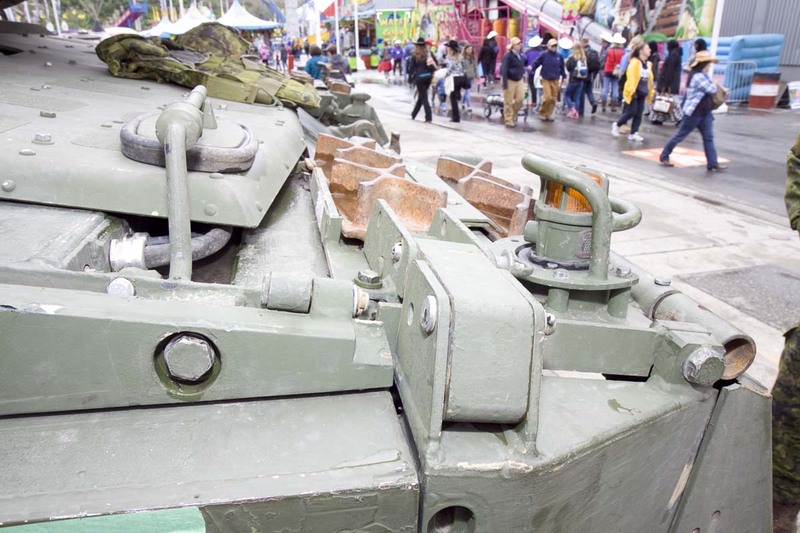 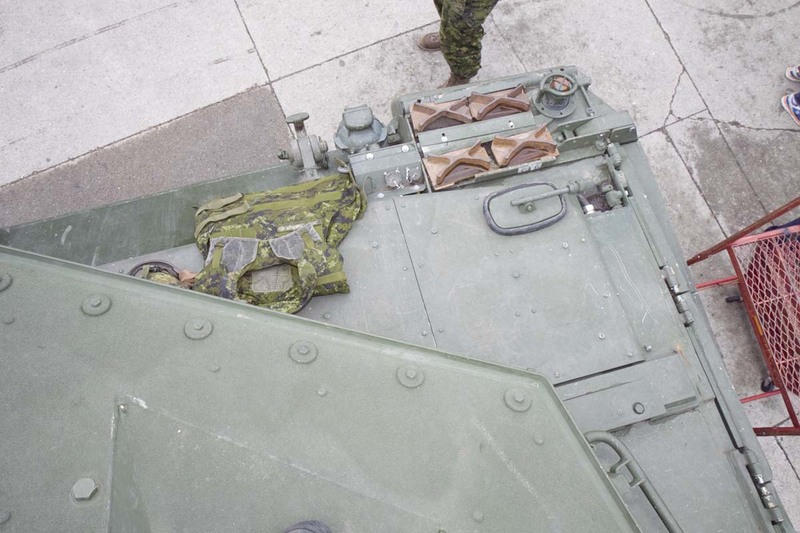 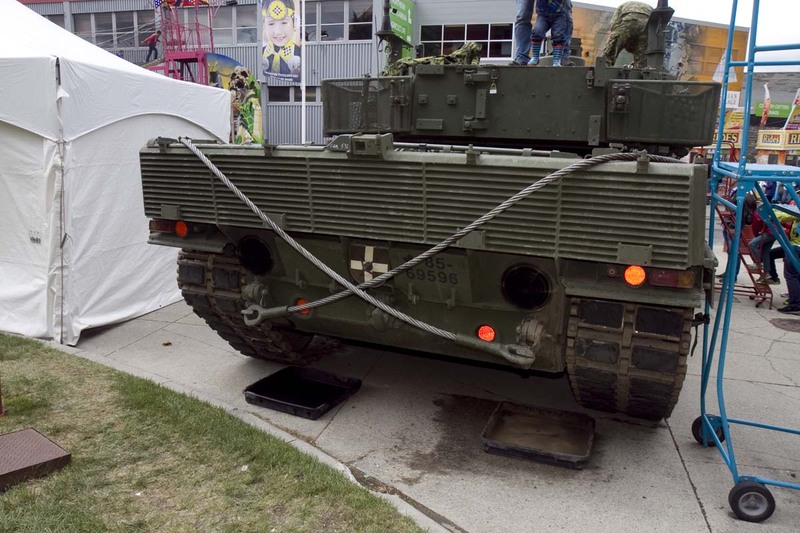 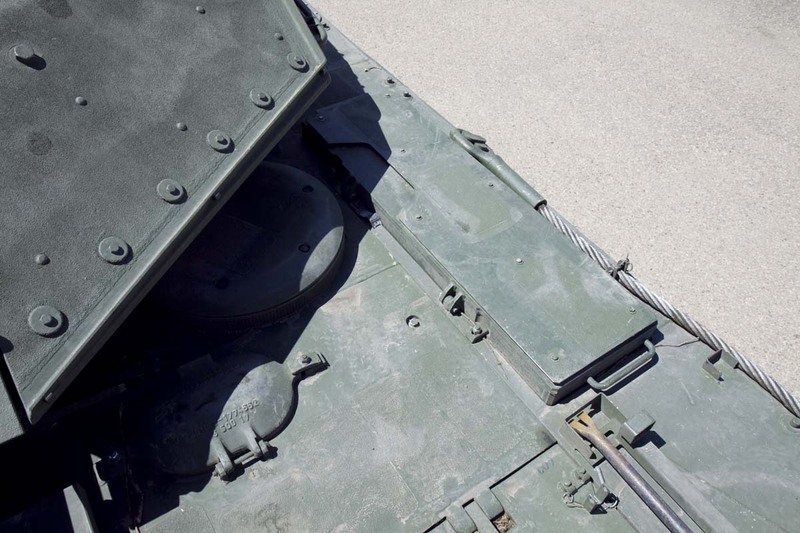 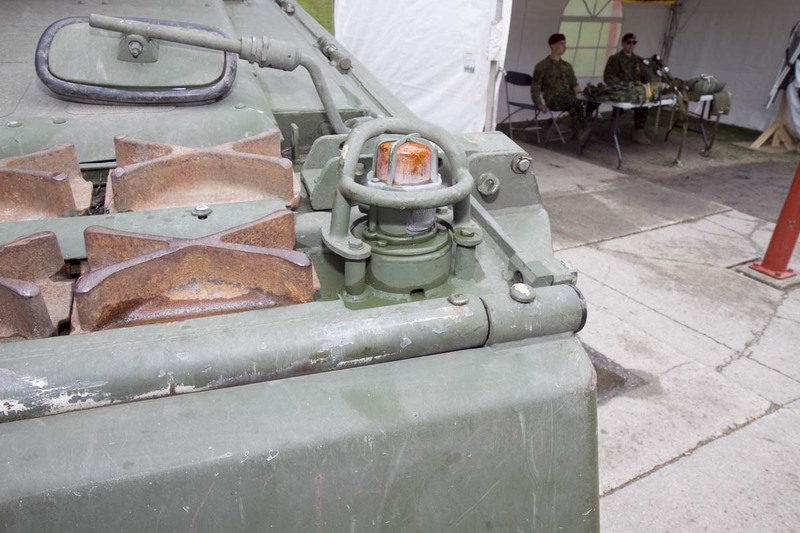 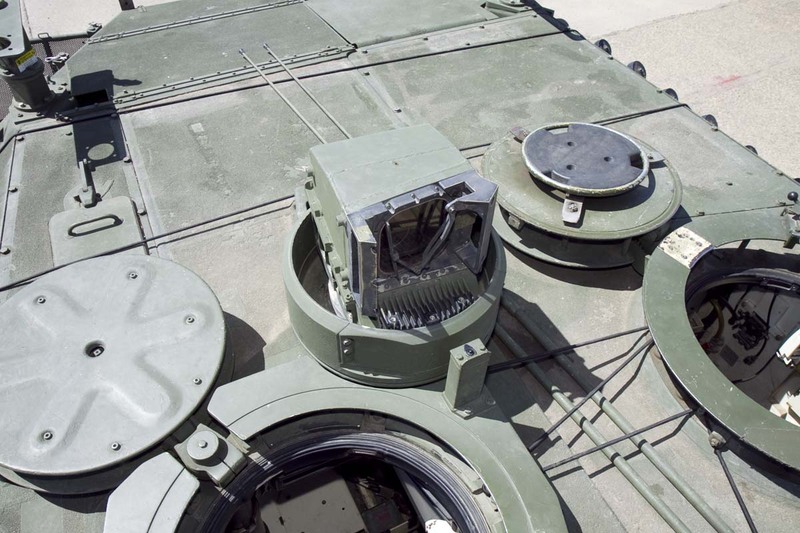 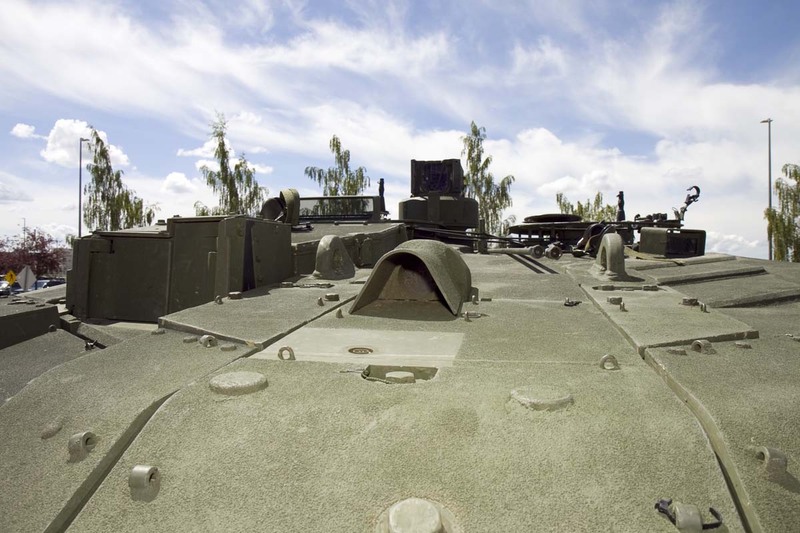 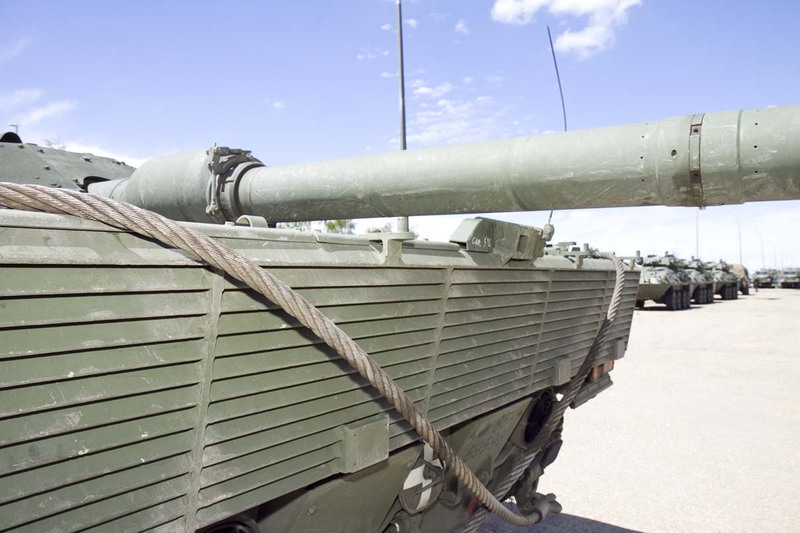 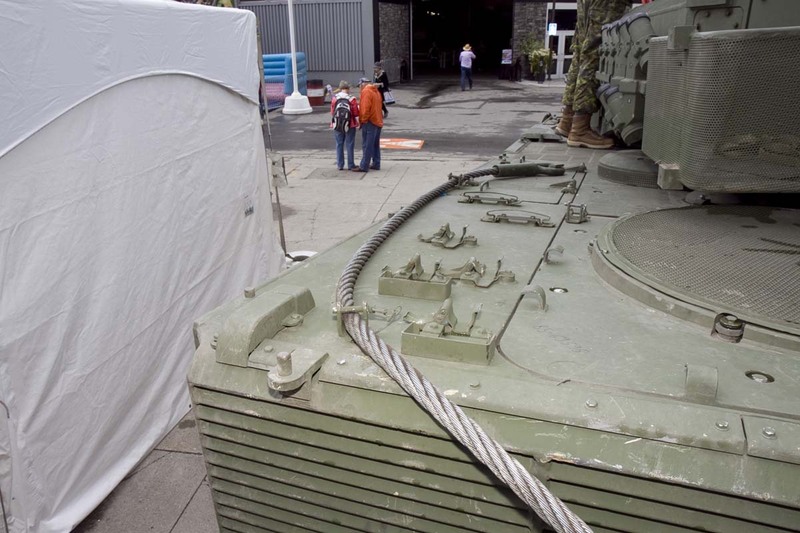 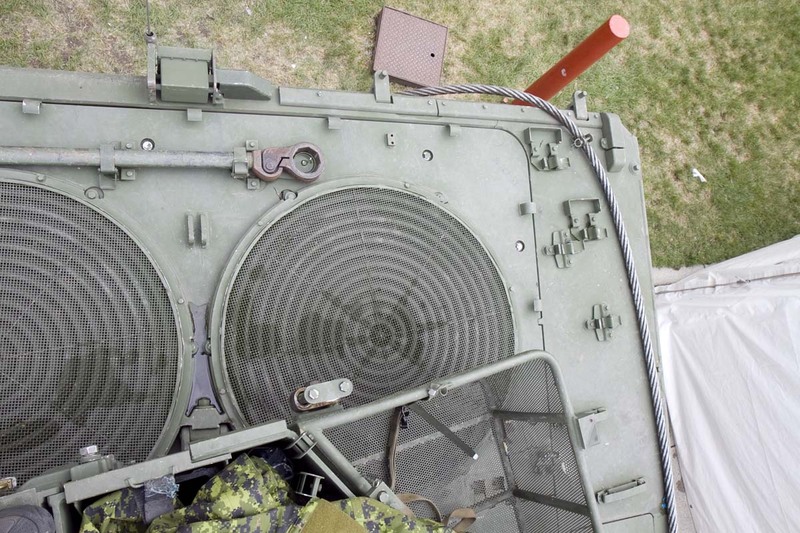 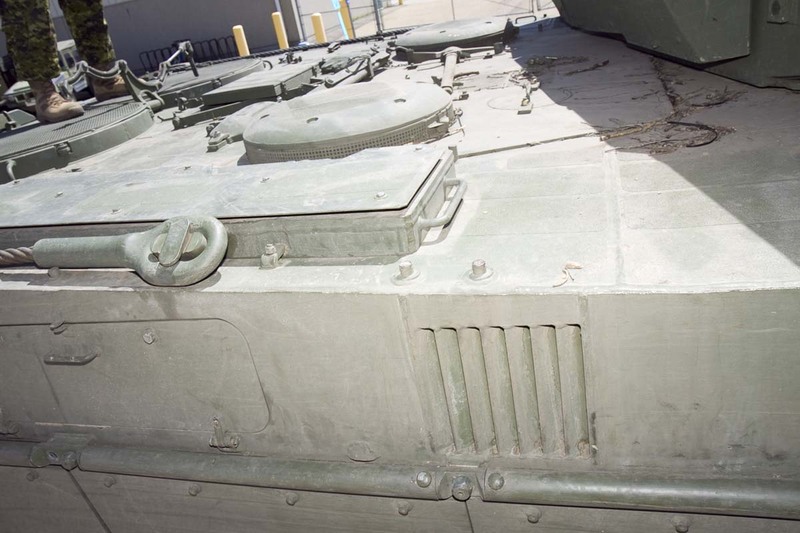 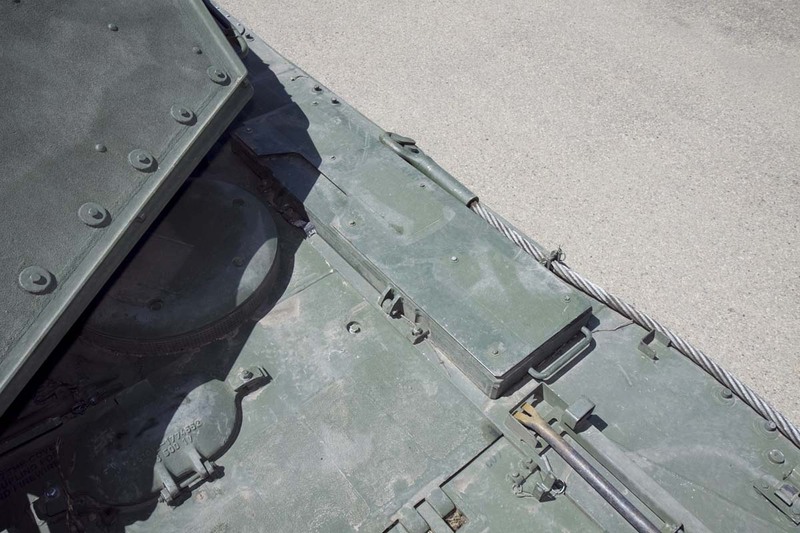 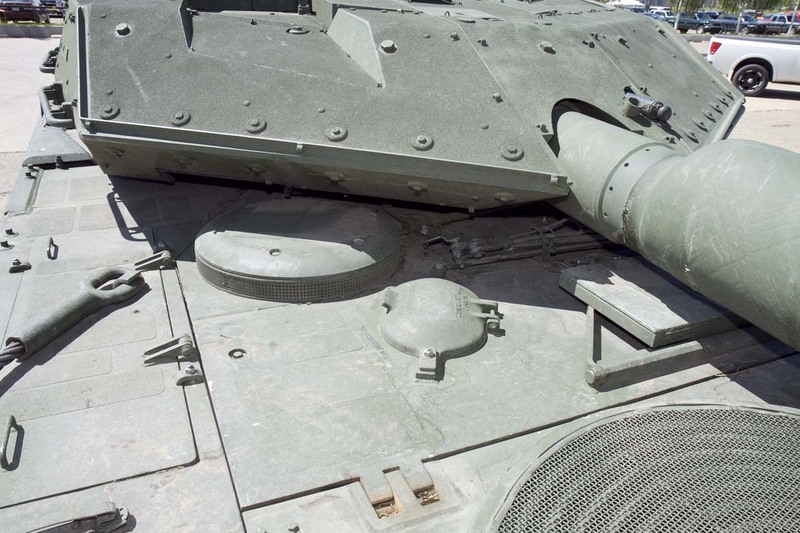 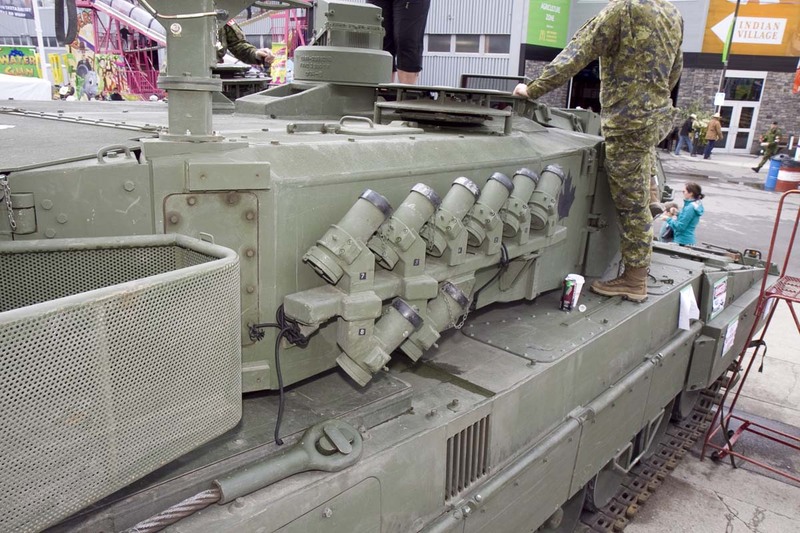 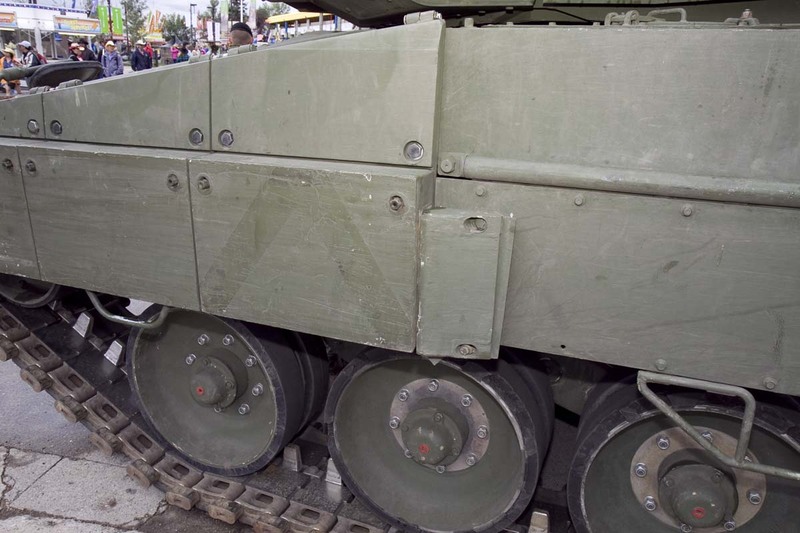 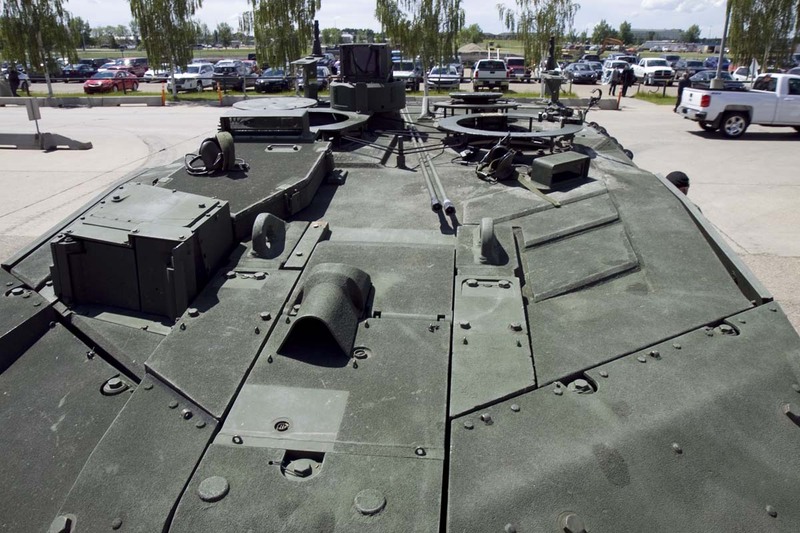 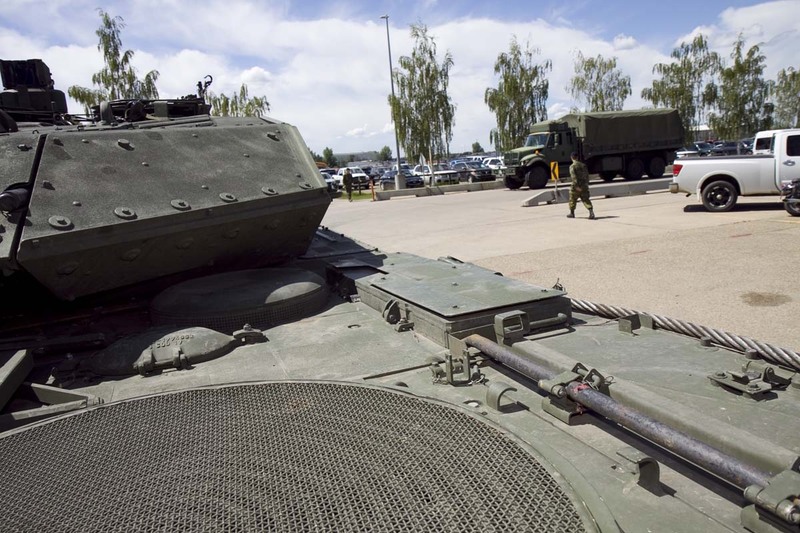 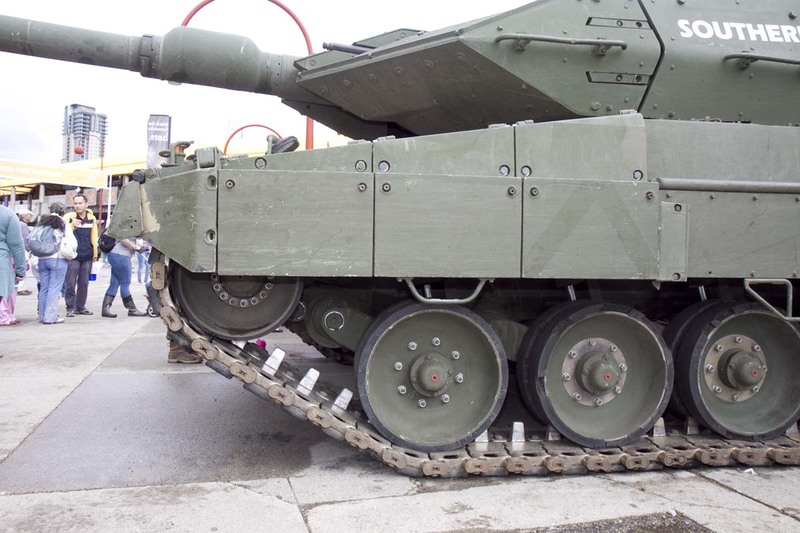 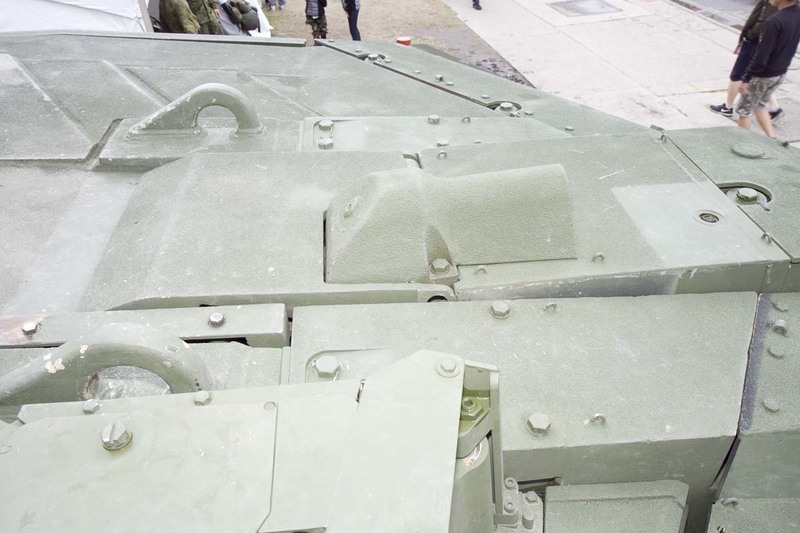 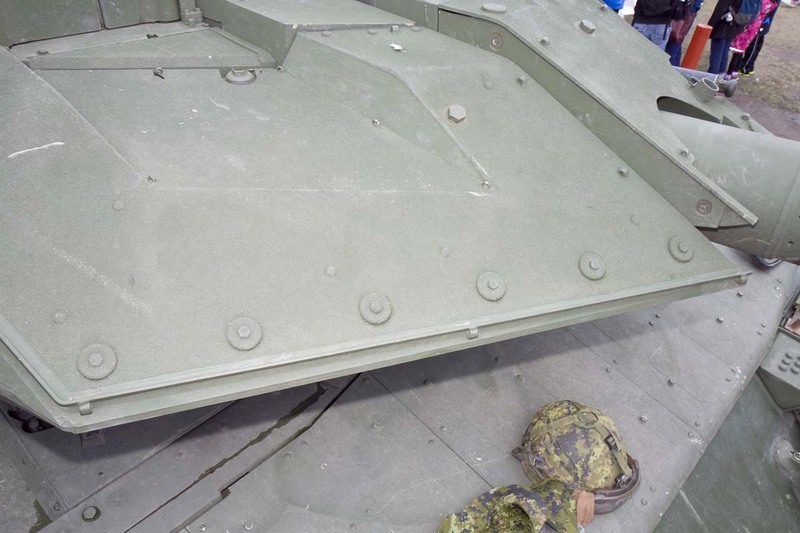 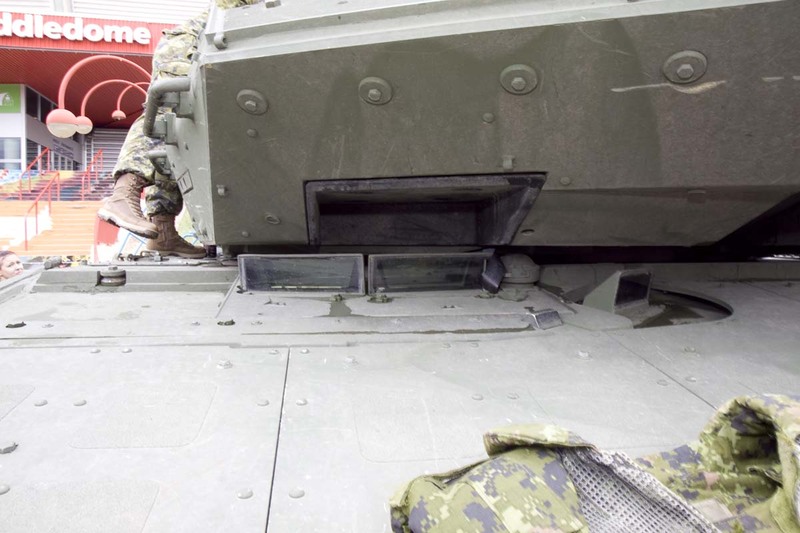 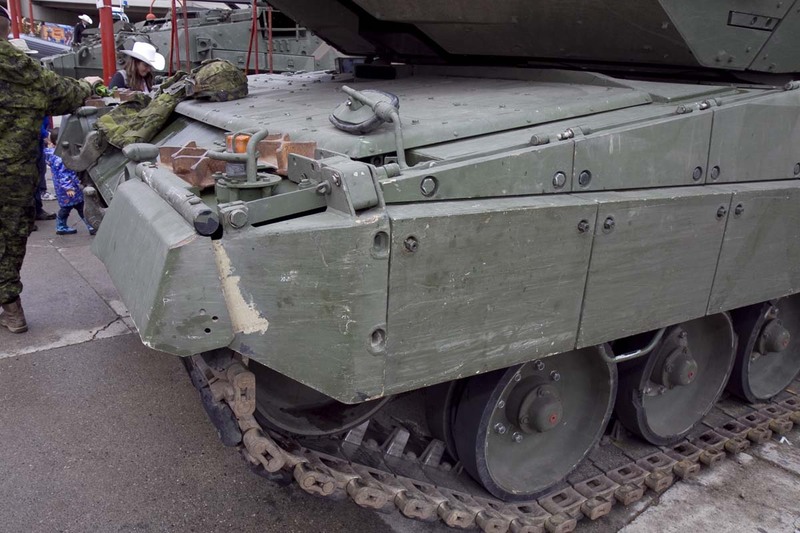 In 2007, twenty Leopard 2A6M tanks were loaned by the German Bundeswehr as an urgent operational requirement to increase protection for Canadian troops operating in Afghanistan. 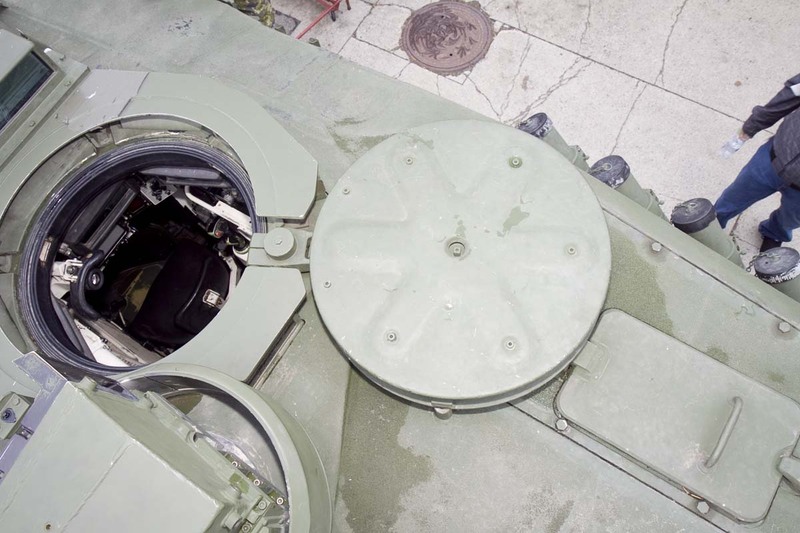 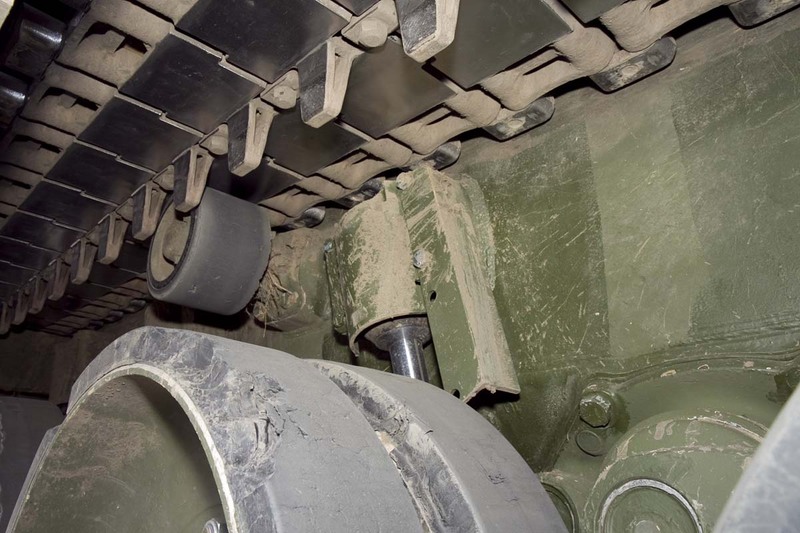 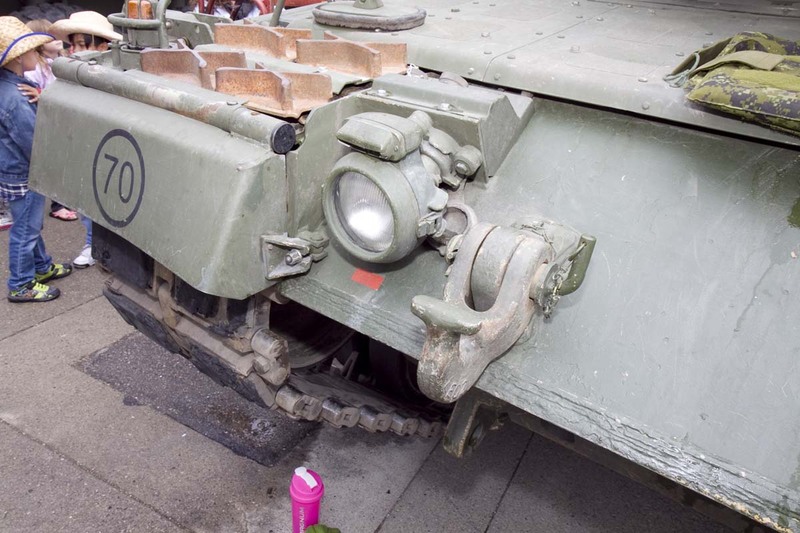 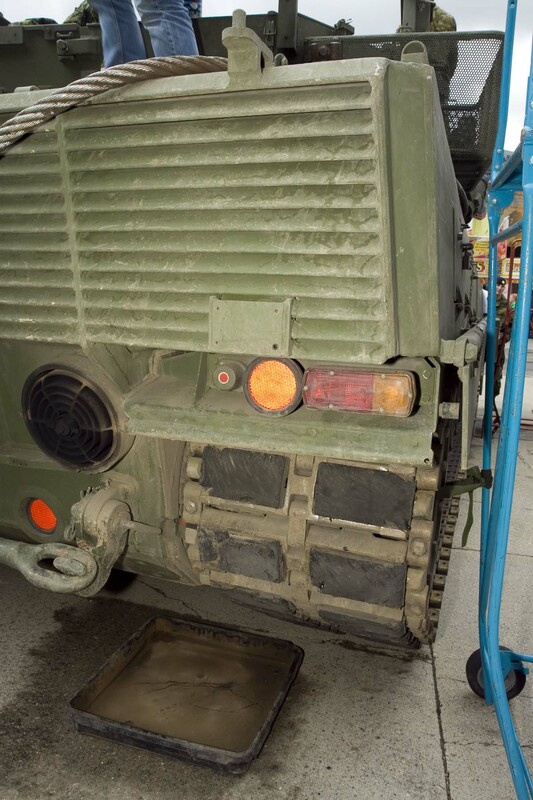 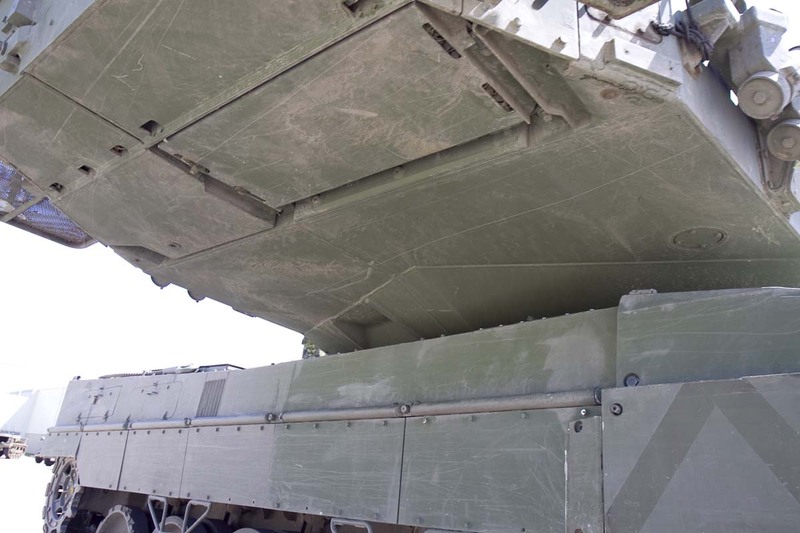 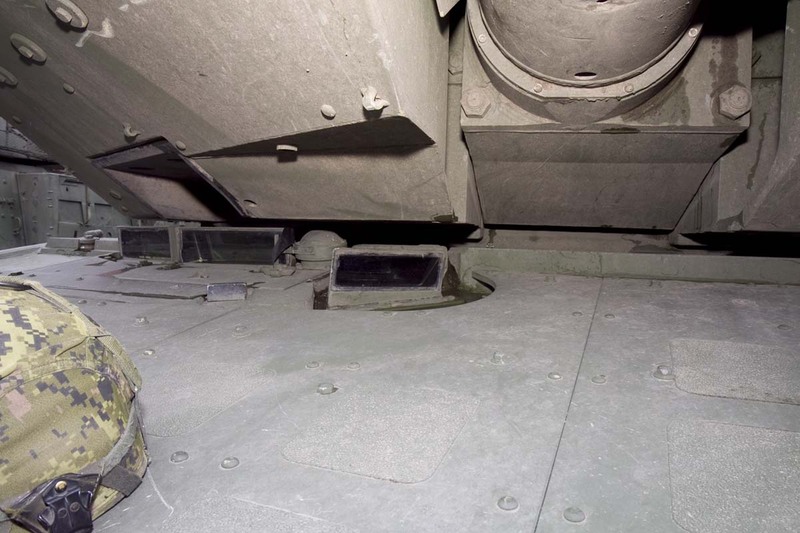 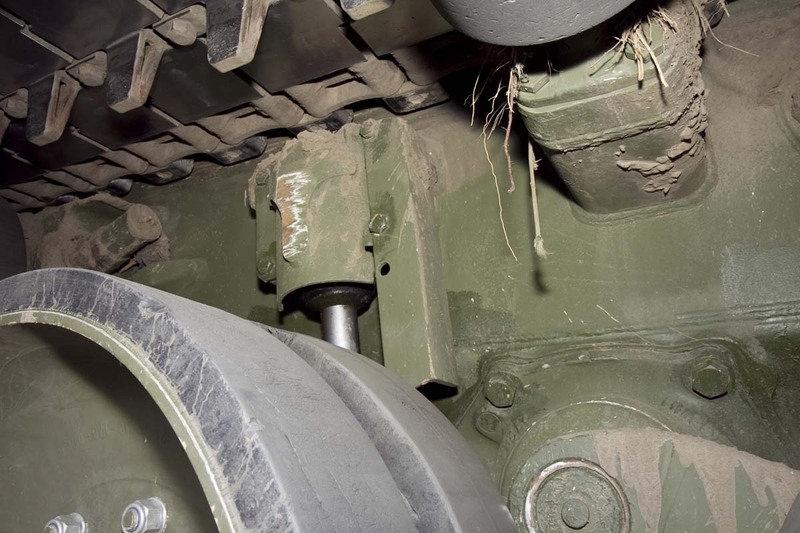 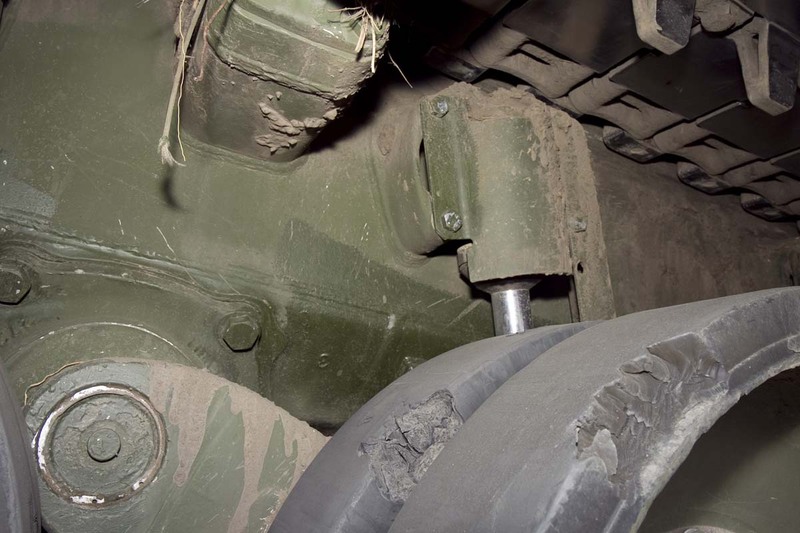 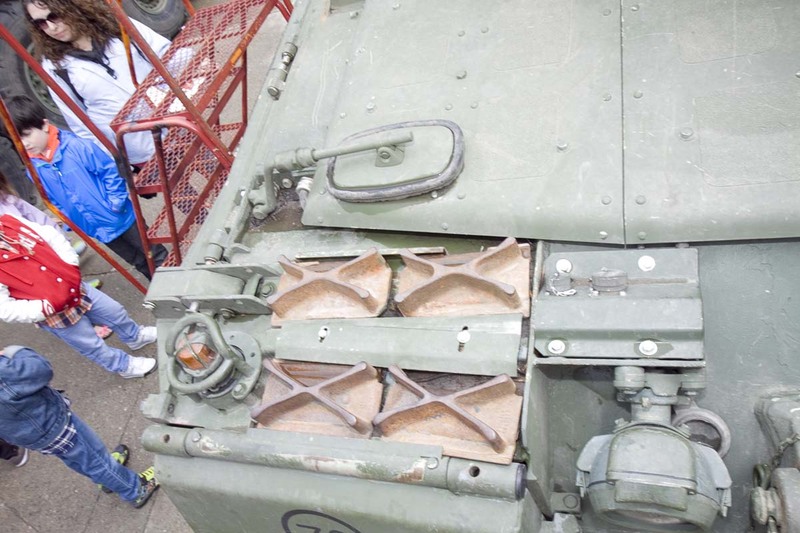 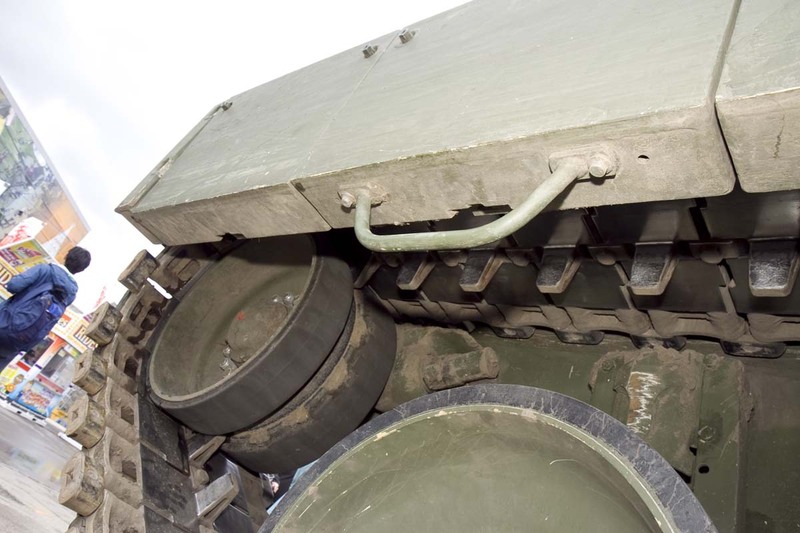 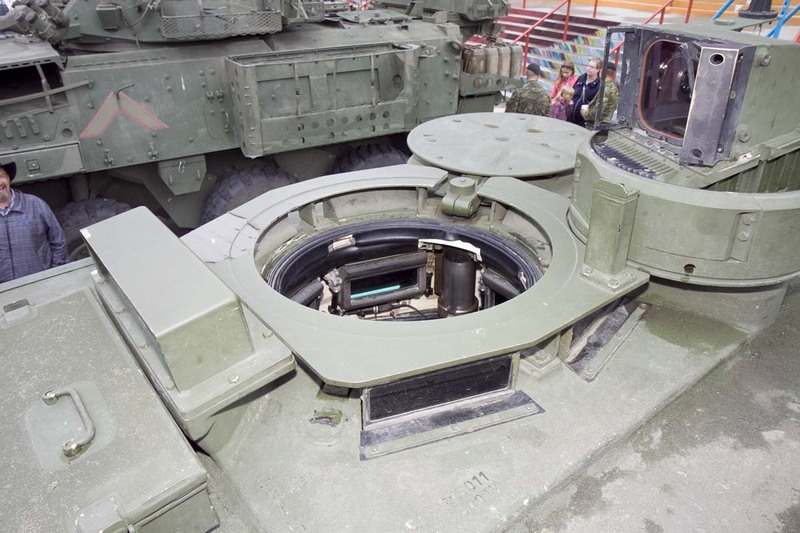 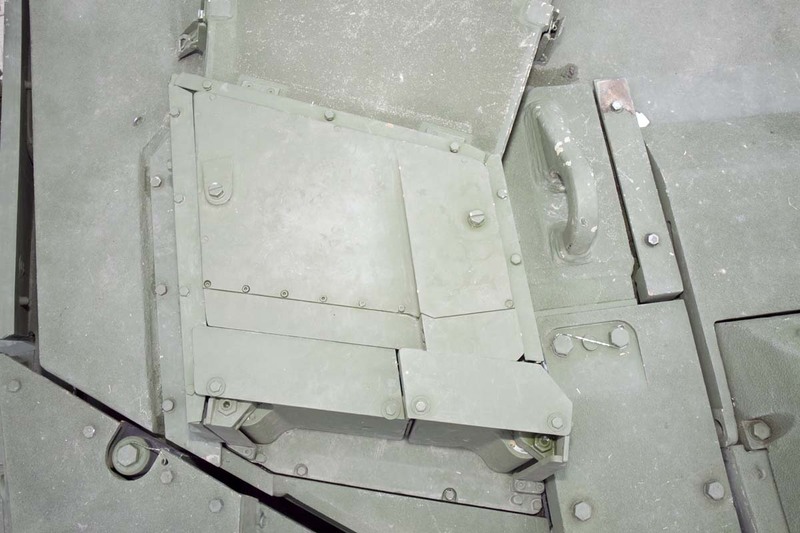 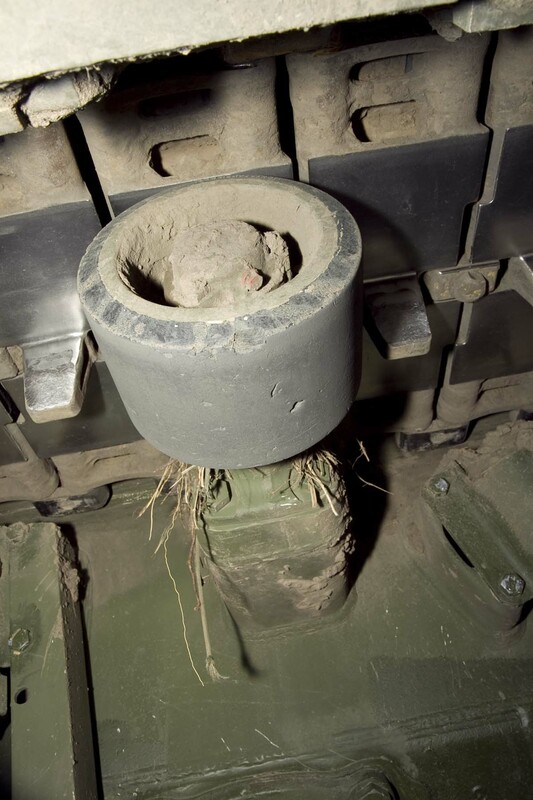 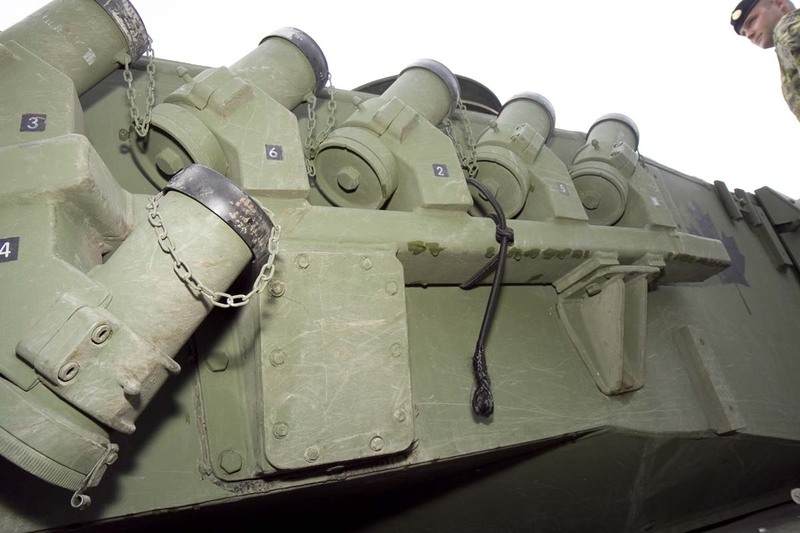 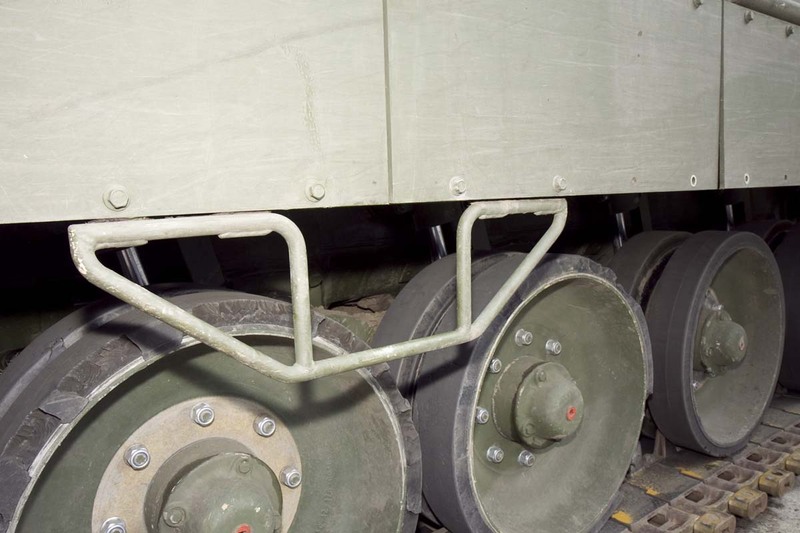 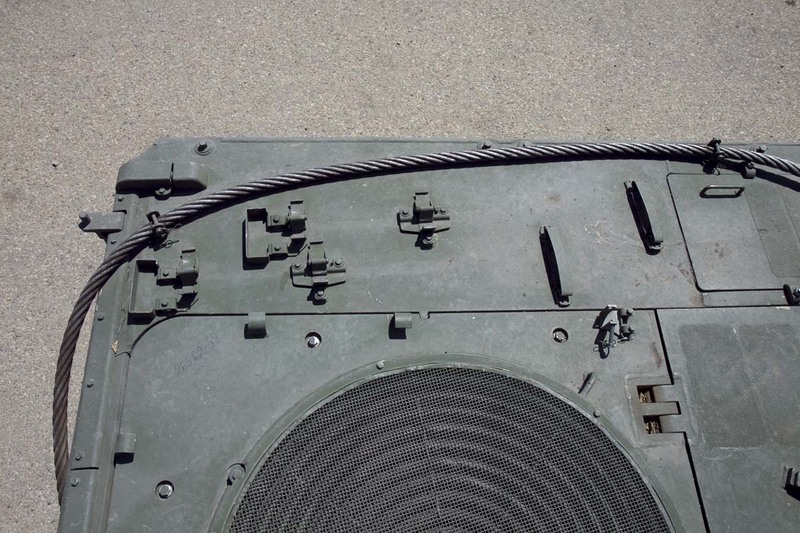 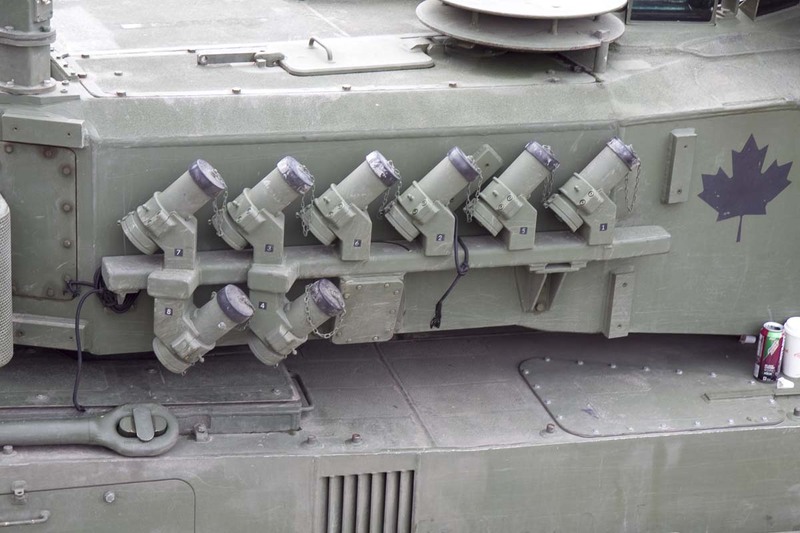 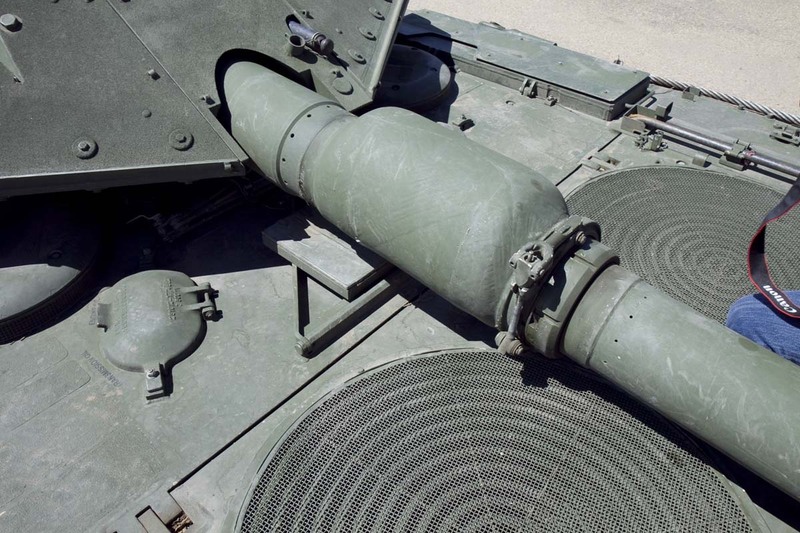 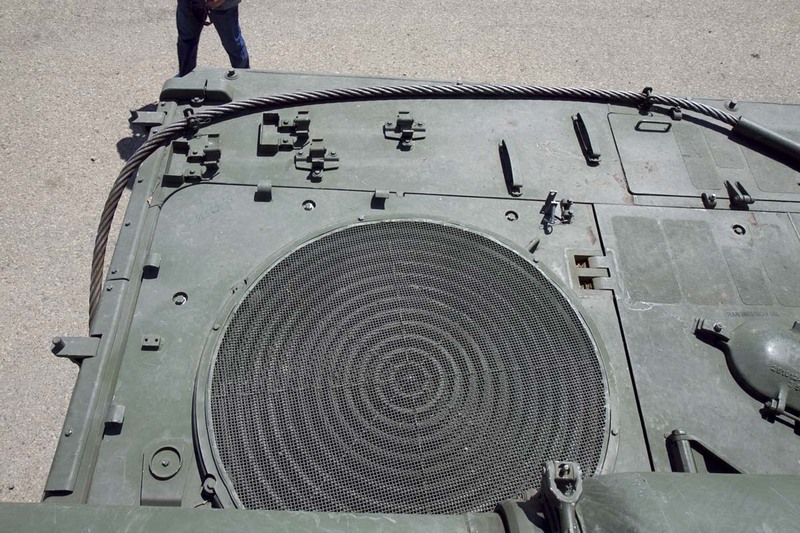 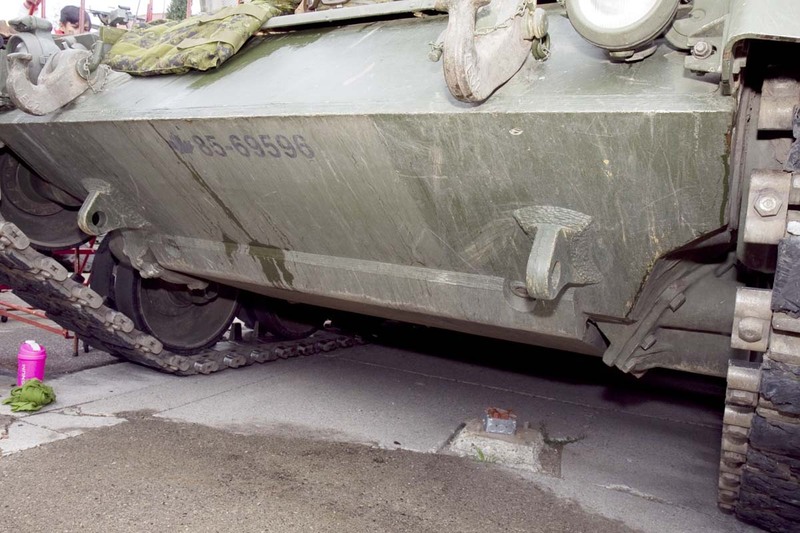 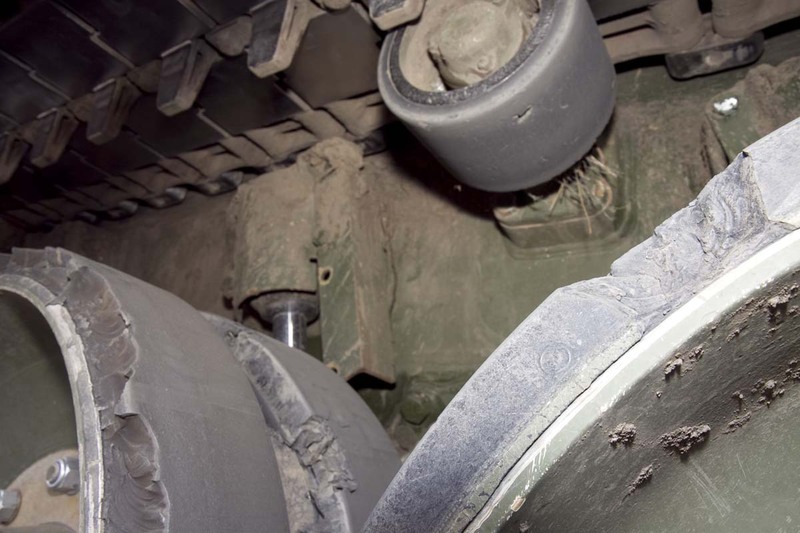 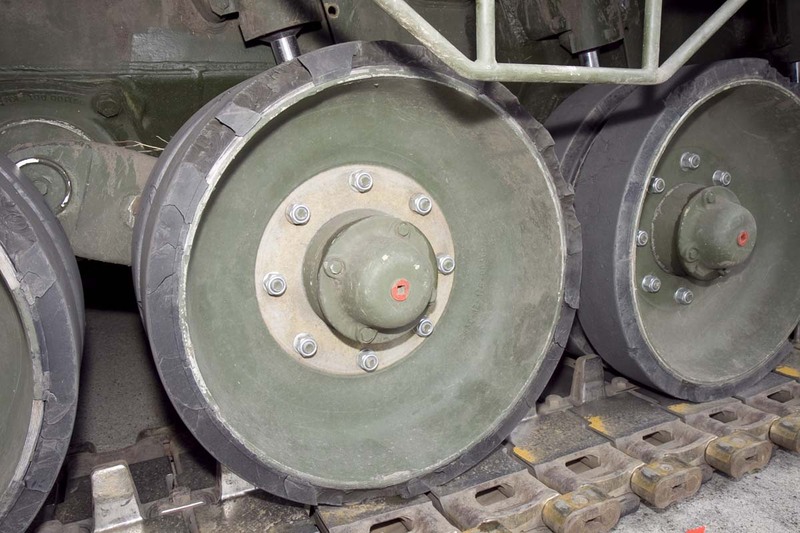 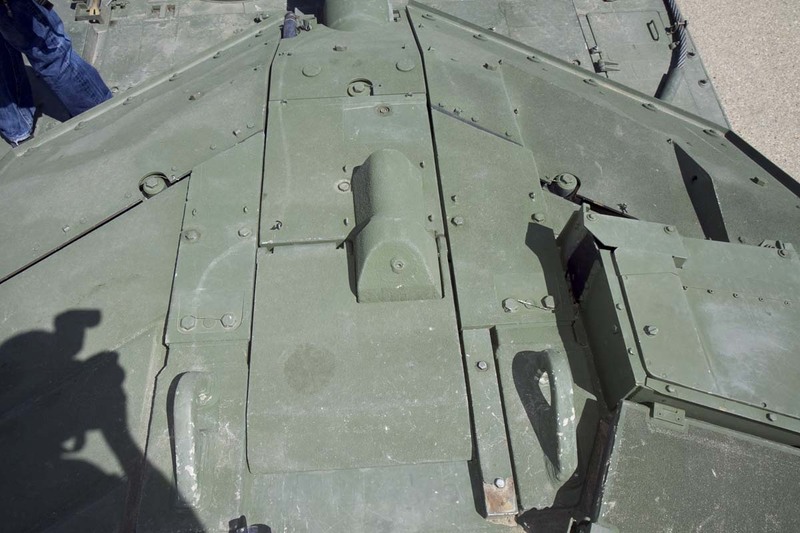 The Leopard 2s were needed to replace the aging C2s already in theater, for which spare parts were becomming increasingly difficult to find. 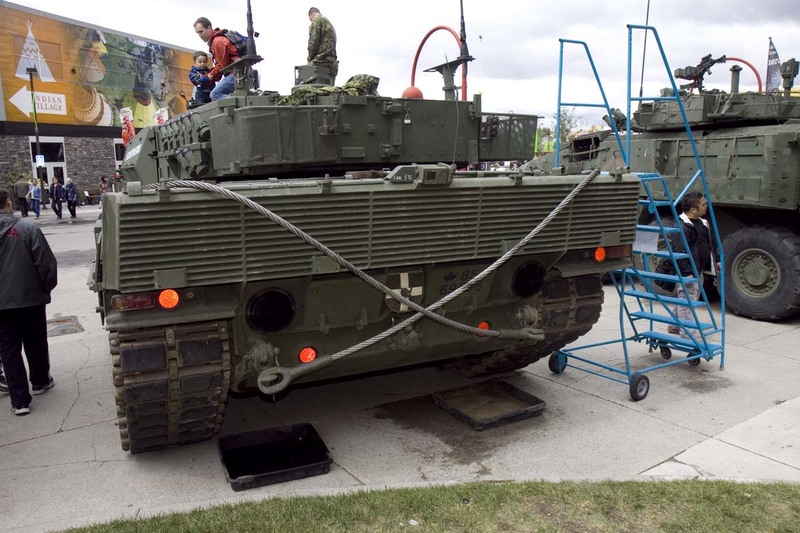 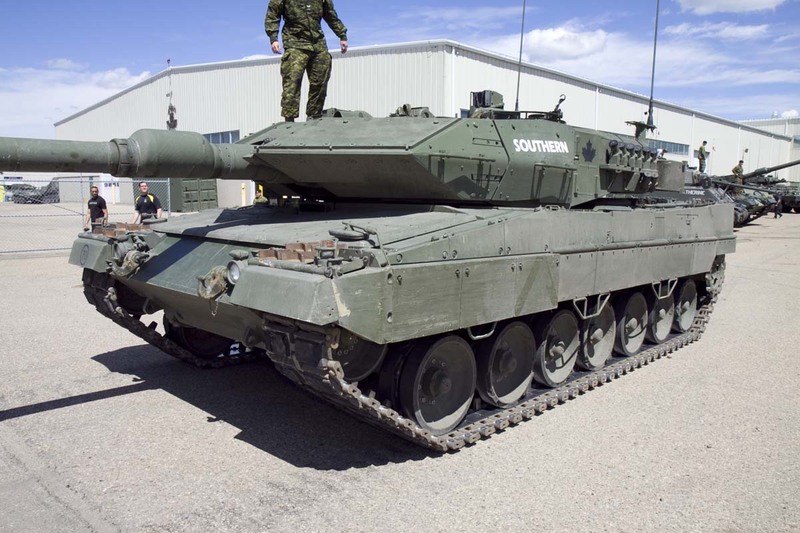 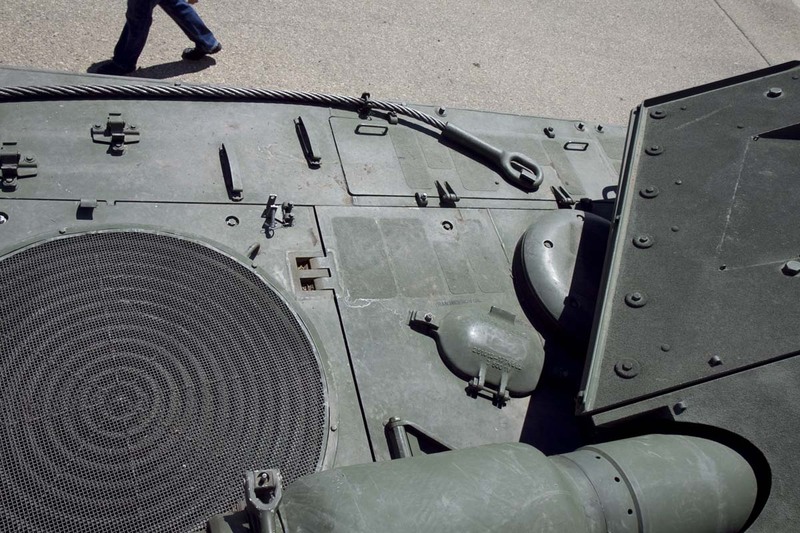 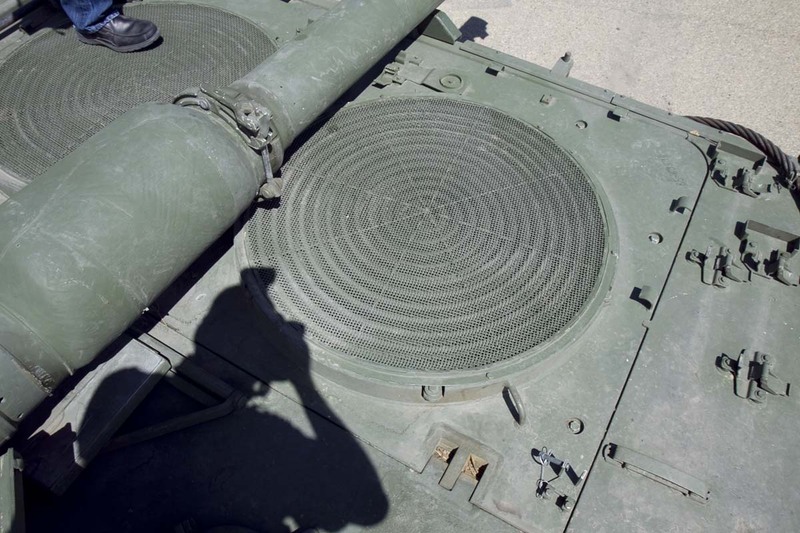 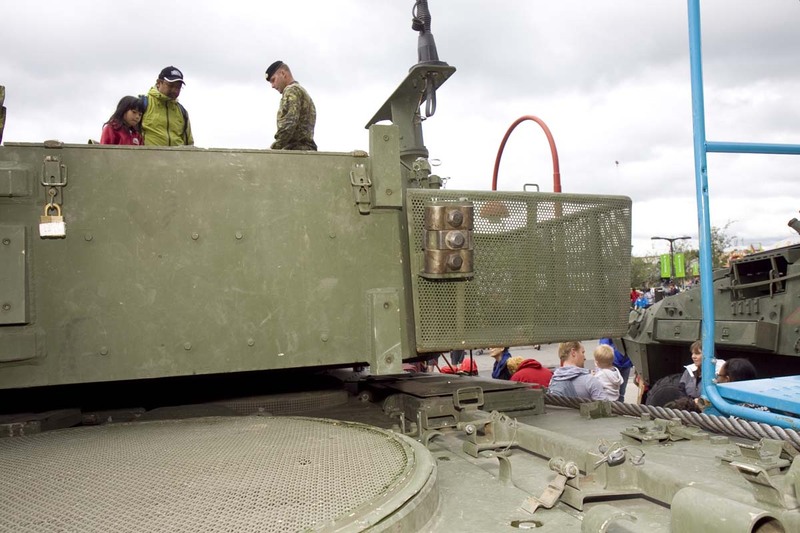 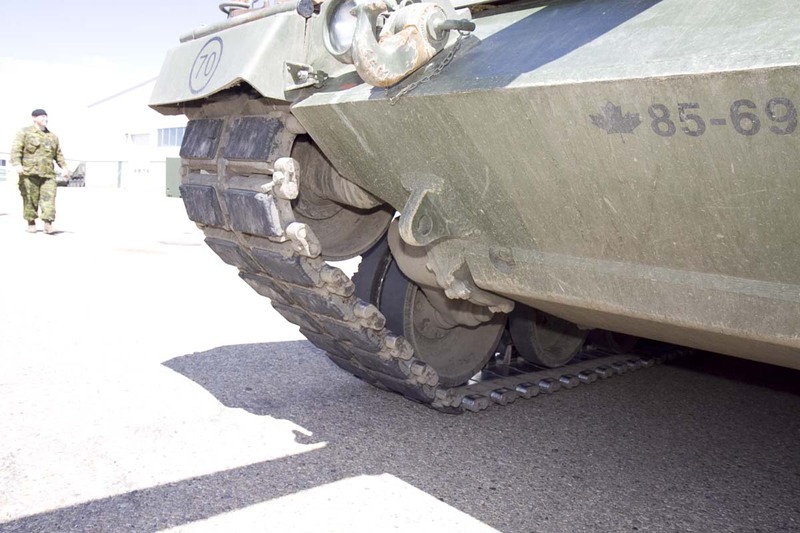 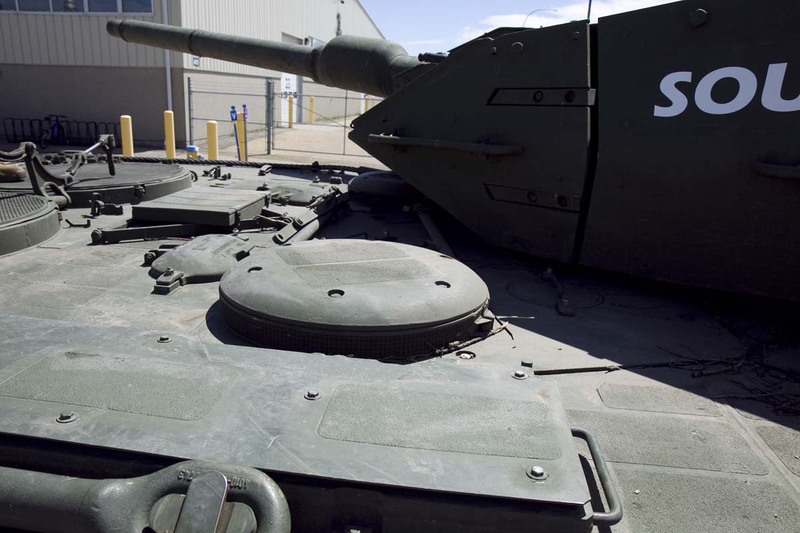 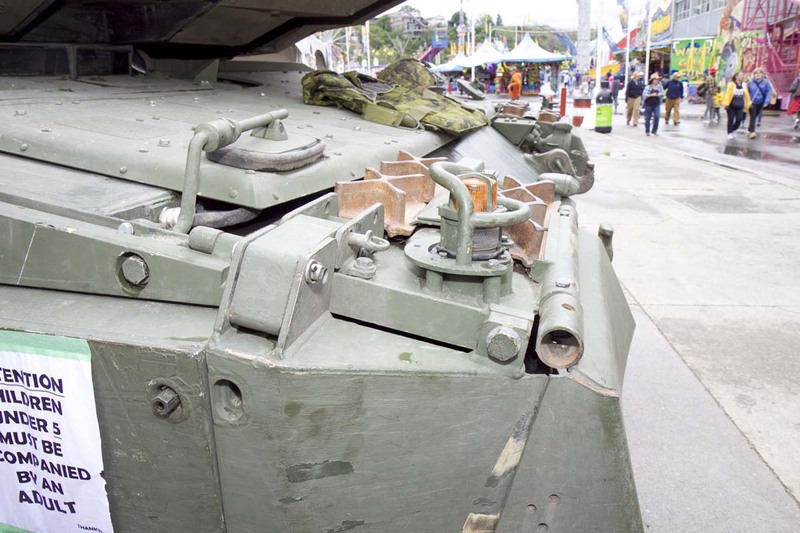 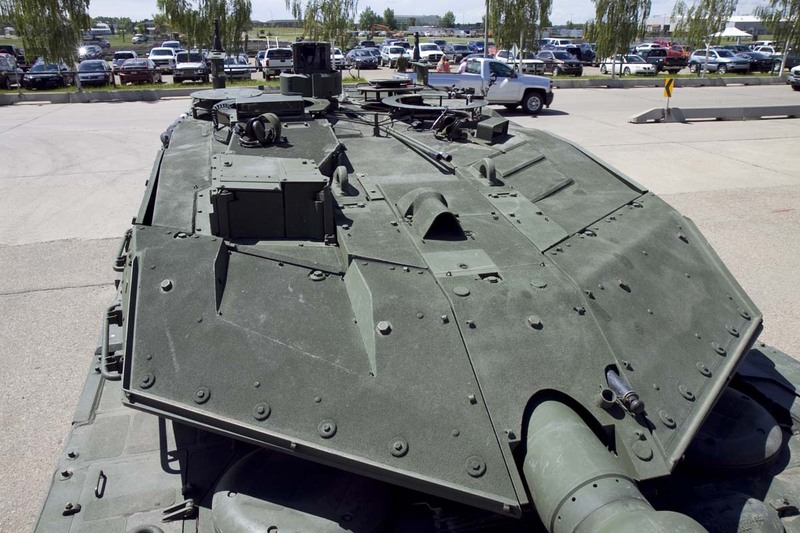 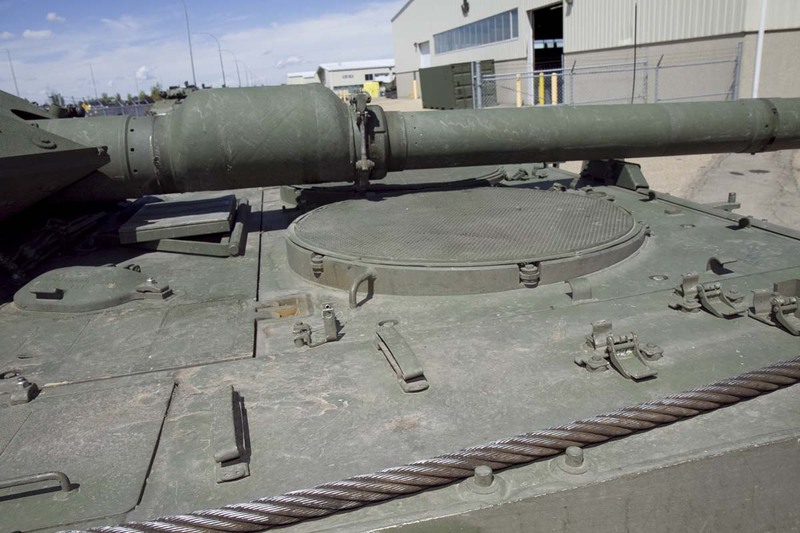 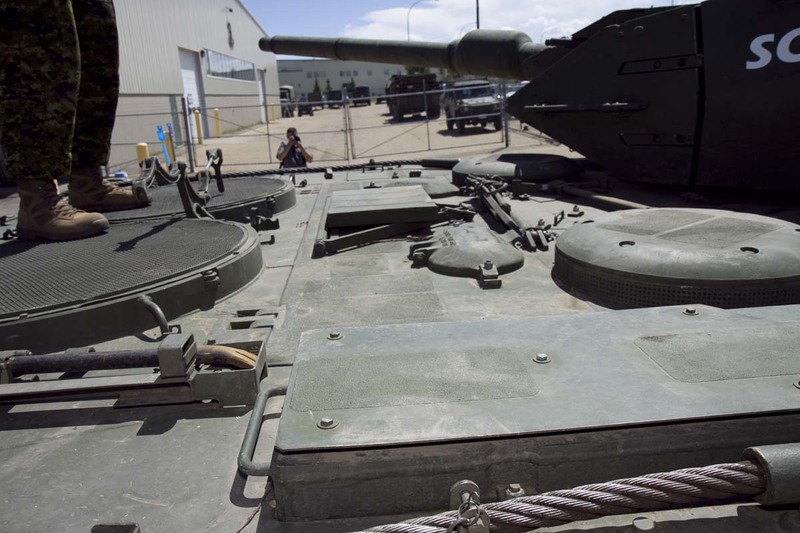 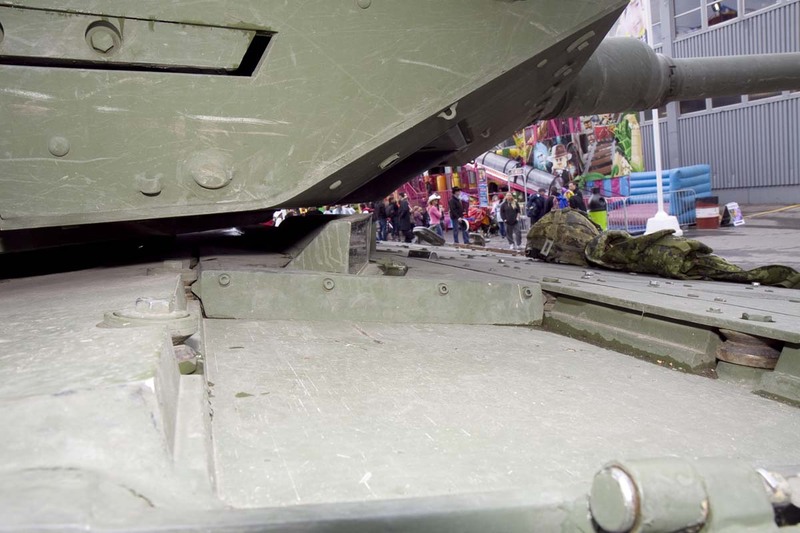 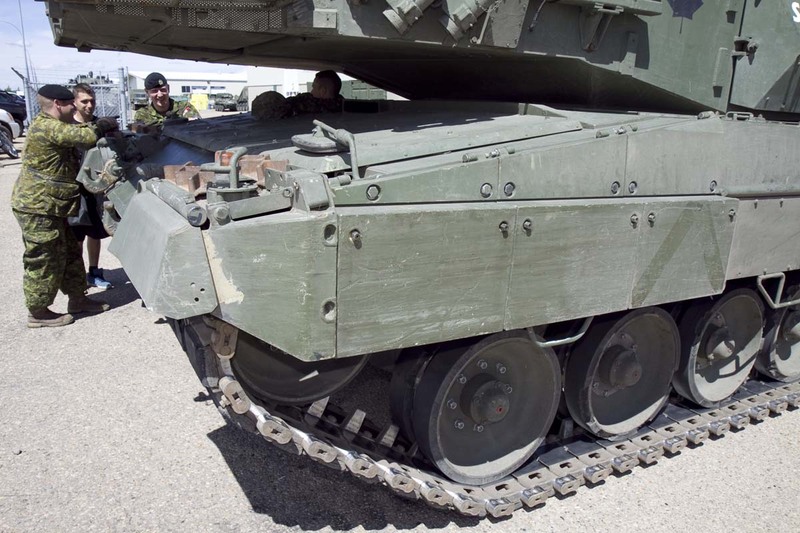 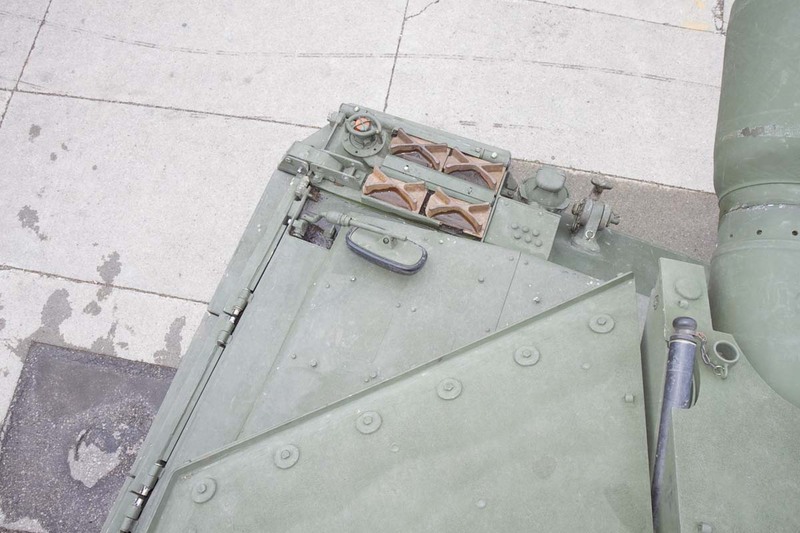 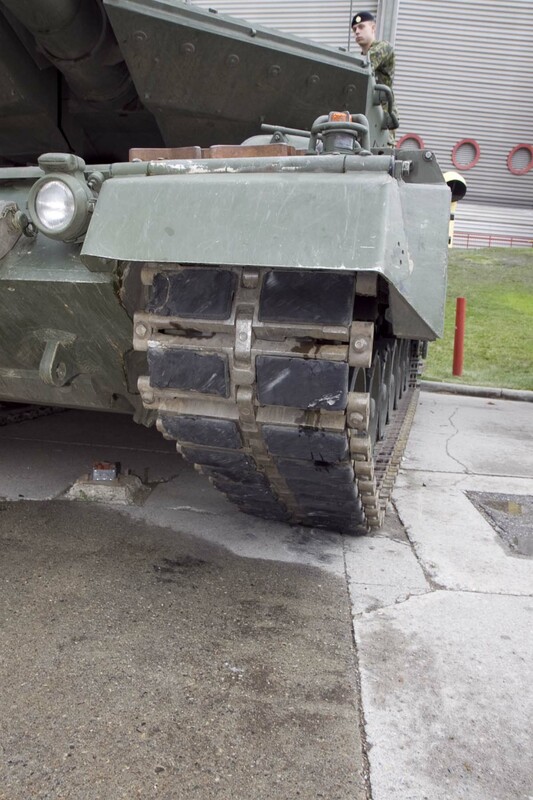 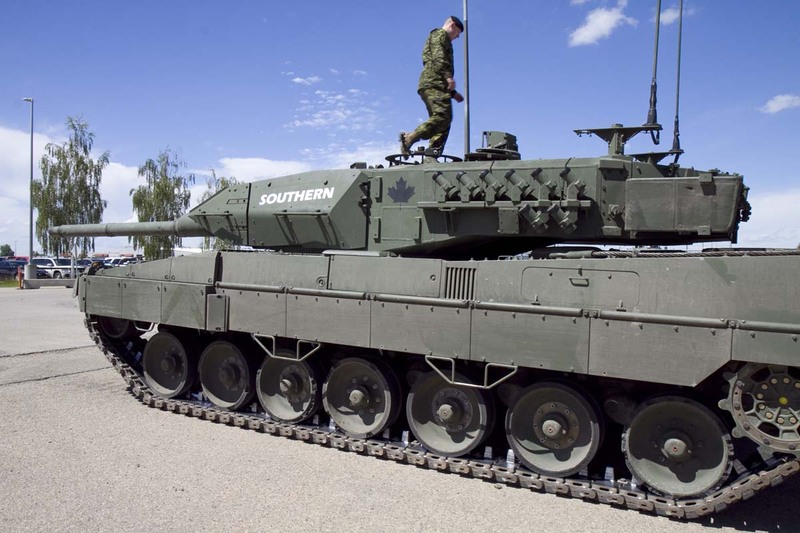 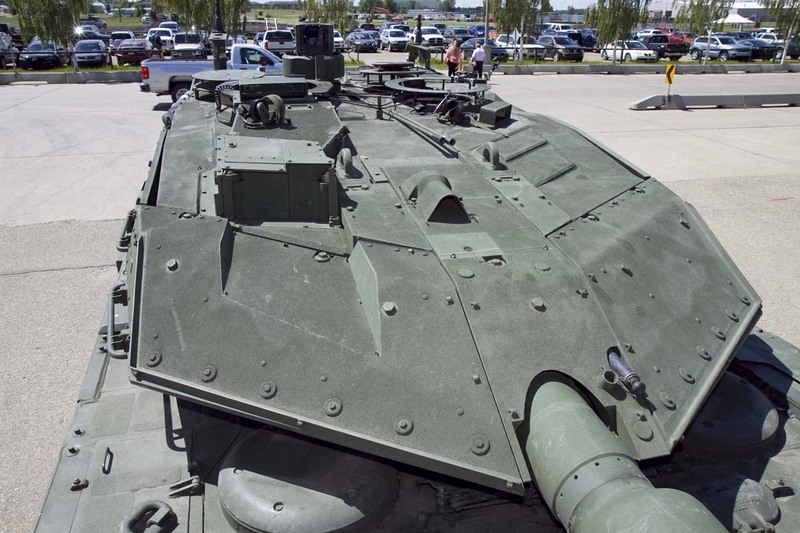 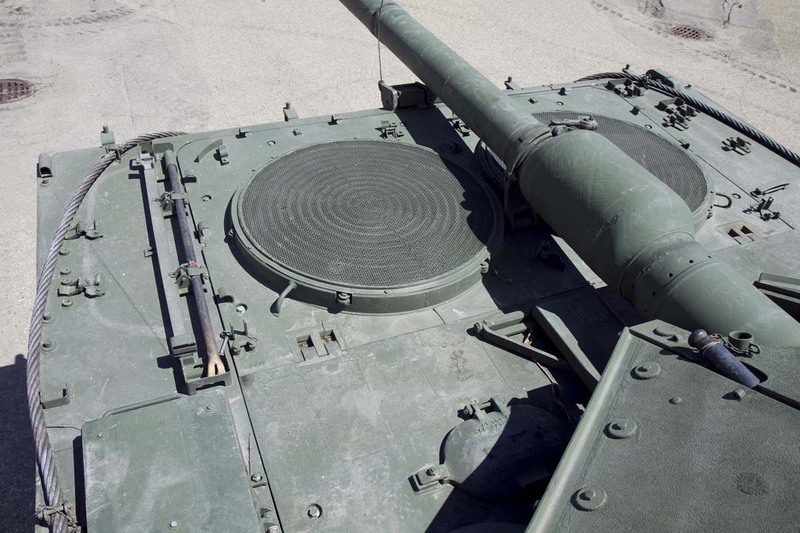 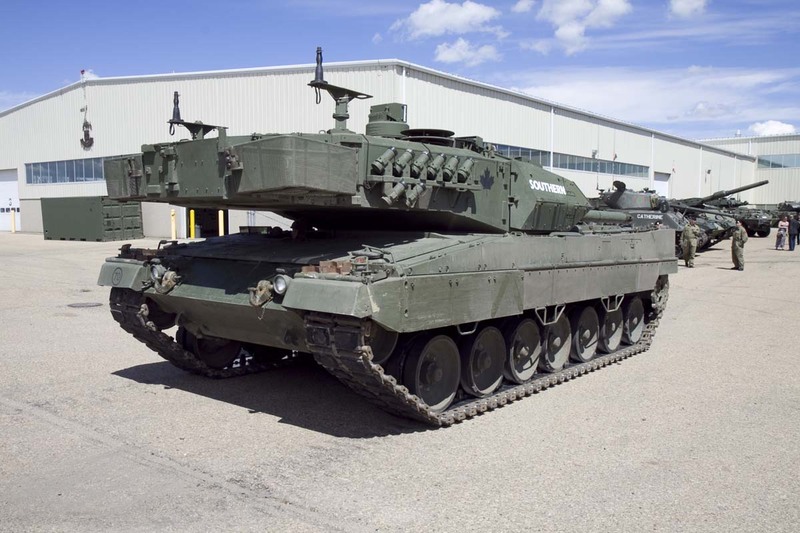 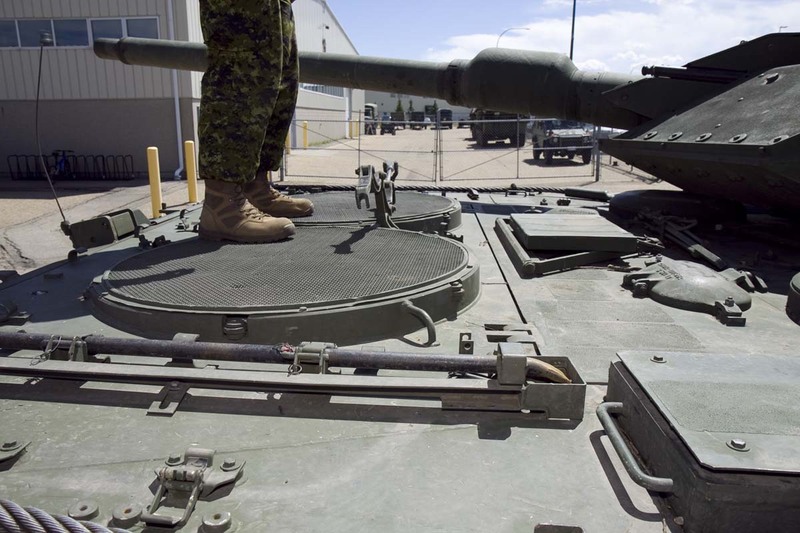 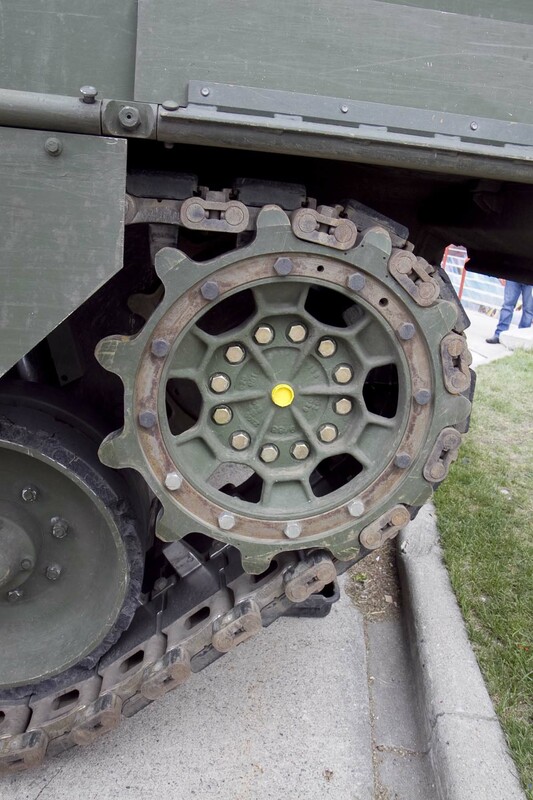 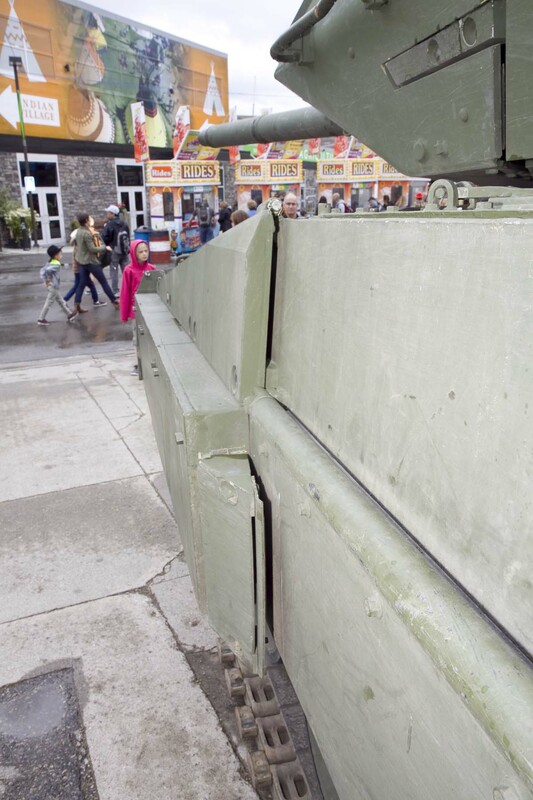 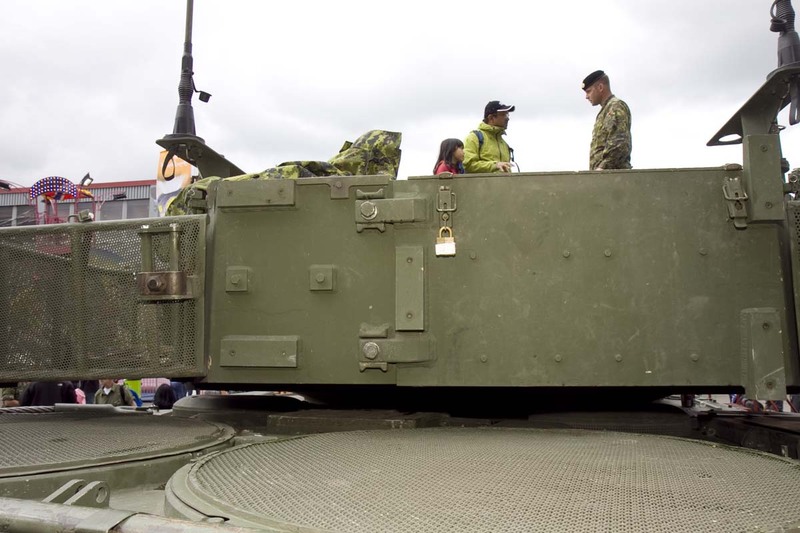 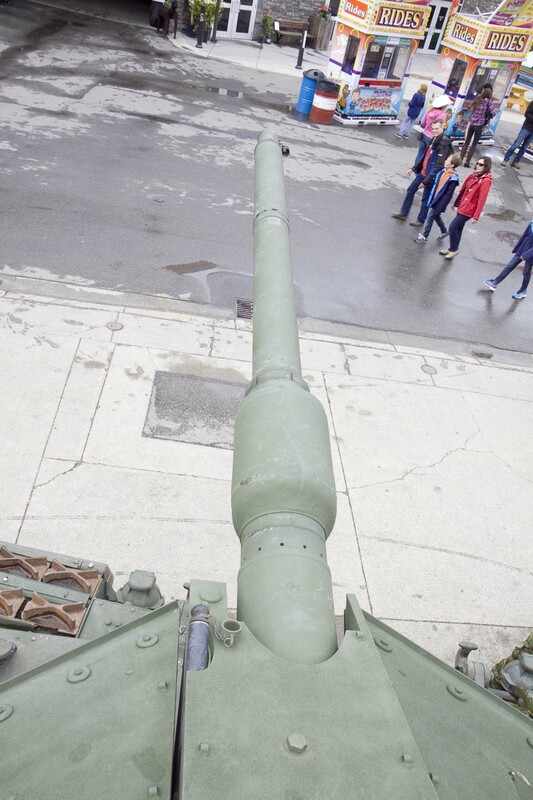 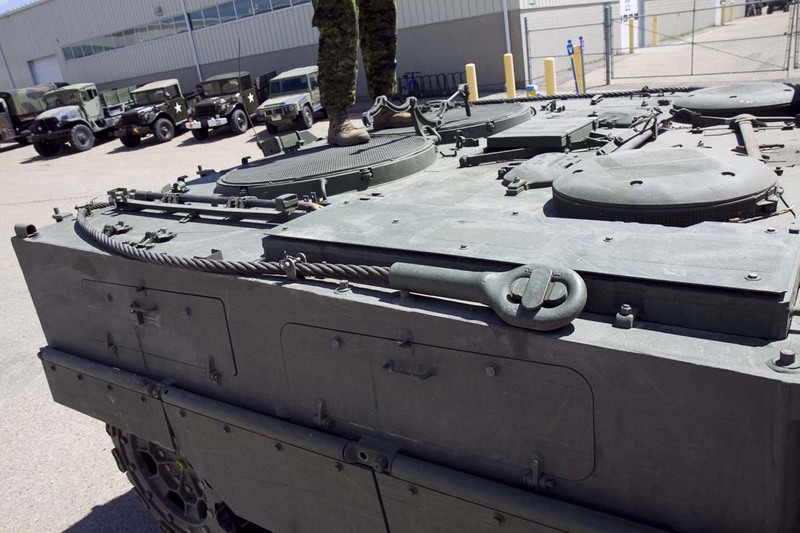 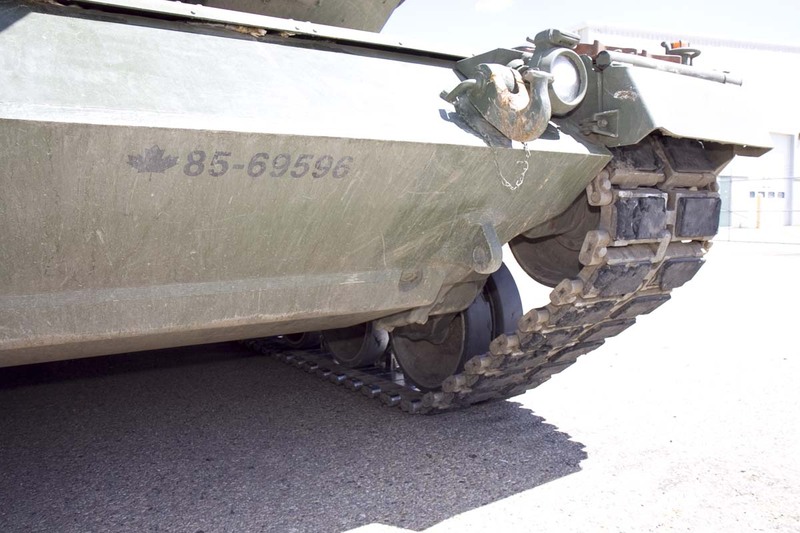 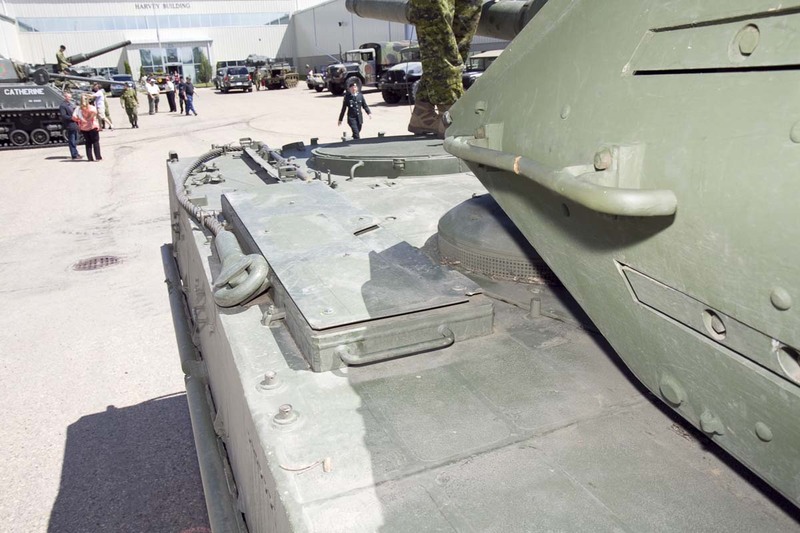 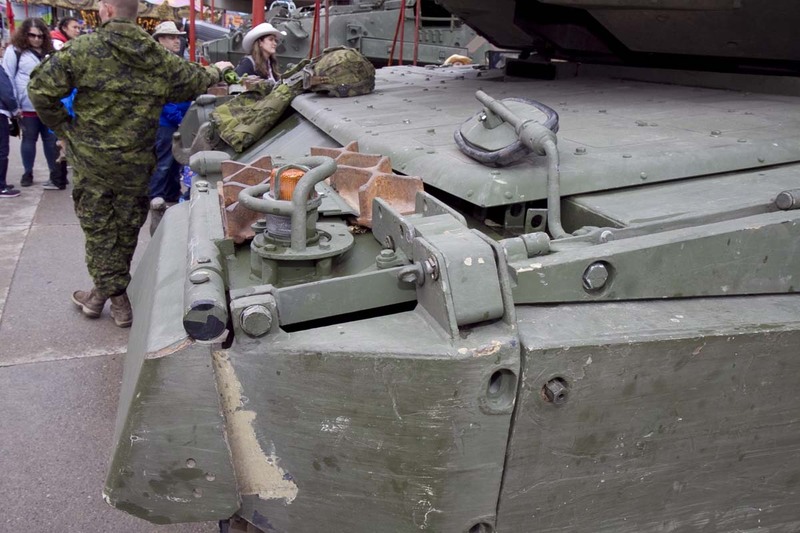 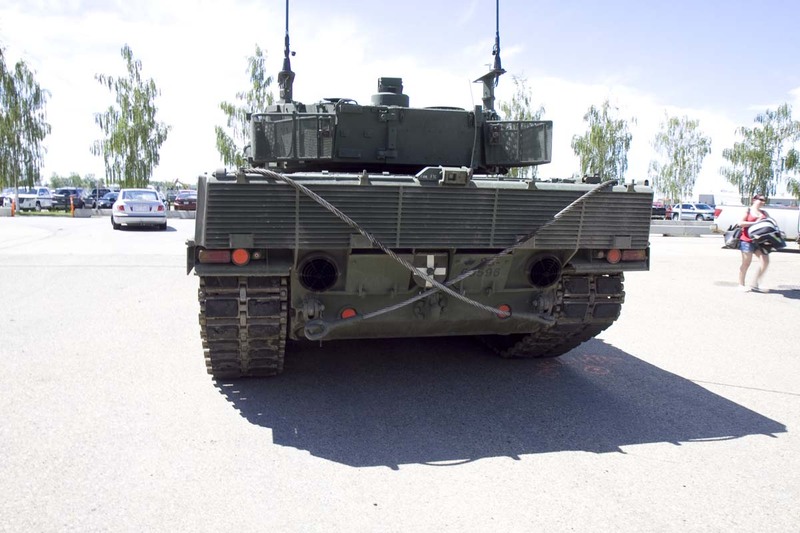 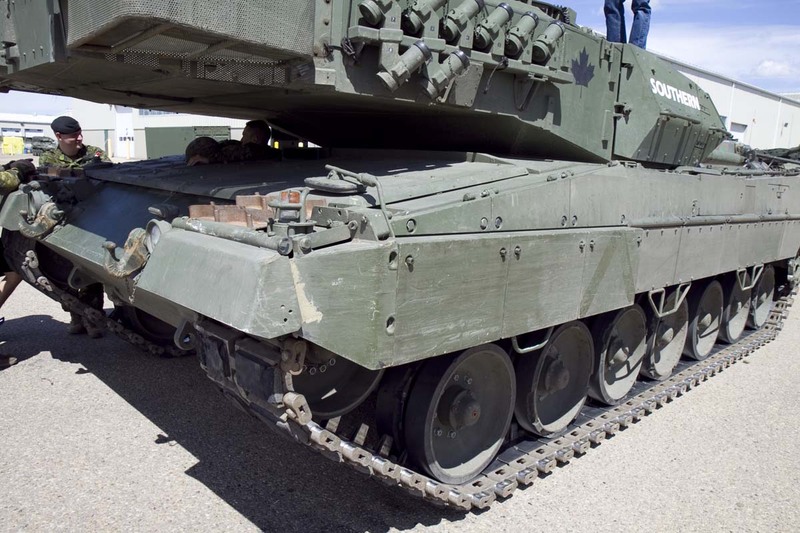 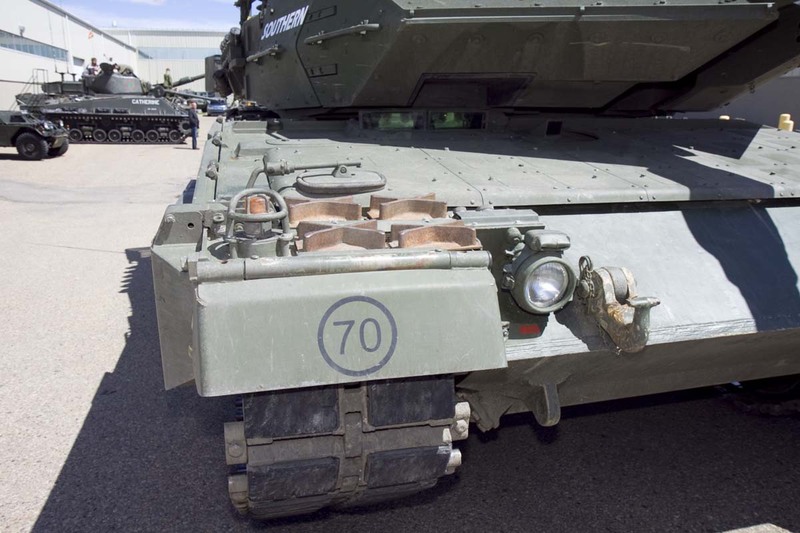 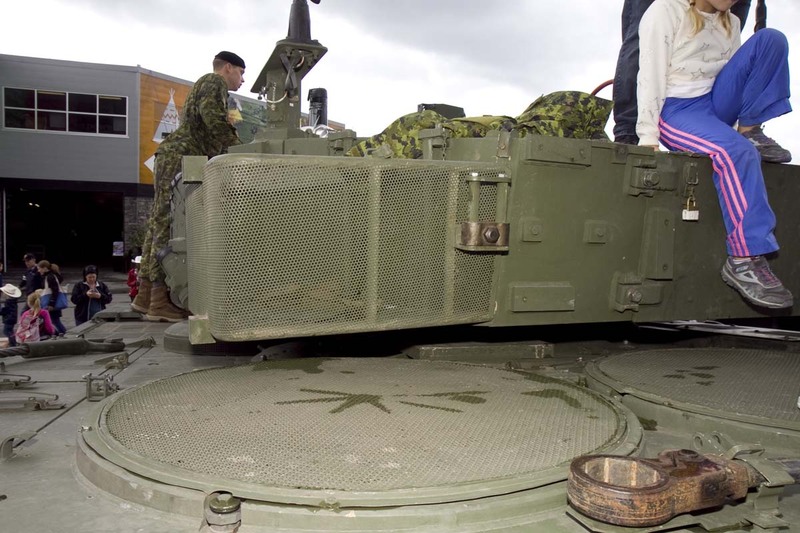 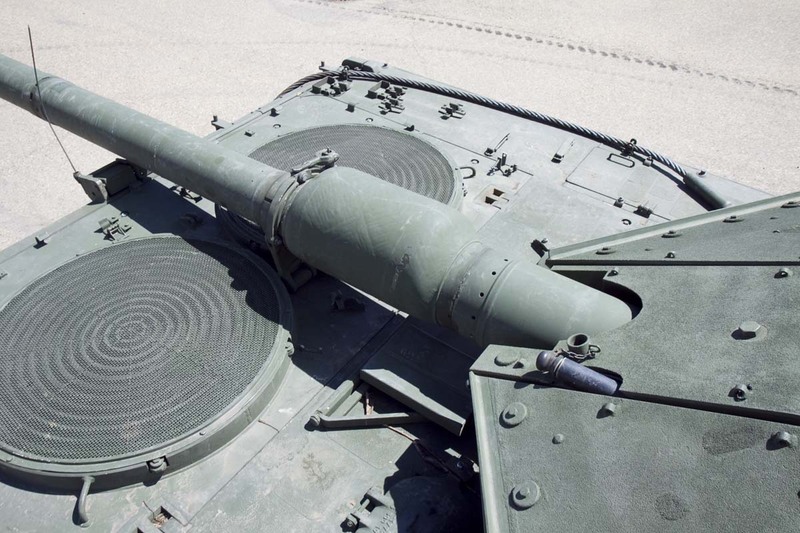 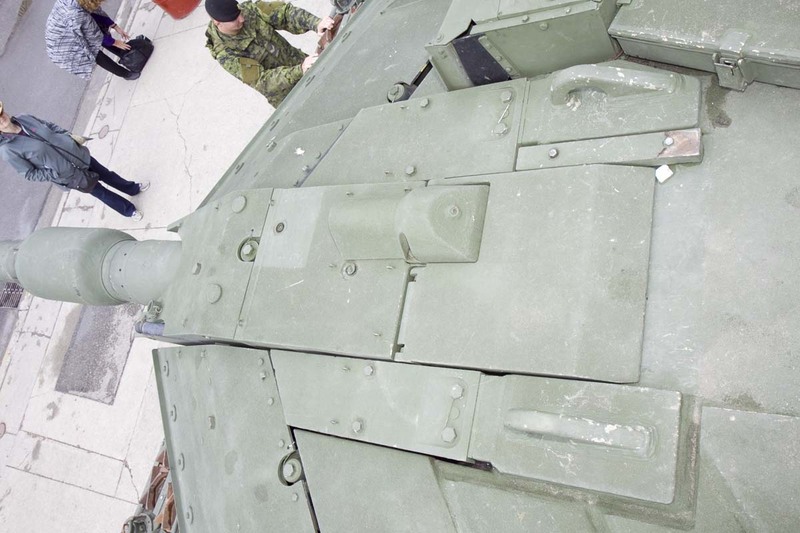 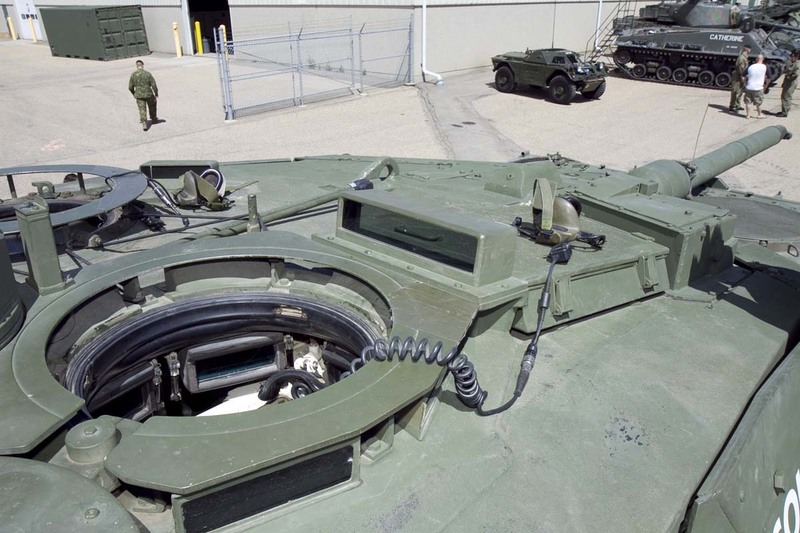 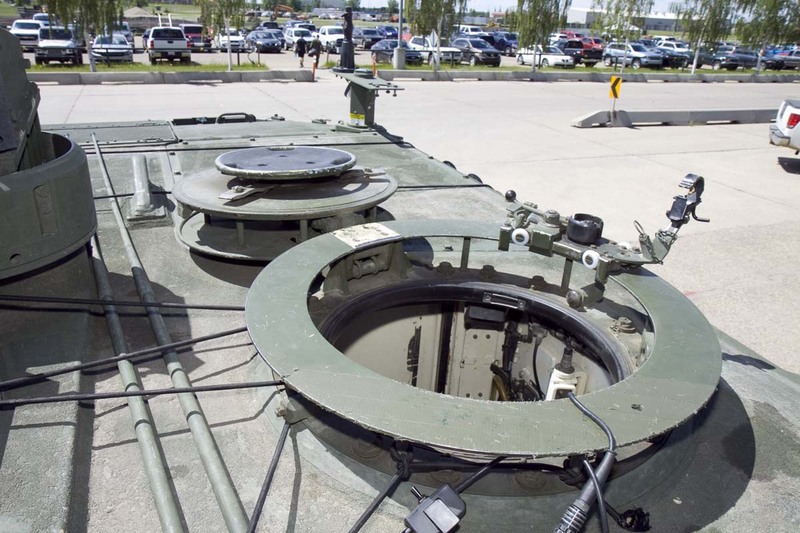 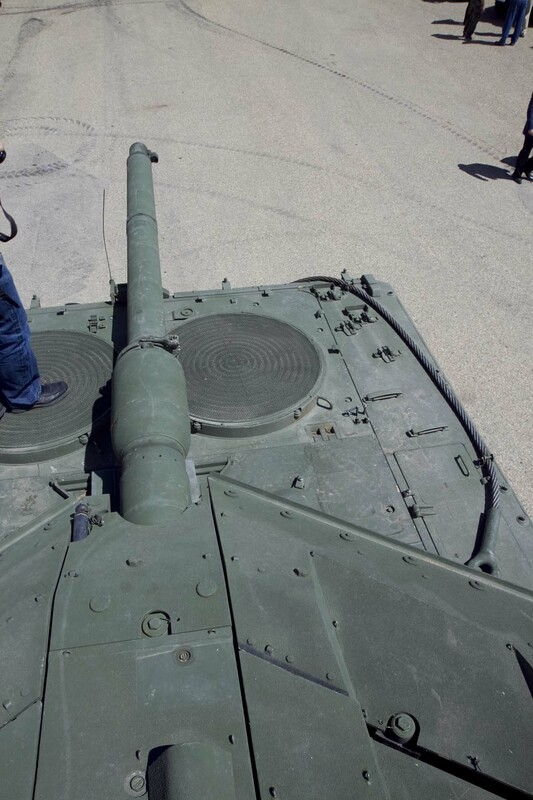 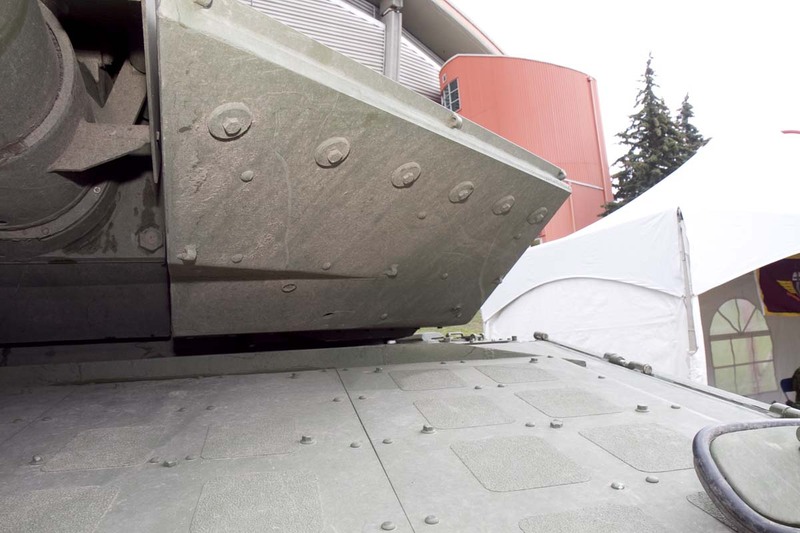 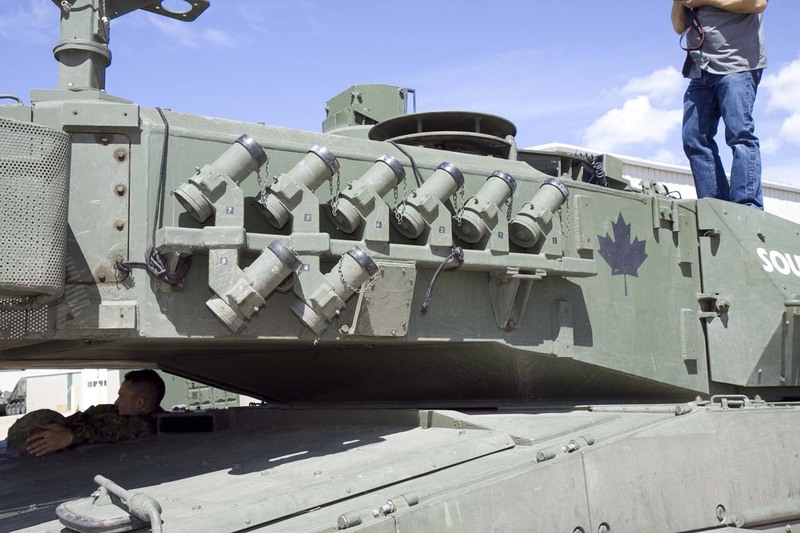 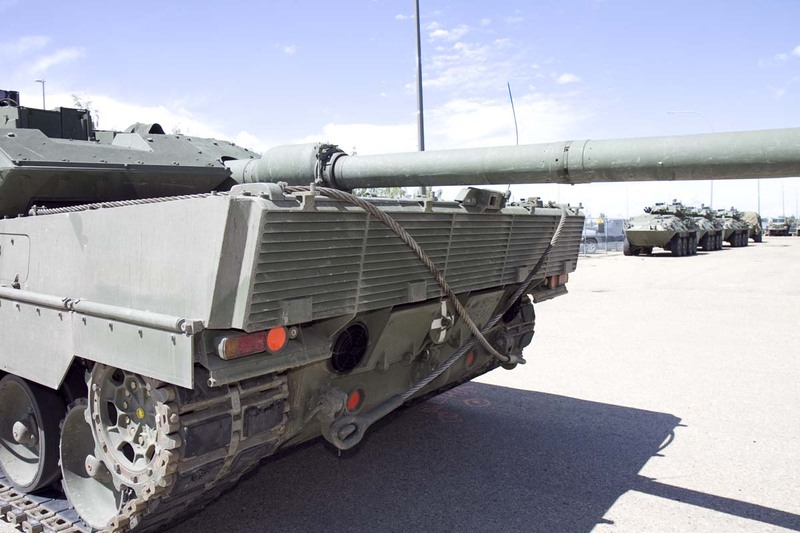 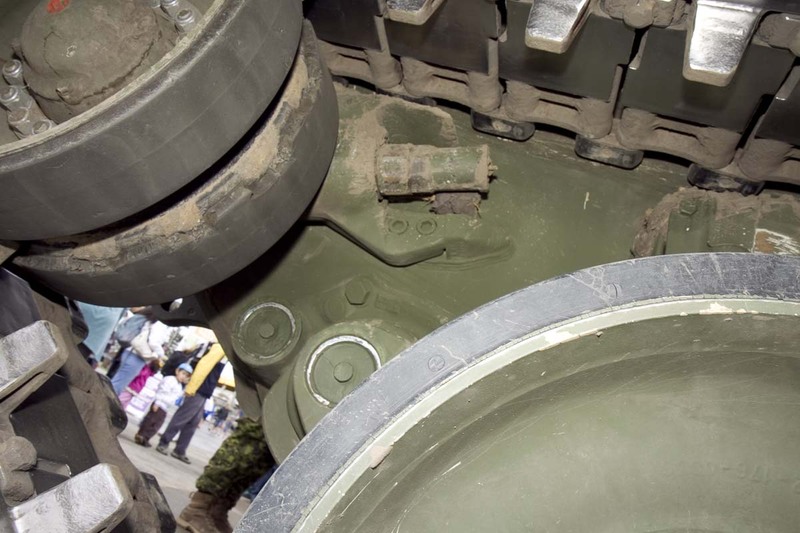 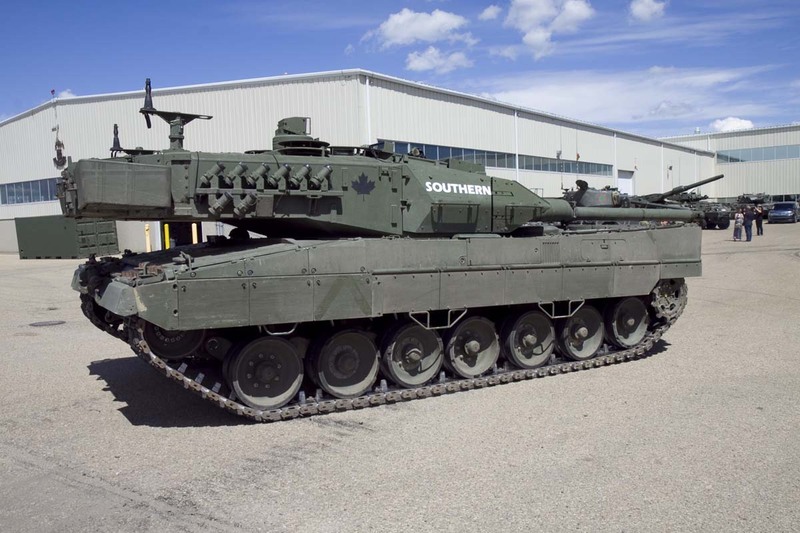 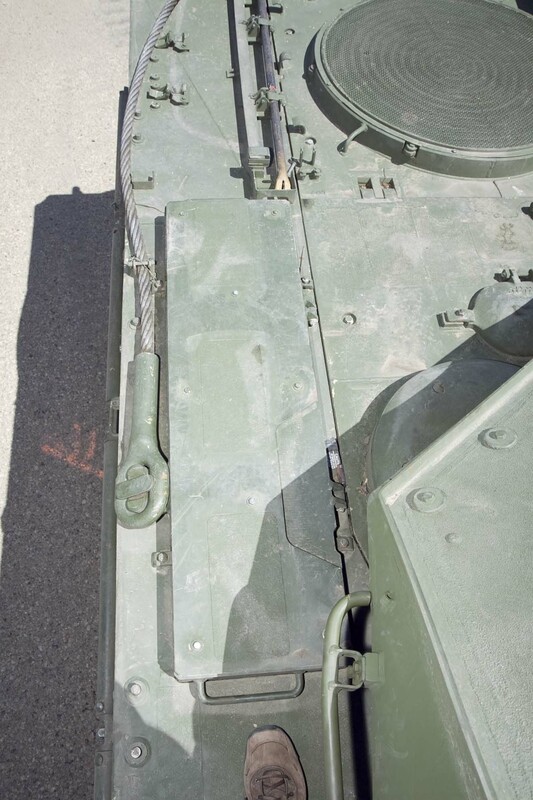 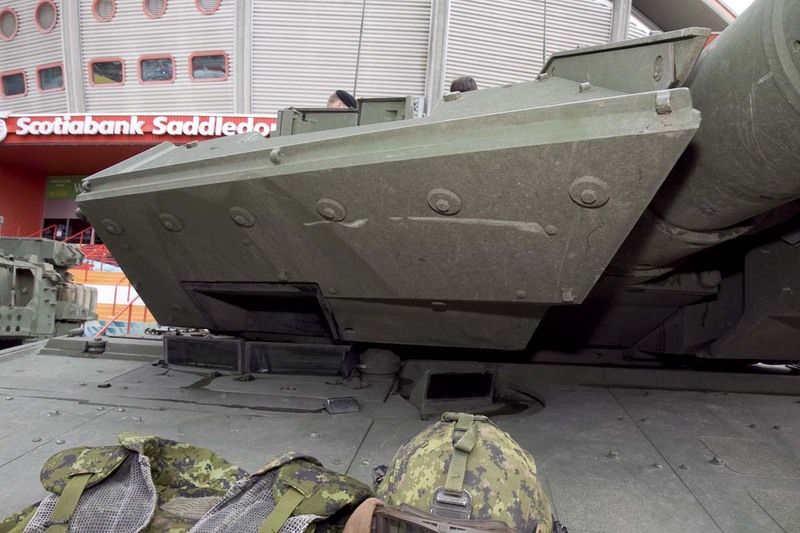 The Leopard 2s served until Canadian forces withdrew in July 2011. 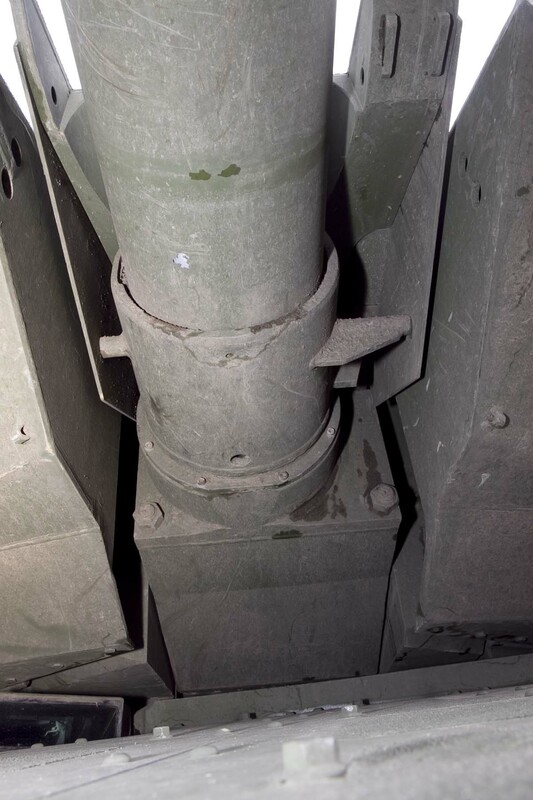 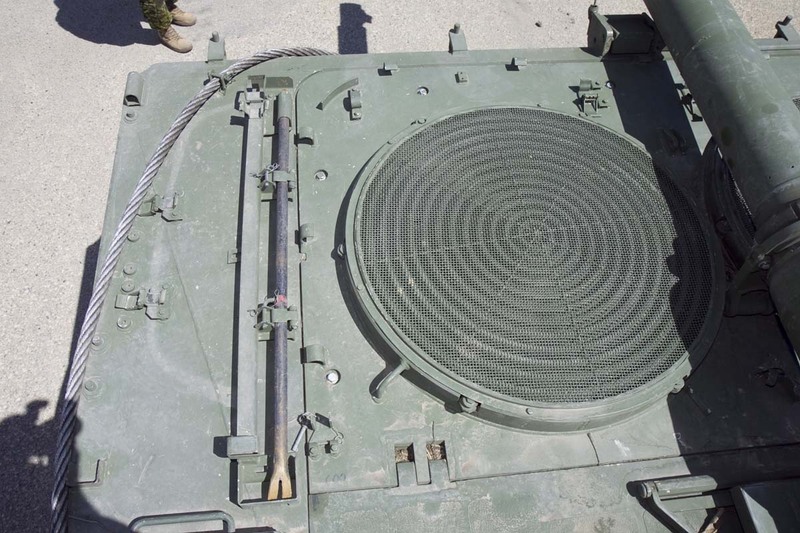 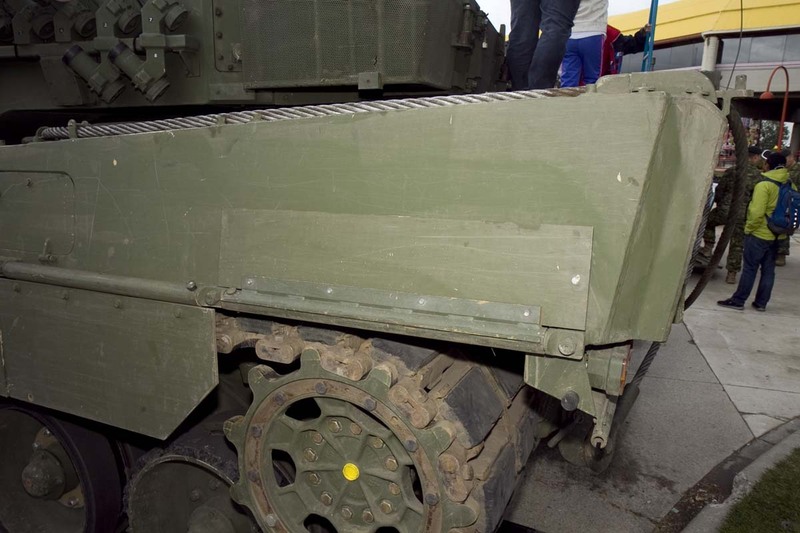 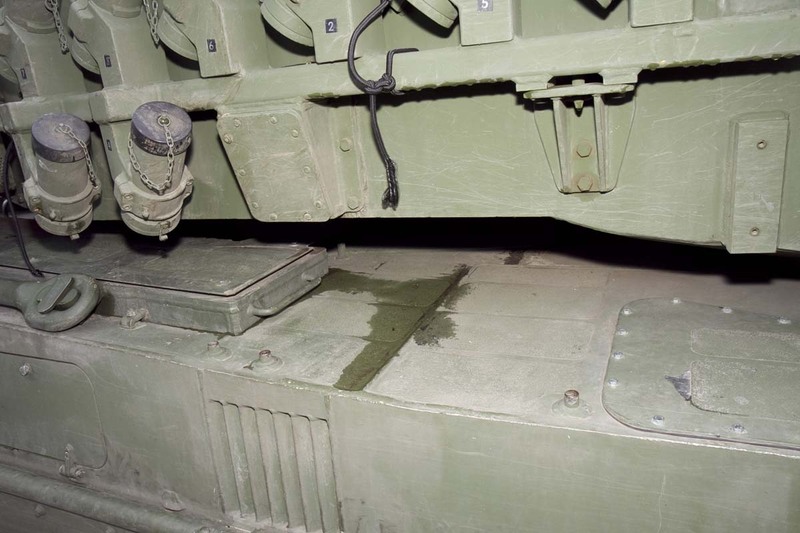 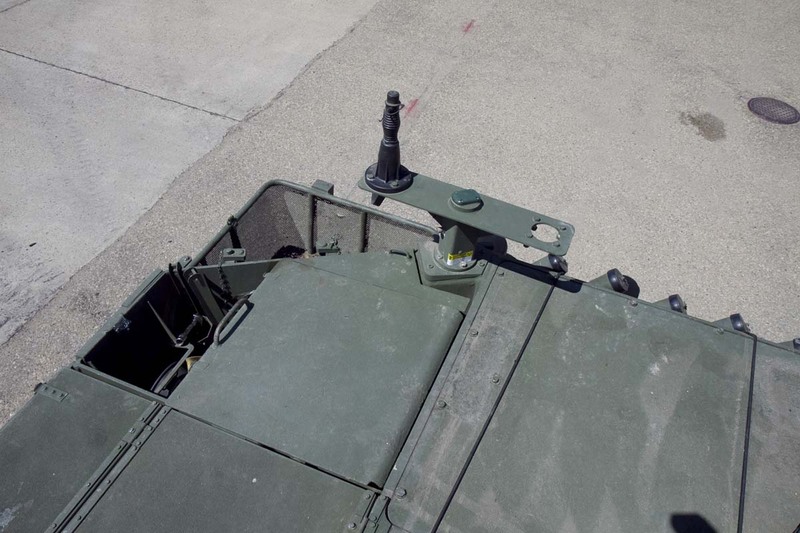 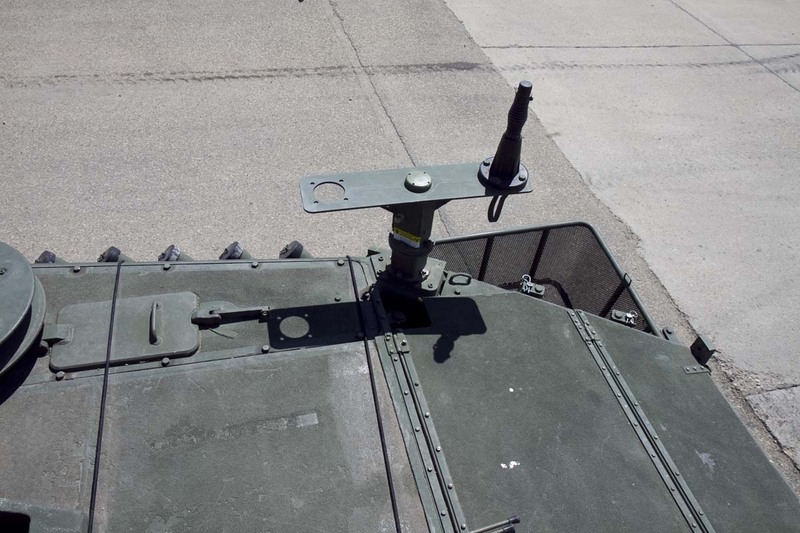 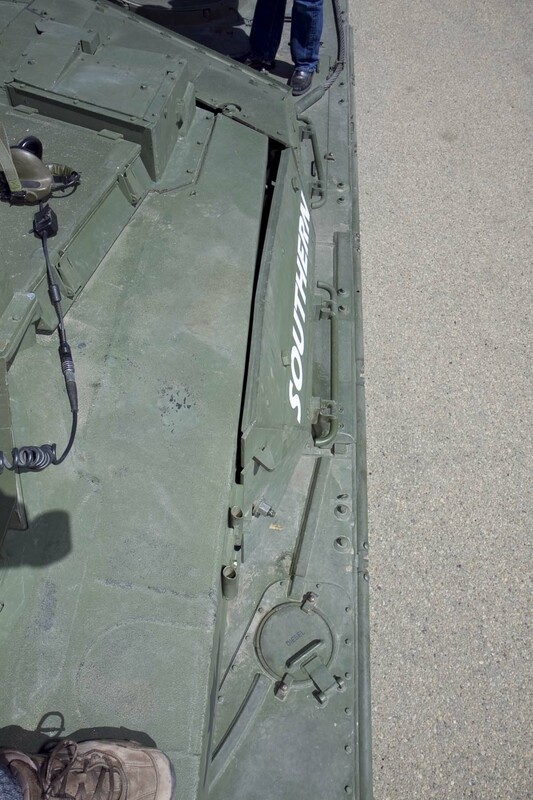 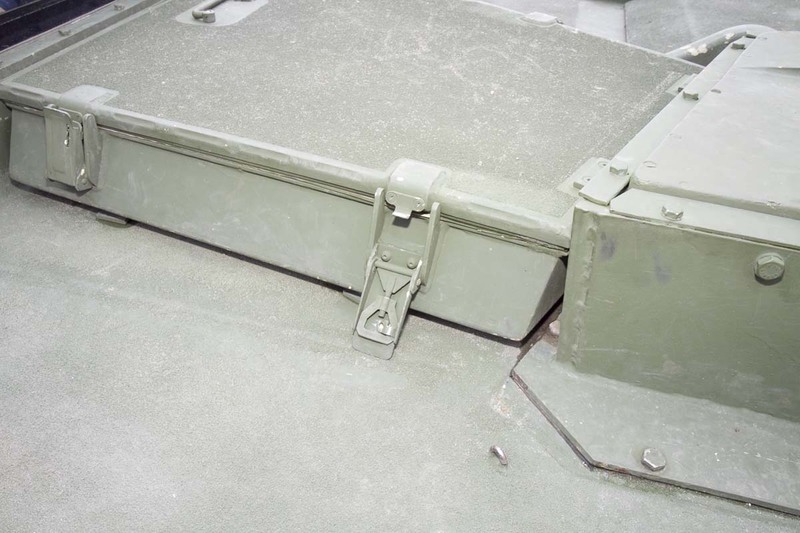 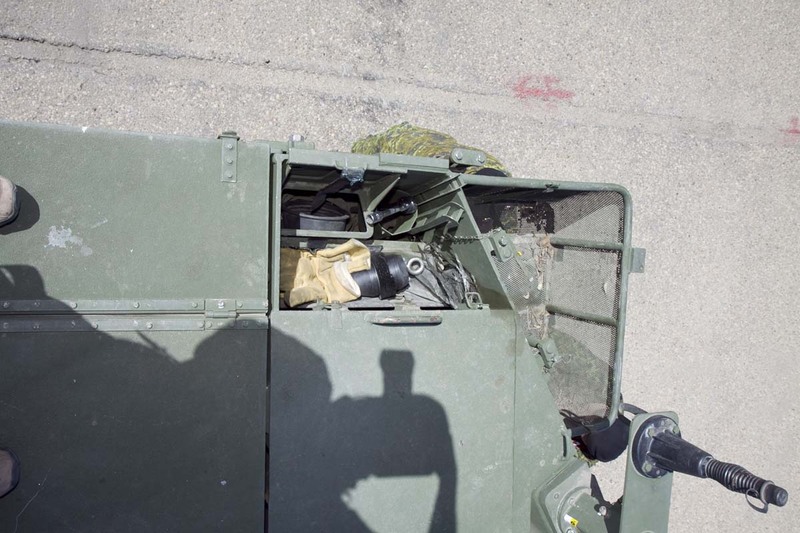 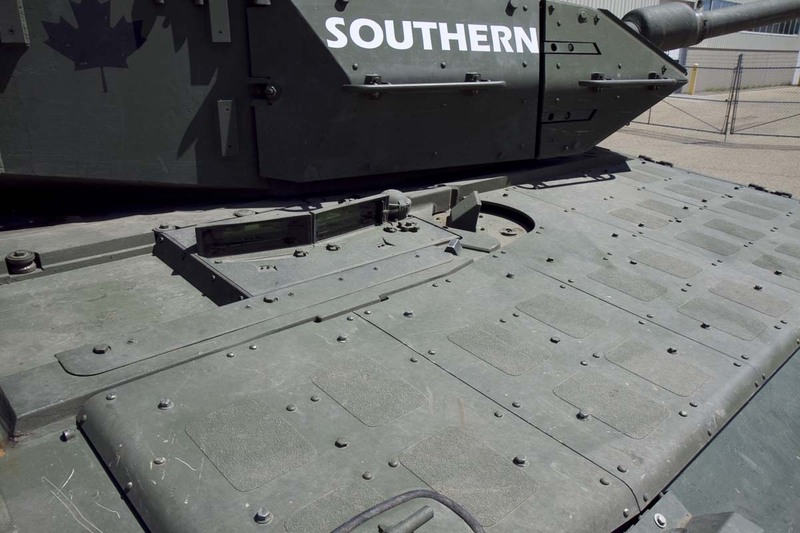 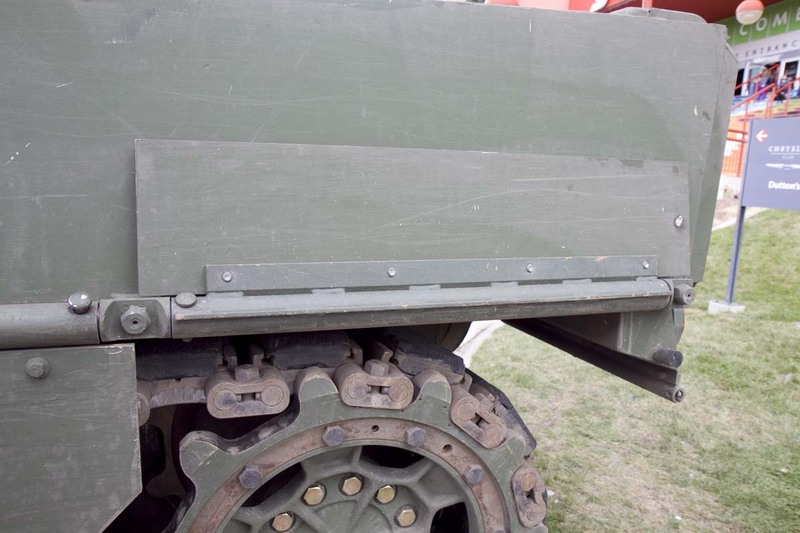 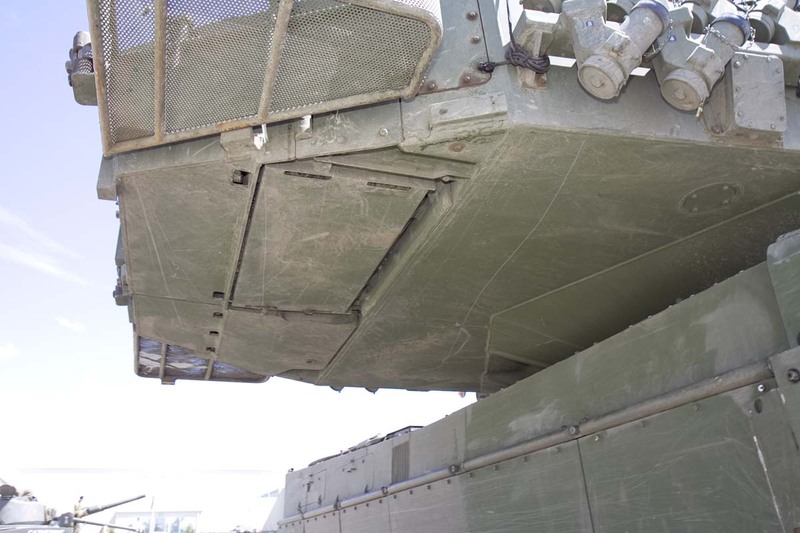 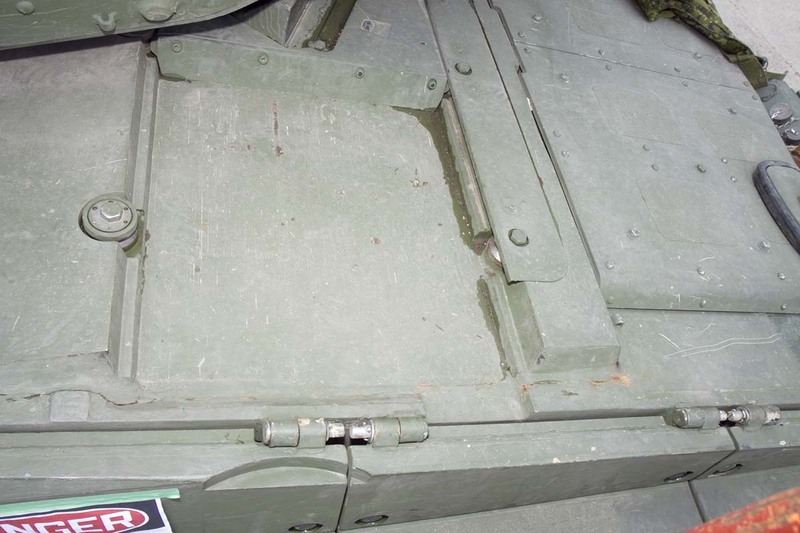 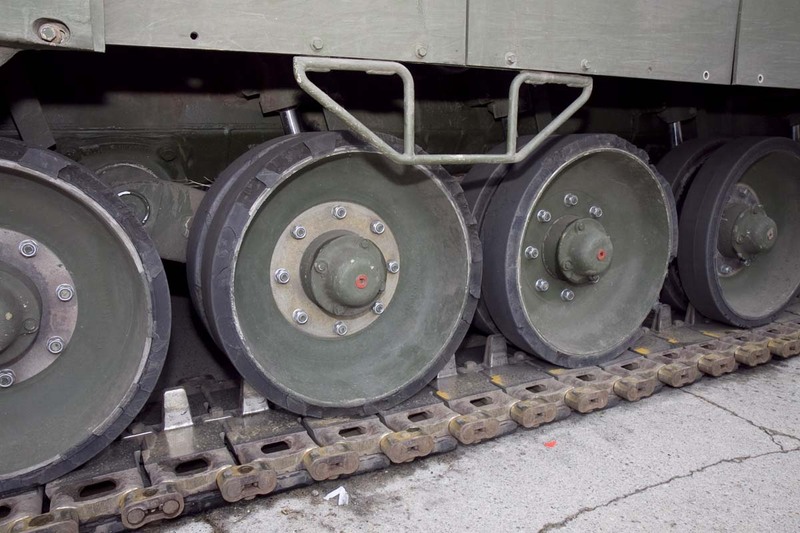 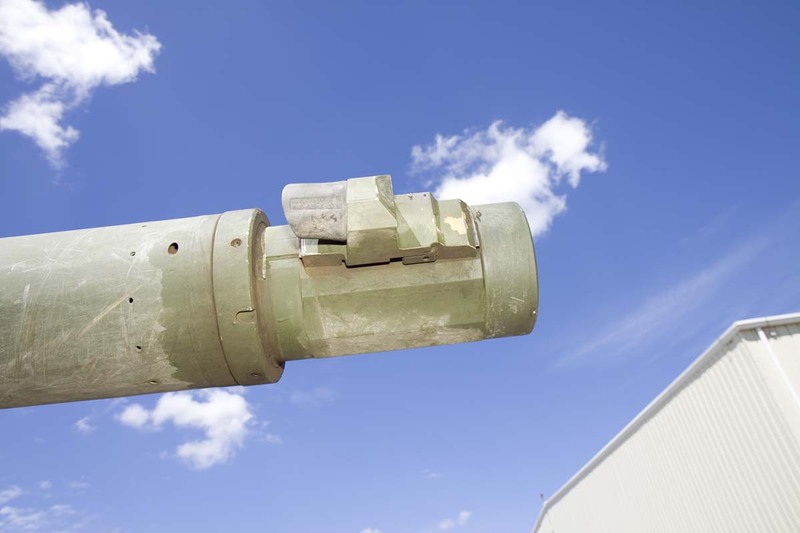 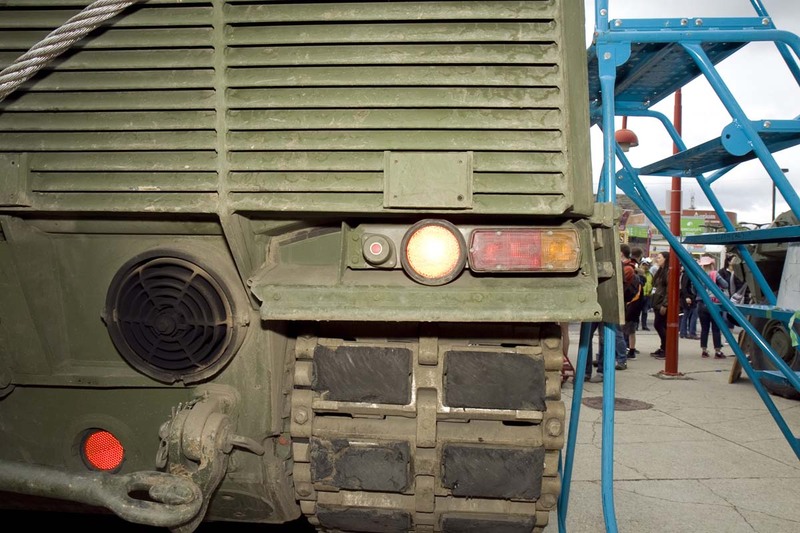 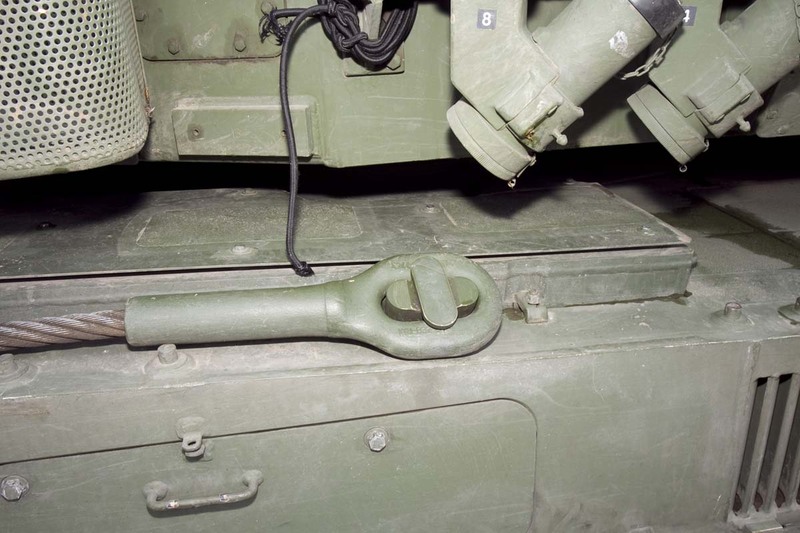 To avoid any confusion about 2A6M CAN, the Barracuda MCS, ECM boxes and slat armour fitted in Afghanistan were removed immediately after withdrawal from theatre. 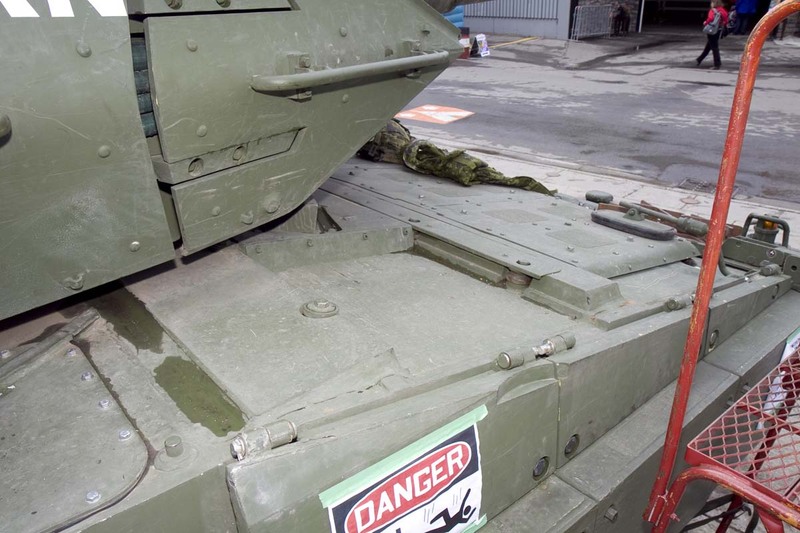 These items are not used in Canada. 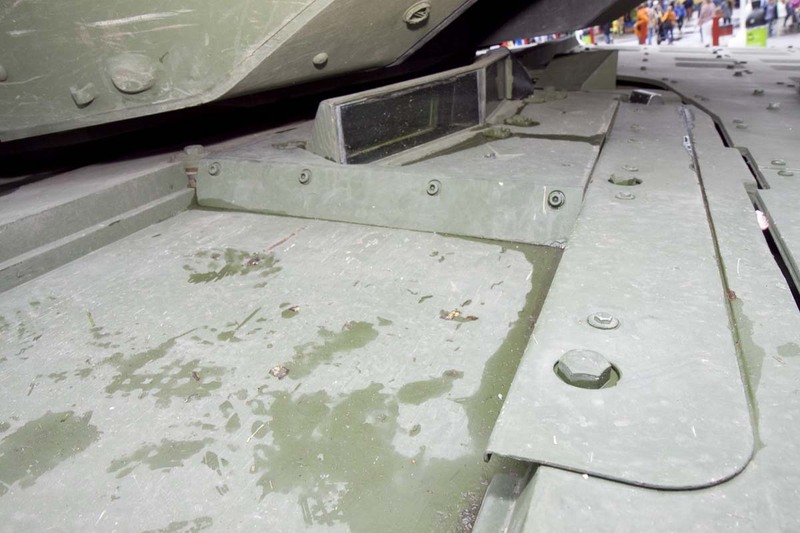 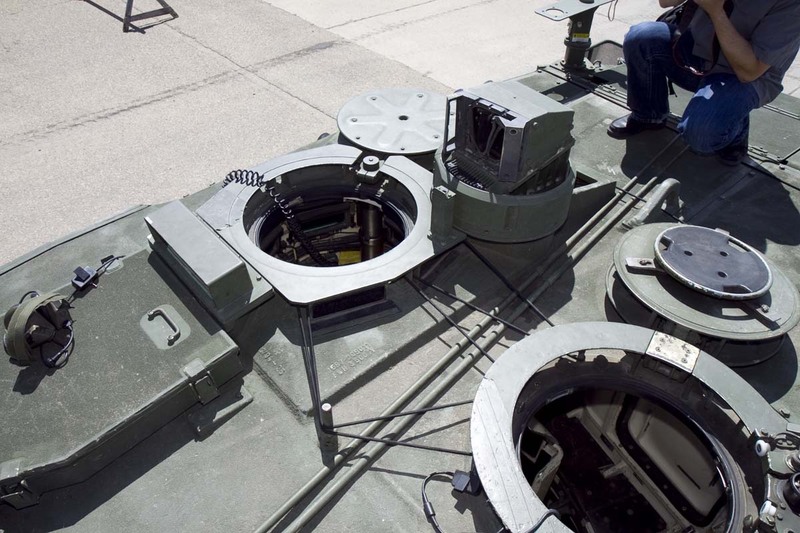 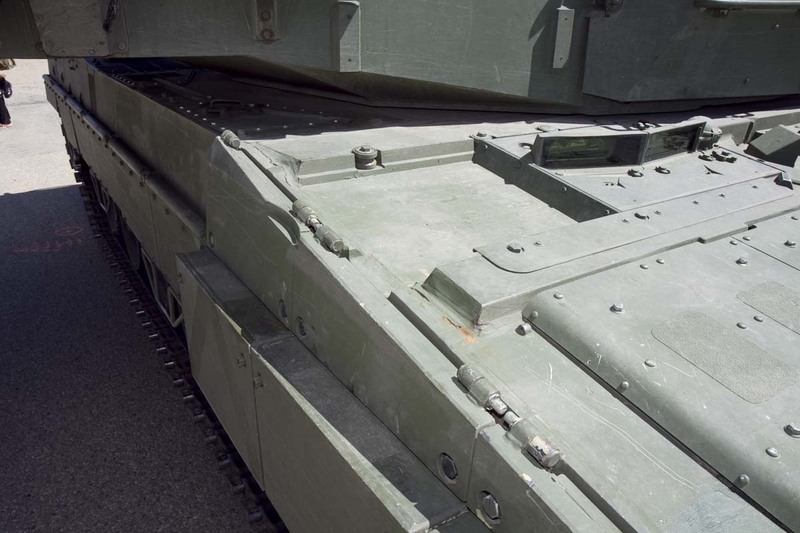 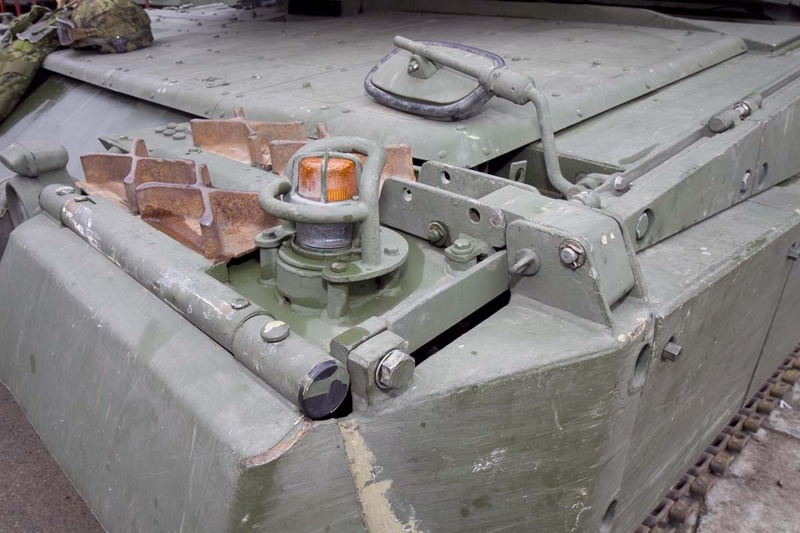 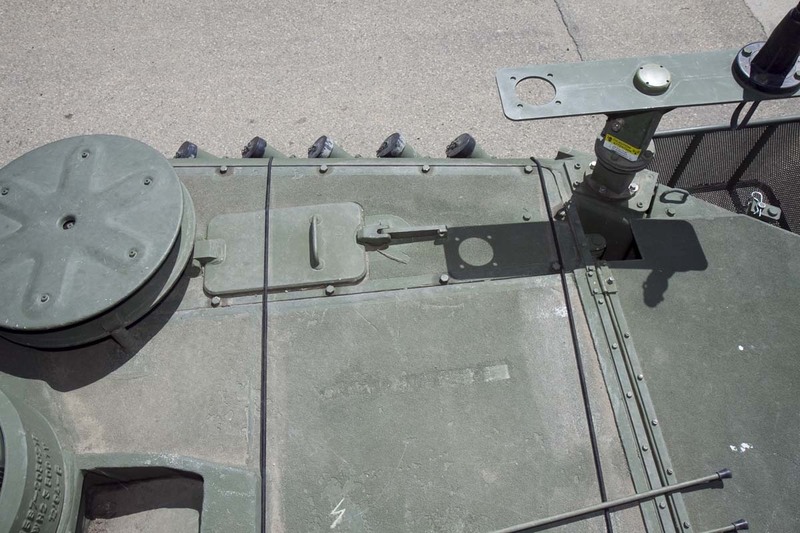 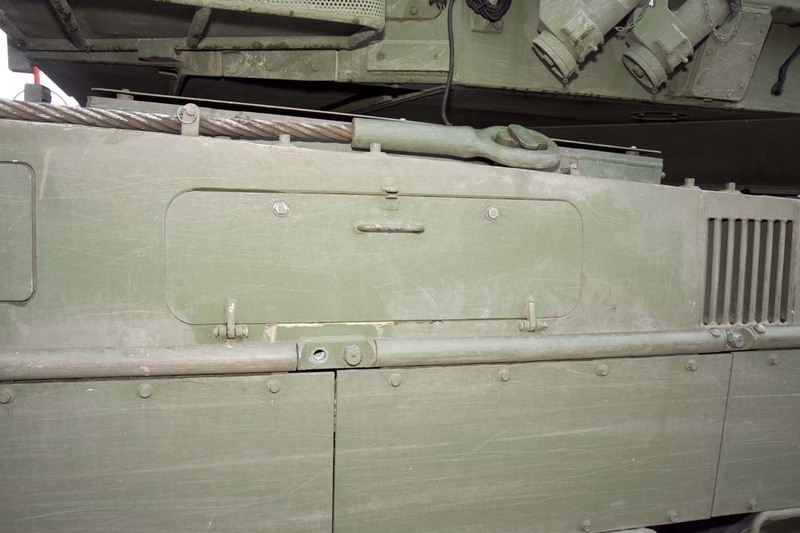 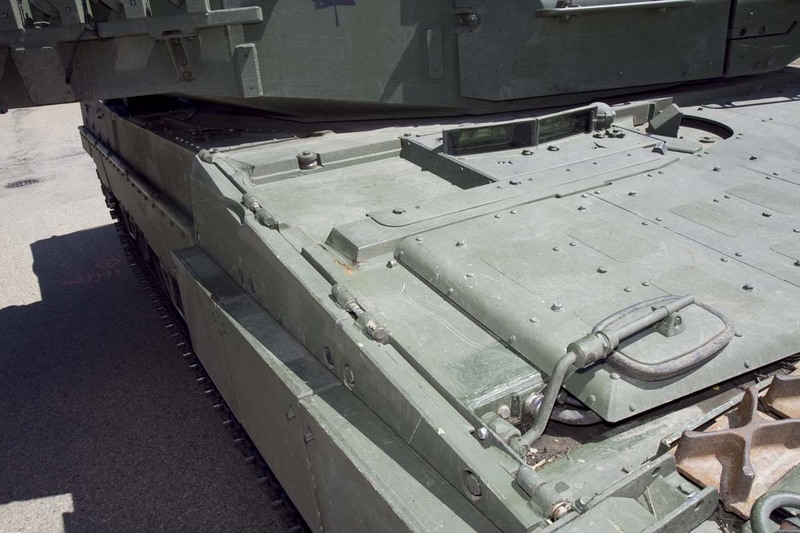 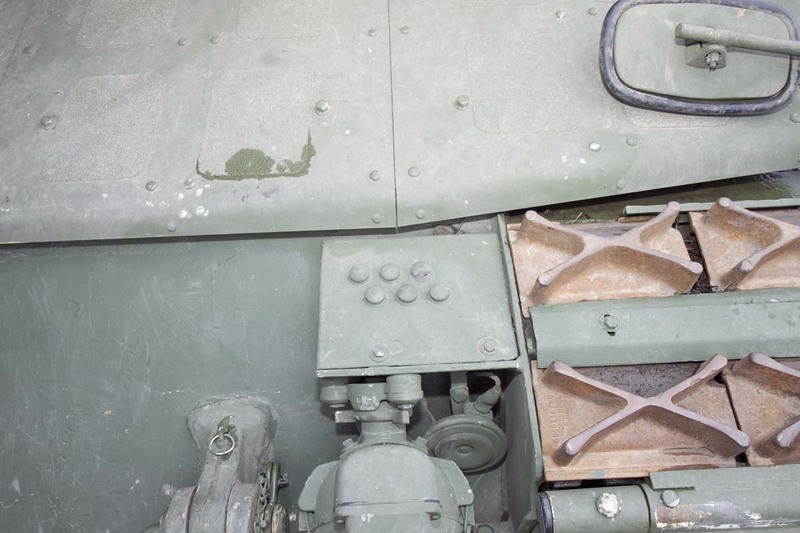 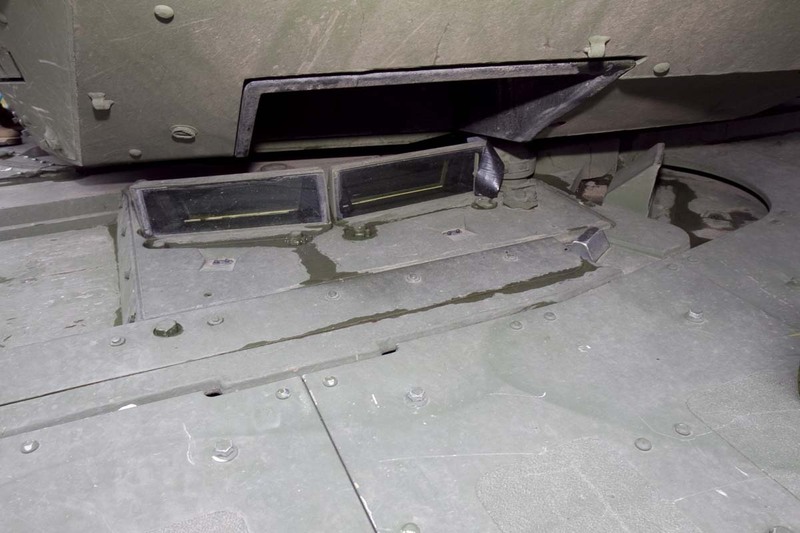 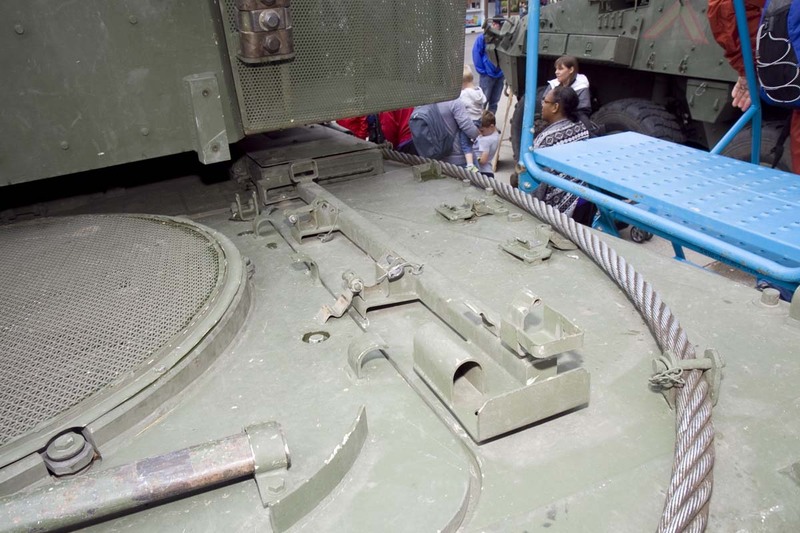 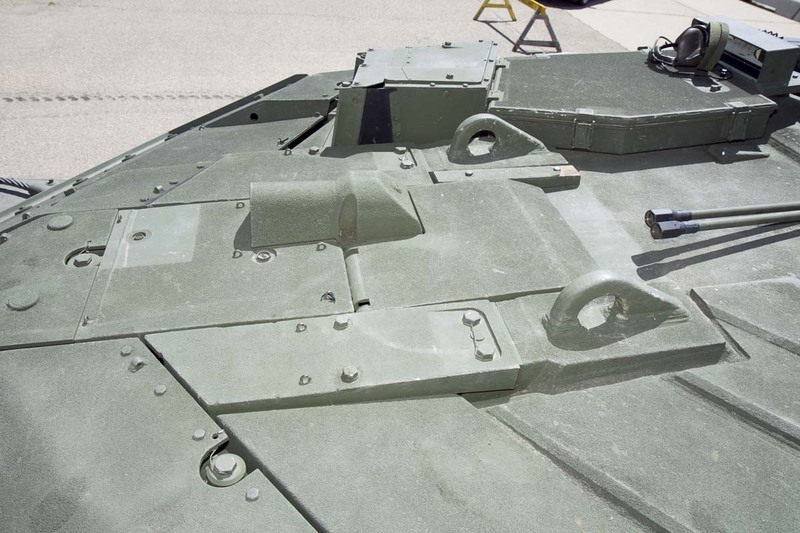 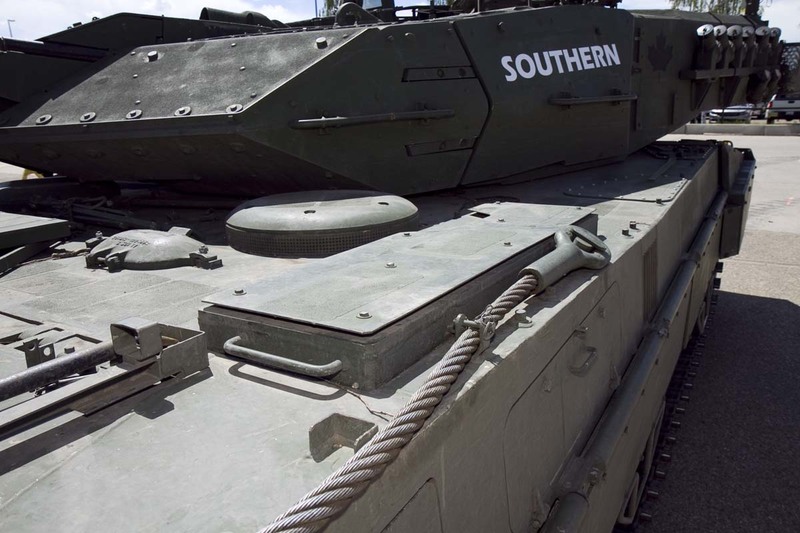 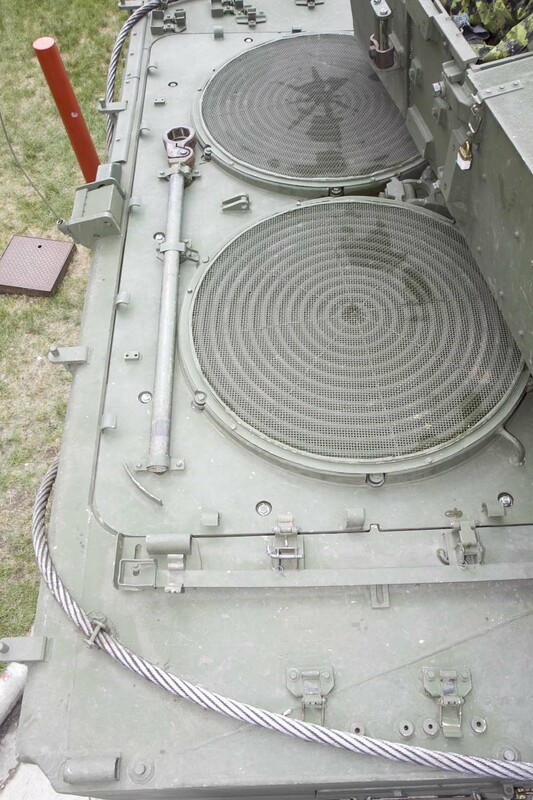 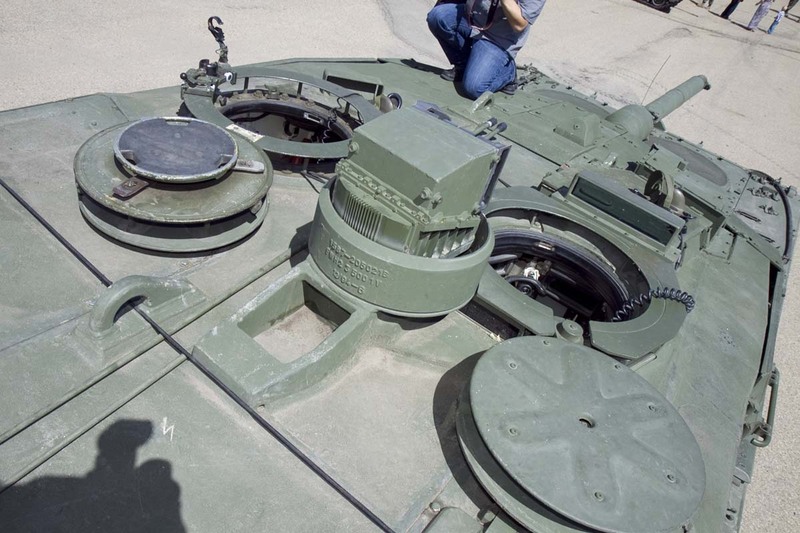 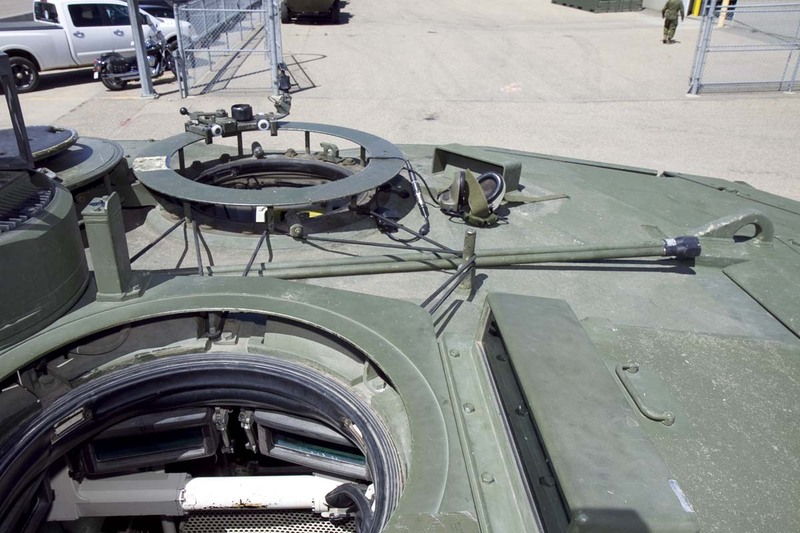 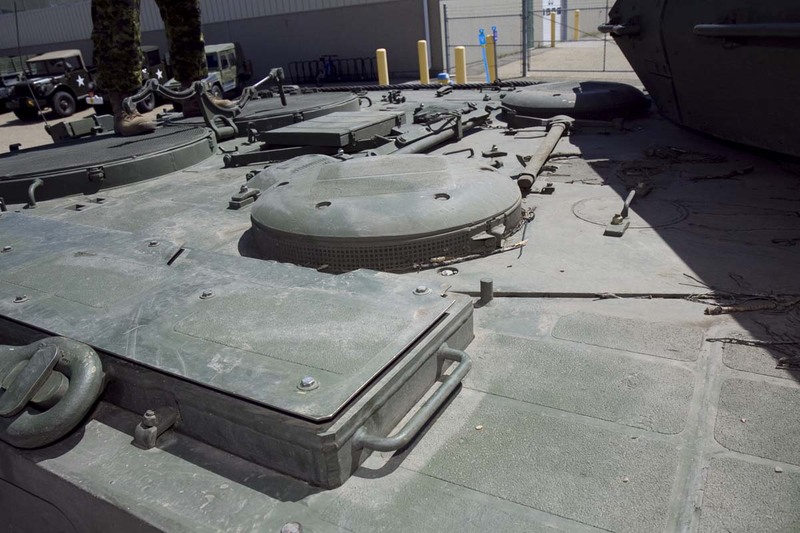 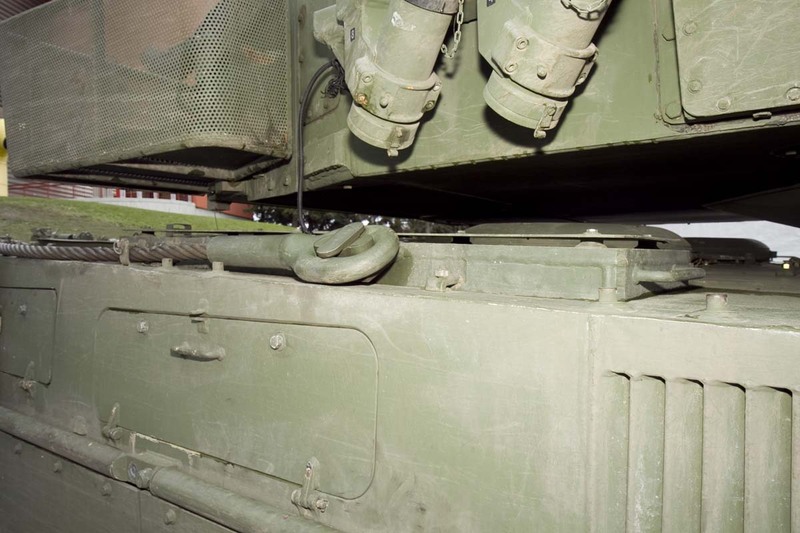 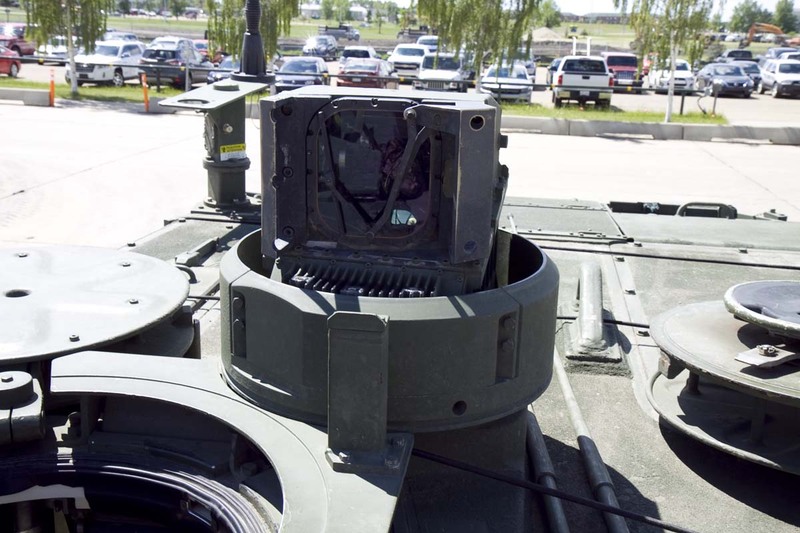 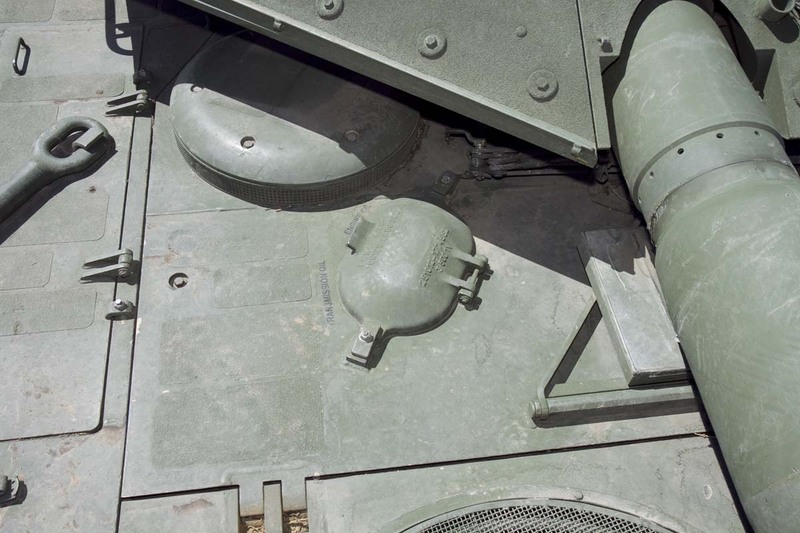 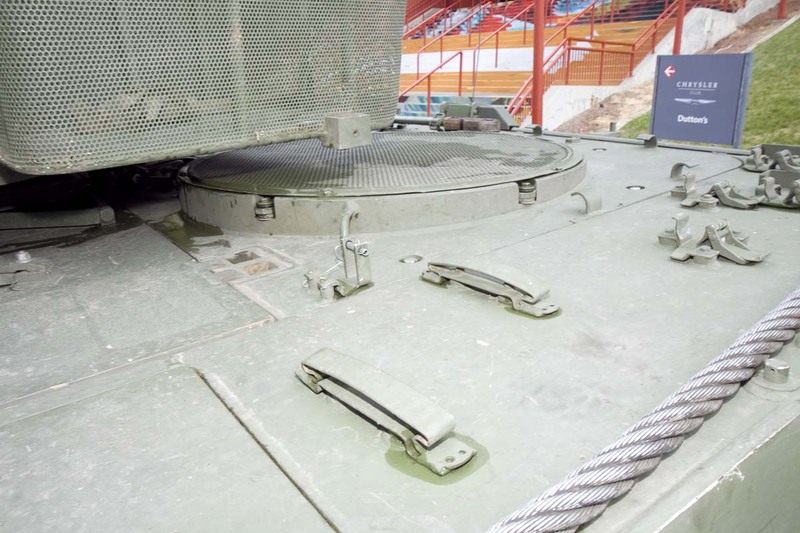 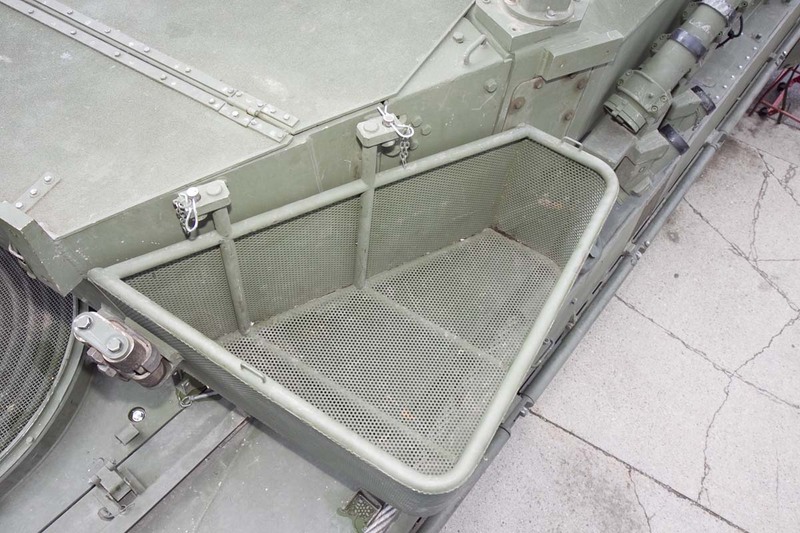 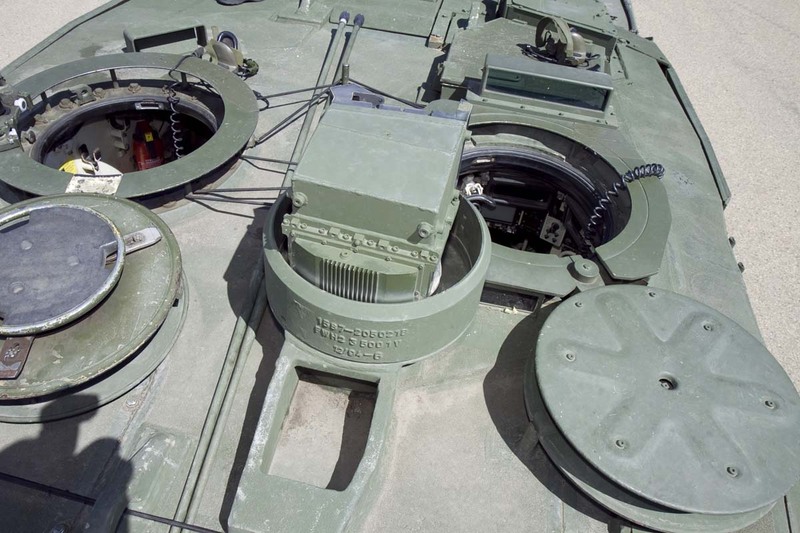 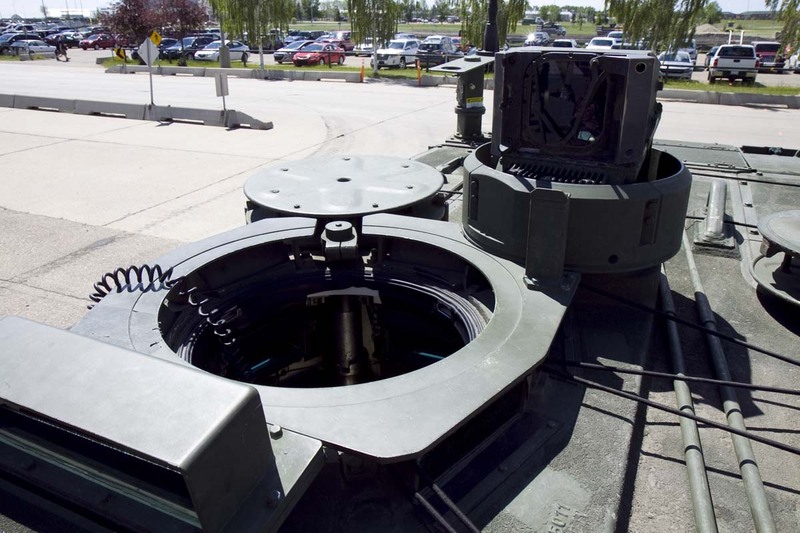 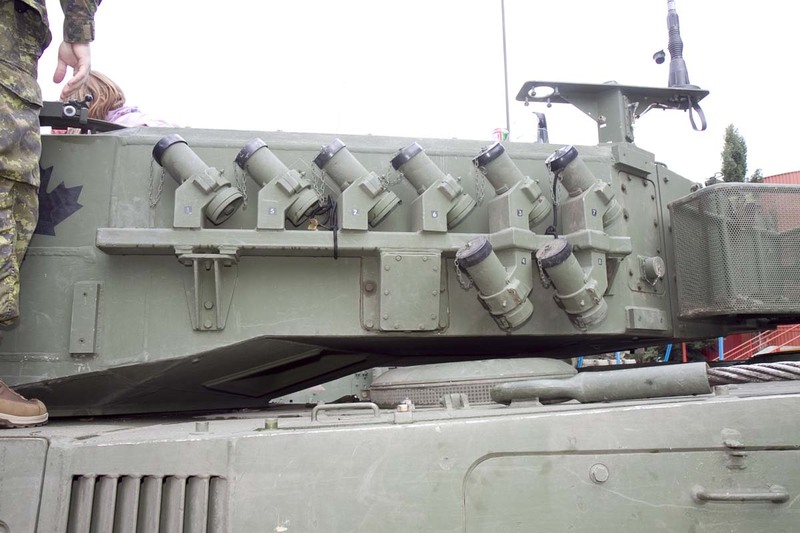 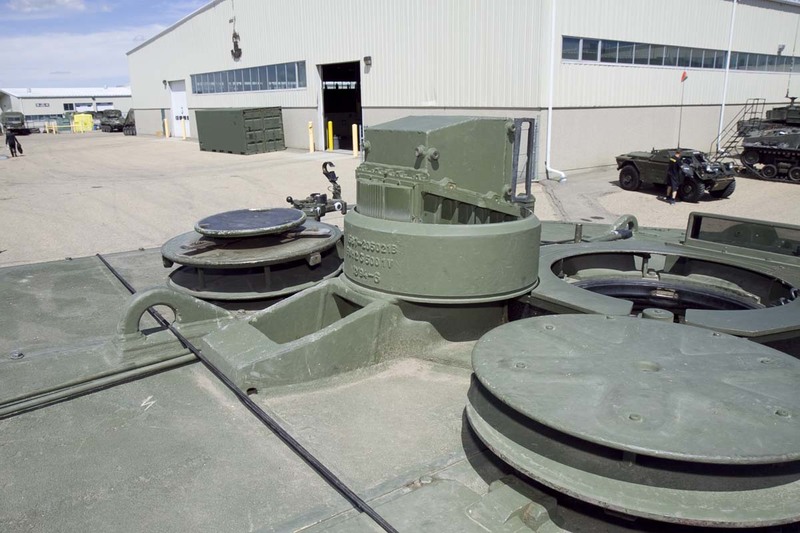 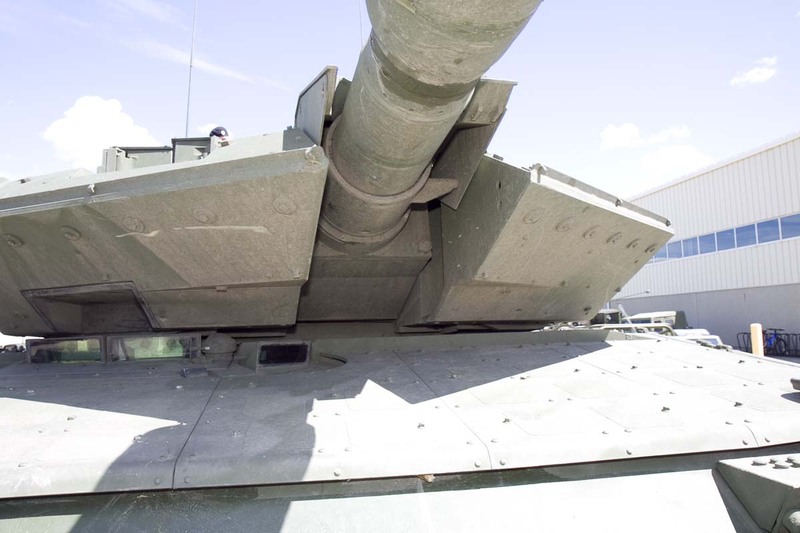 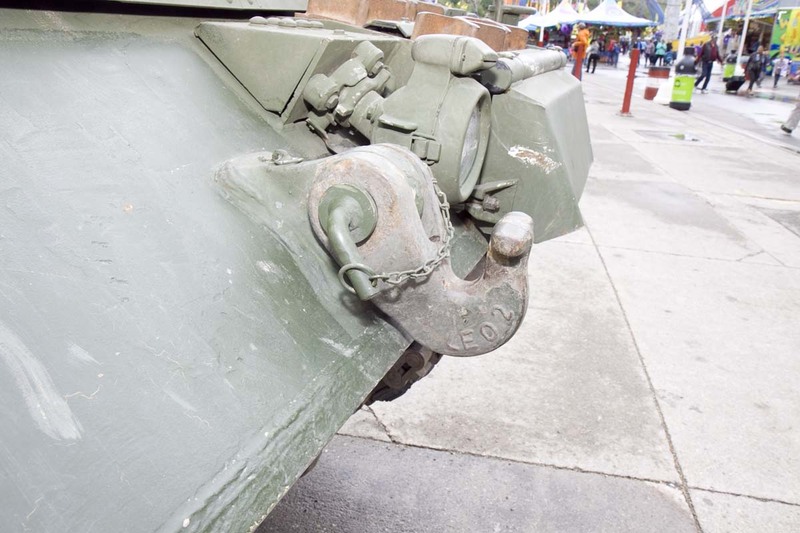 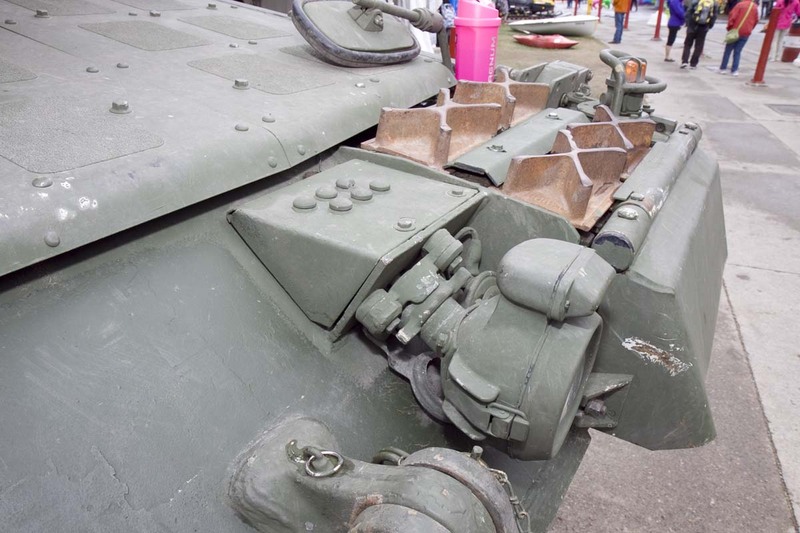 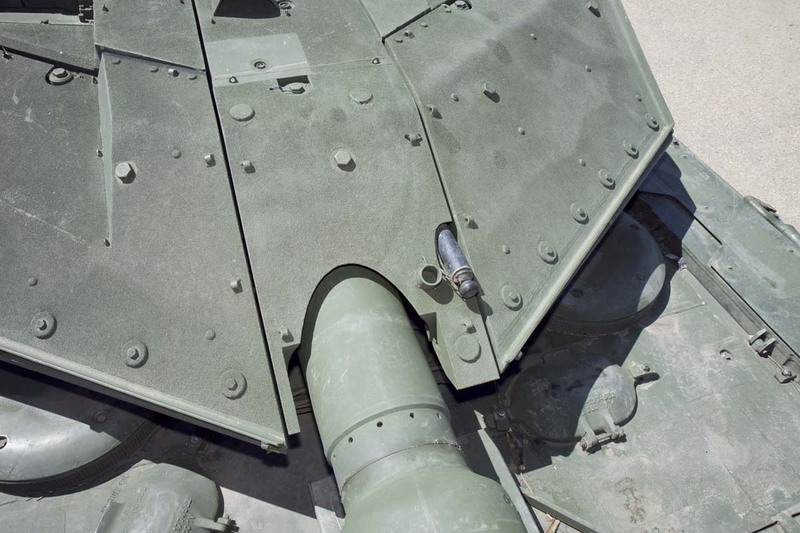 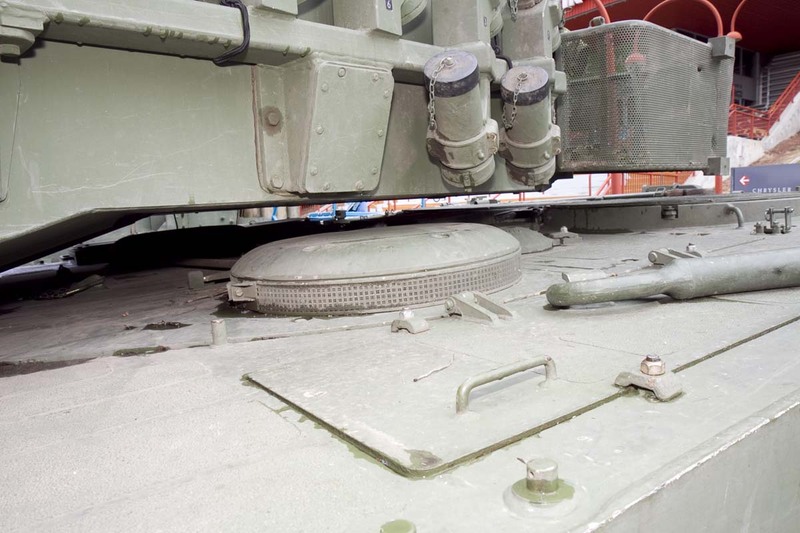 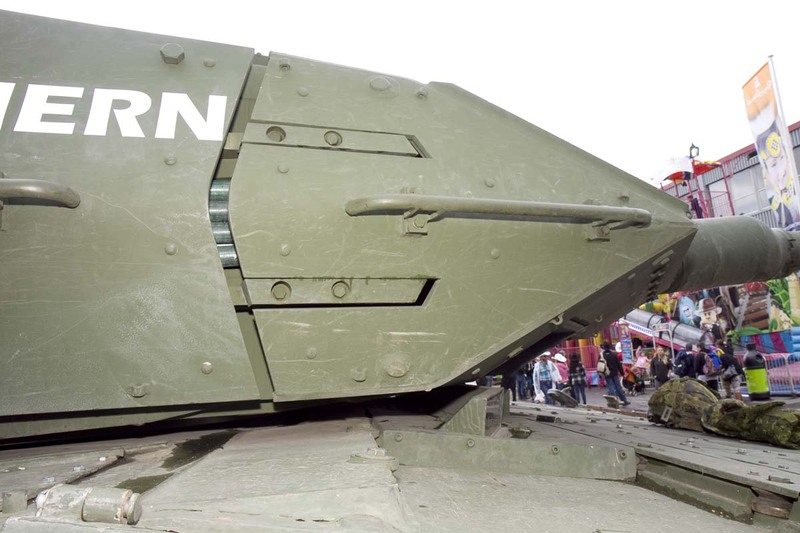 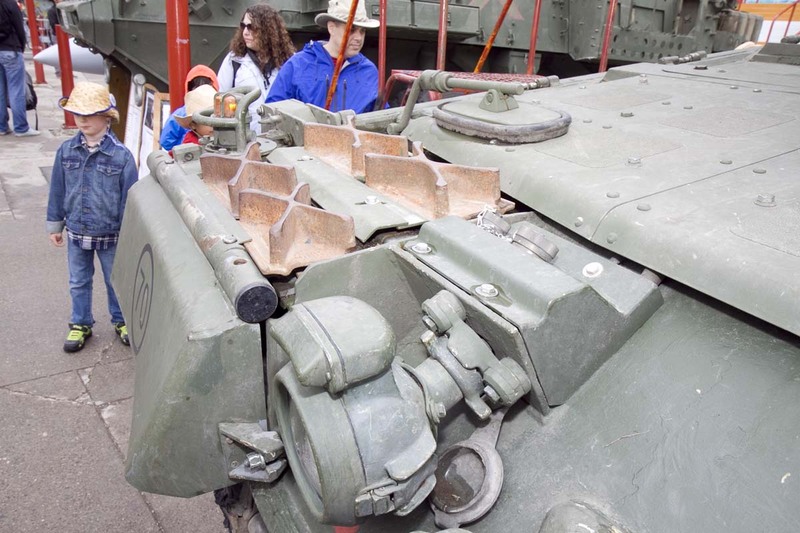 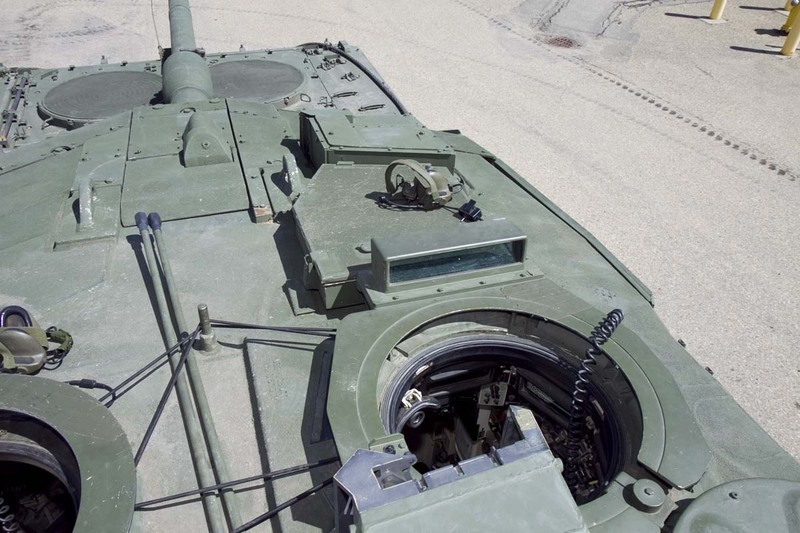 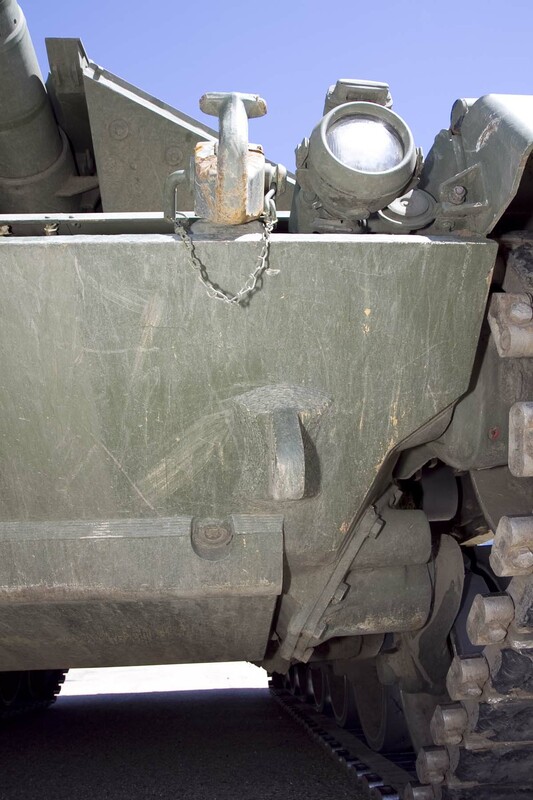 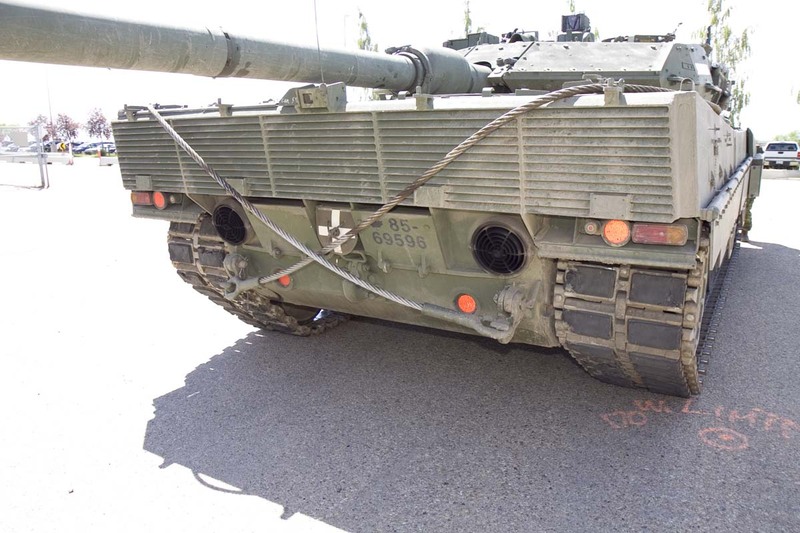 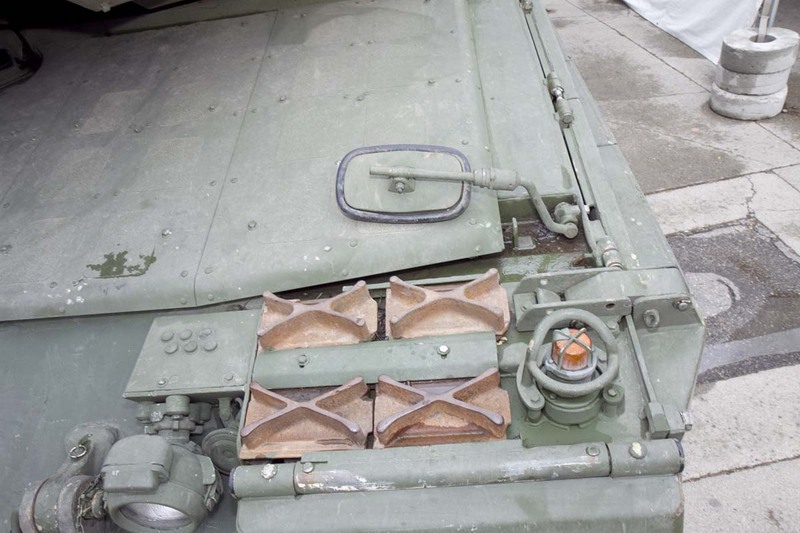 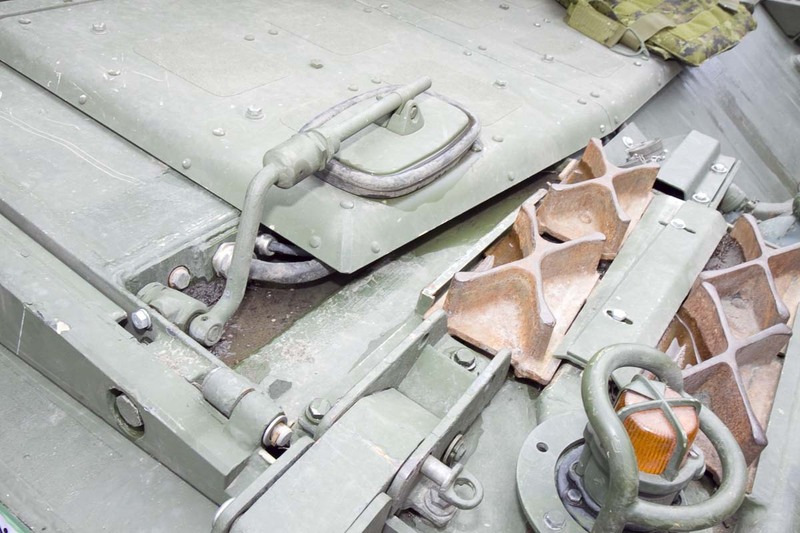 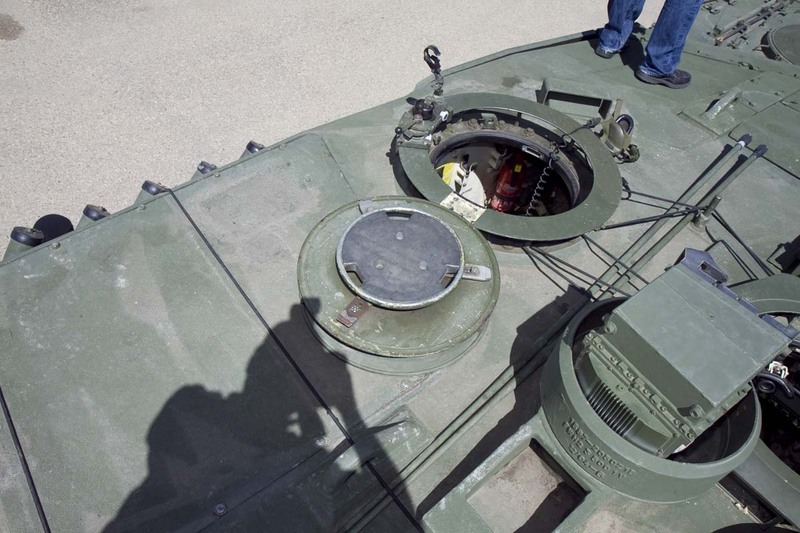 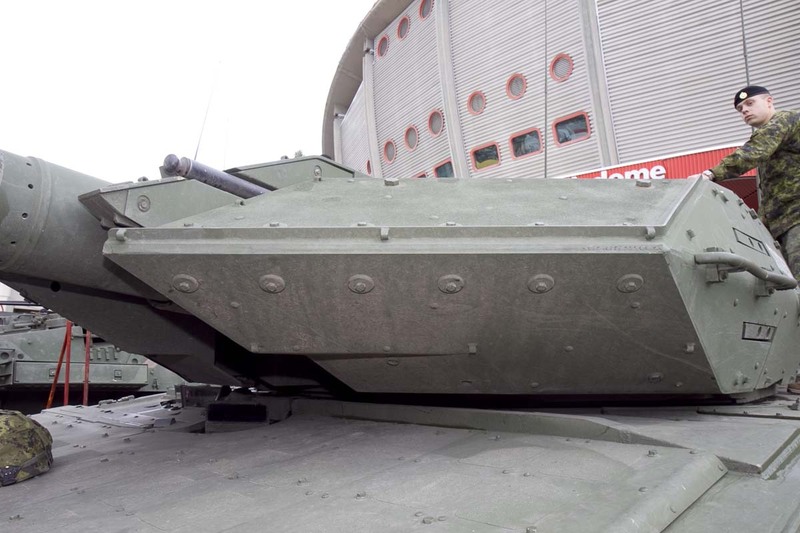 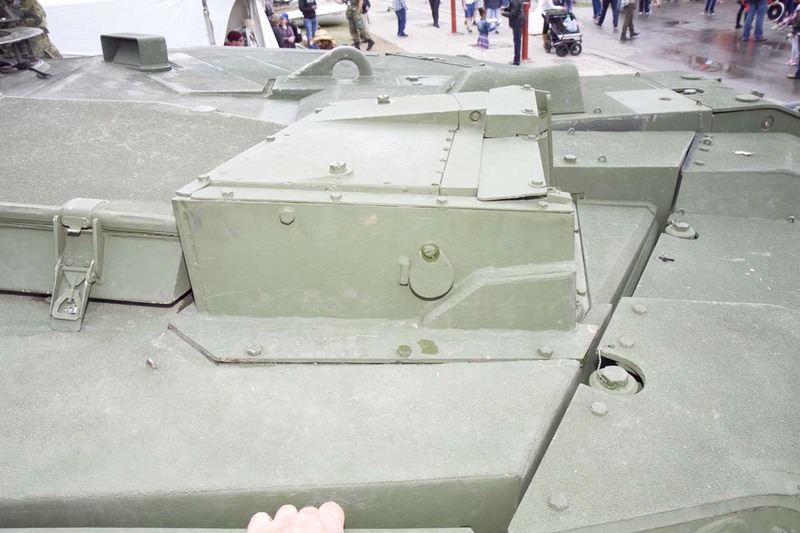 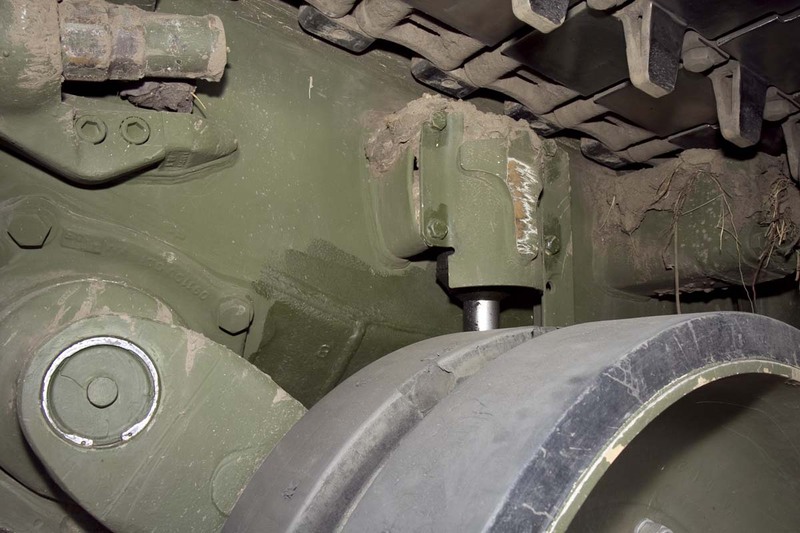 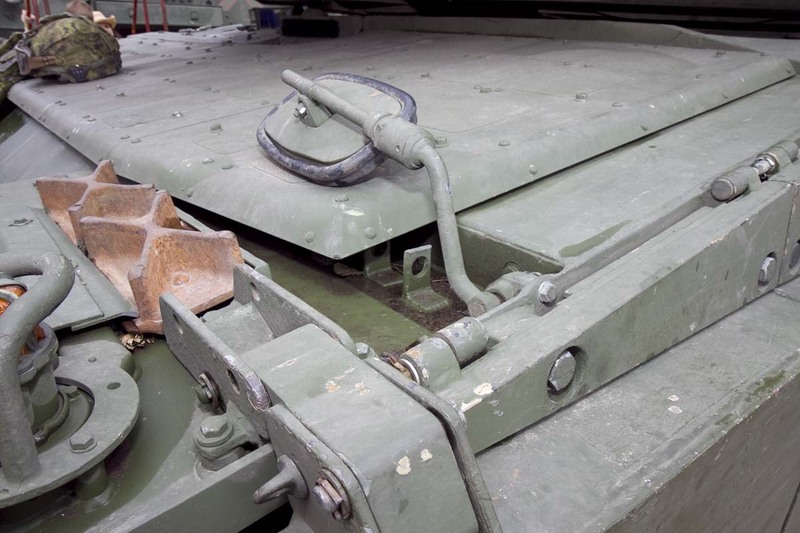 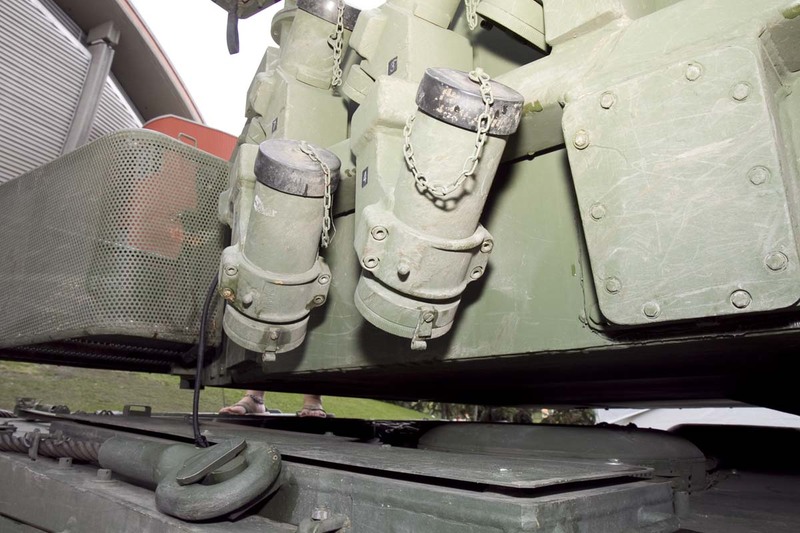 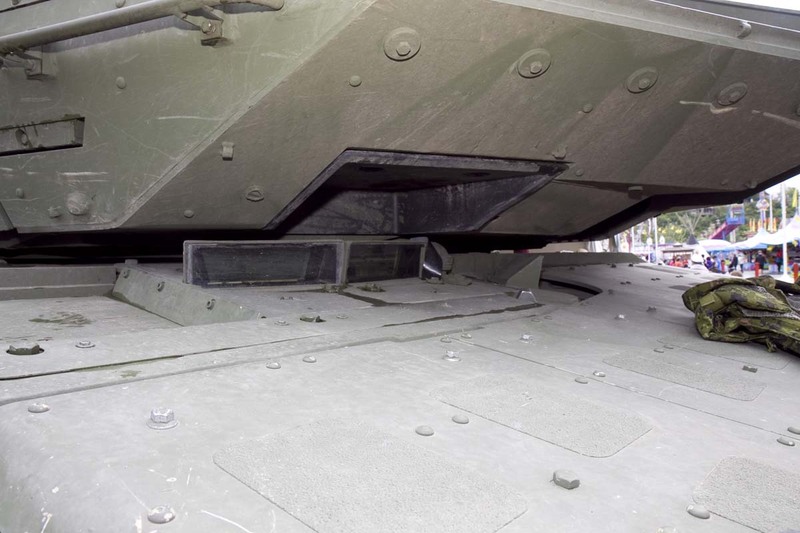 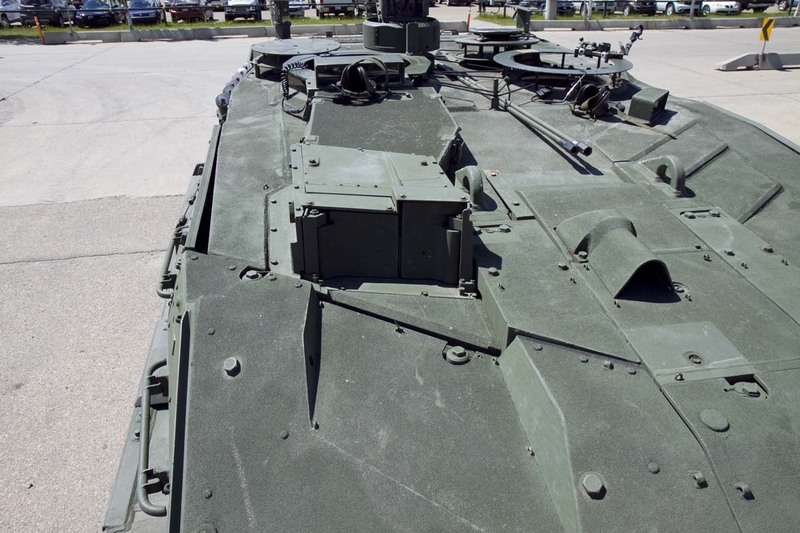 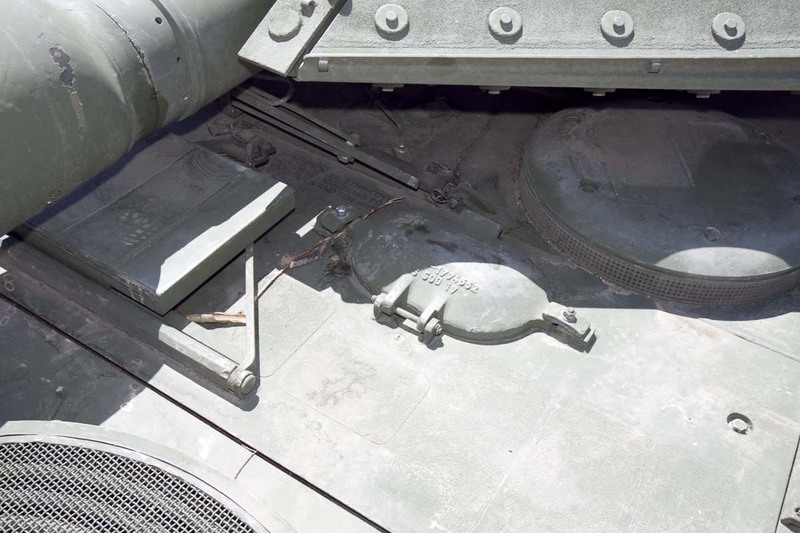 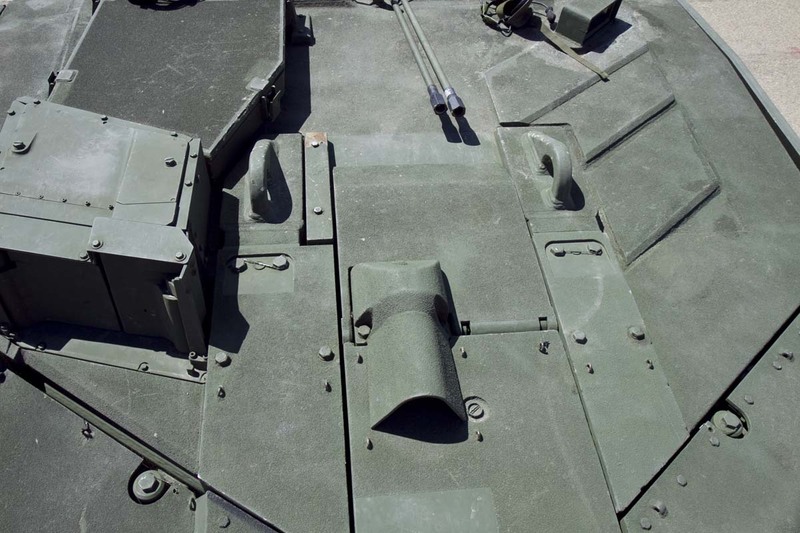 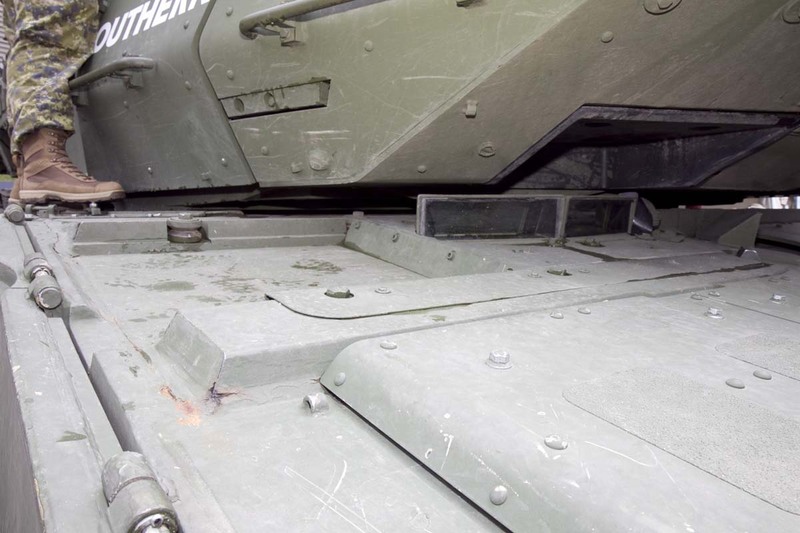 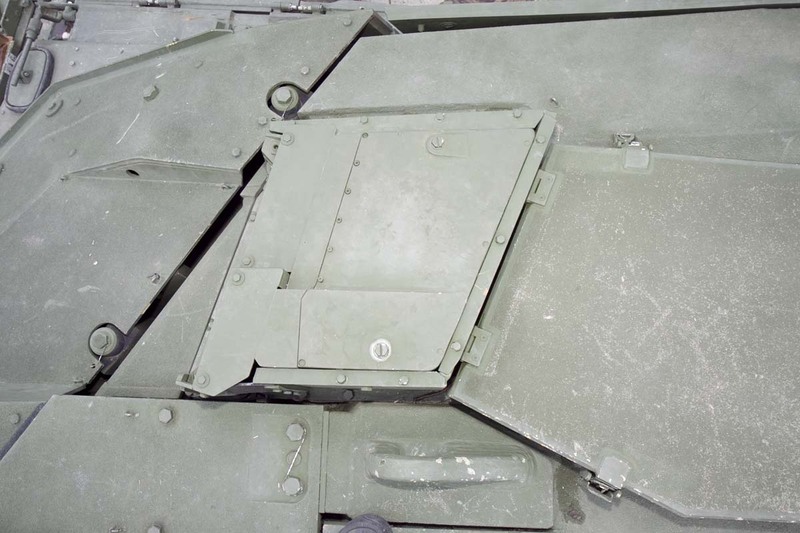 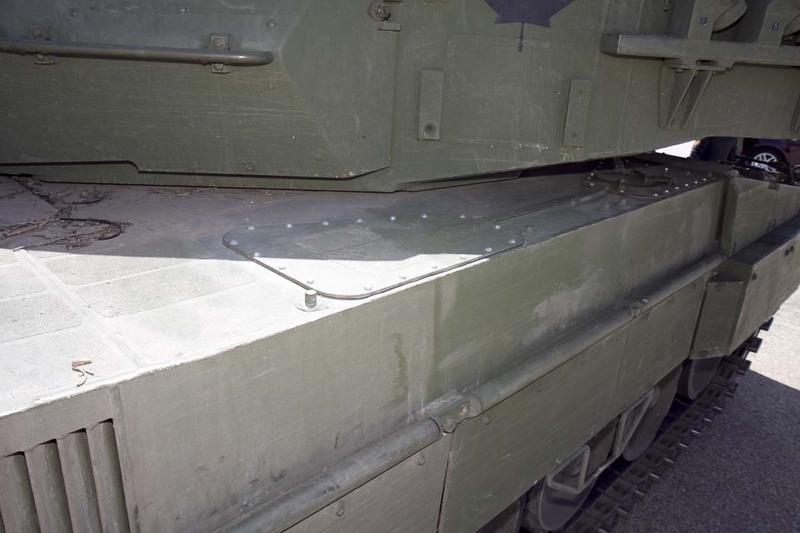 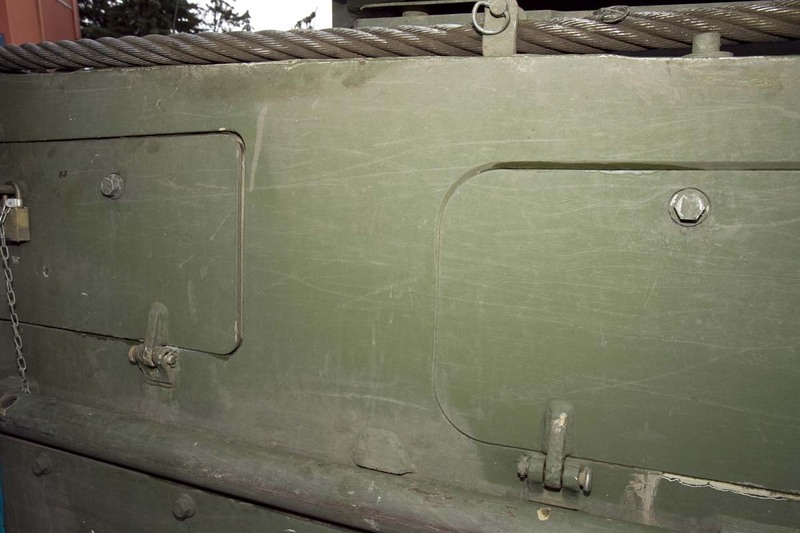 A thorough modification programme has changed the tanks significantly. 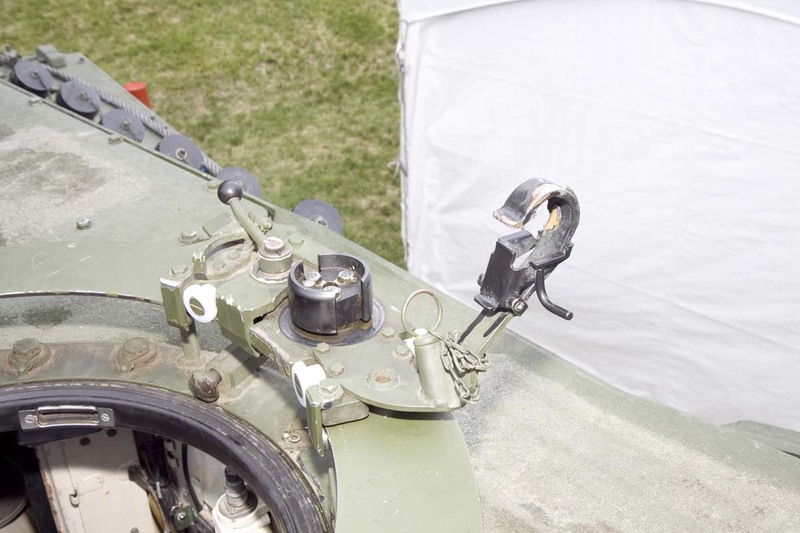 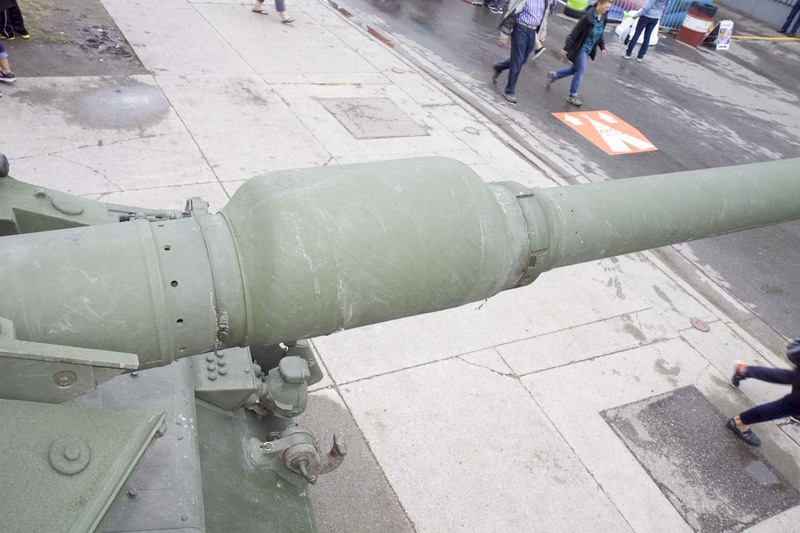 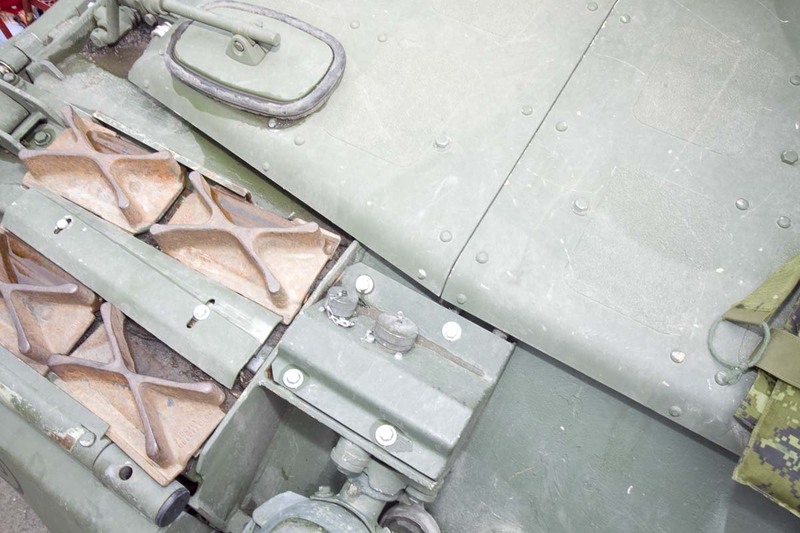 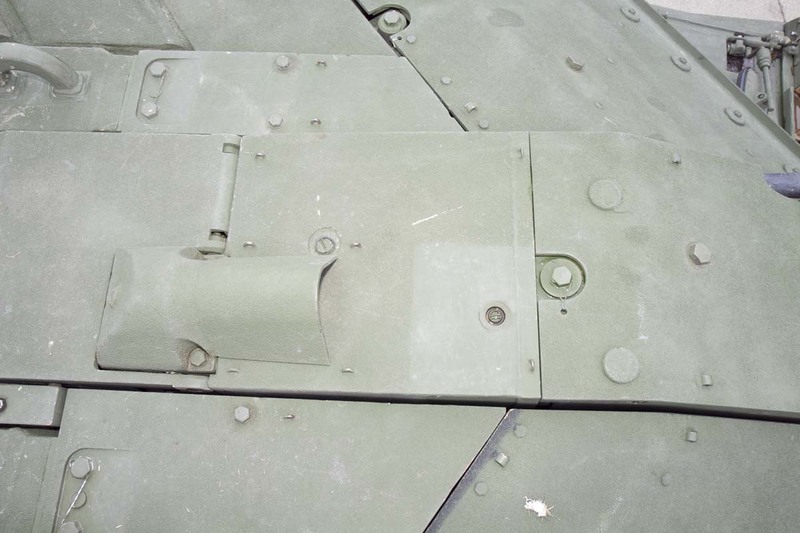 There is a final configuration of 2A6M CAN - the real vehicles look different from tank to tank as most are currently at different stages of modification. 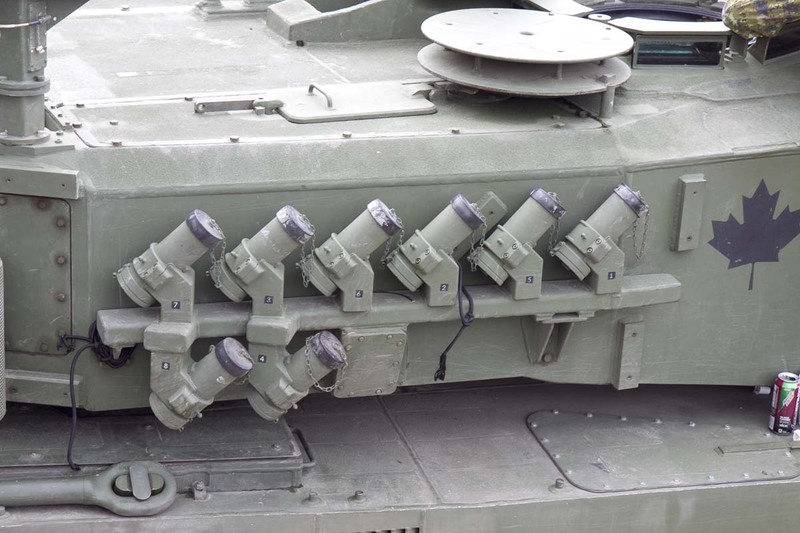 It will take some time to bring them all to the same final standard. 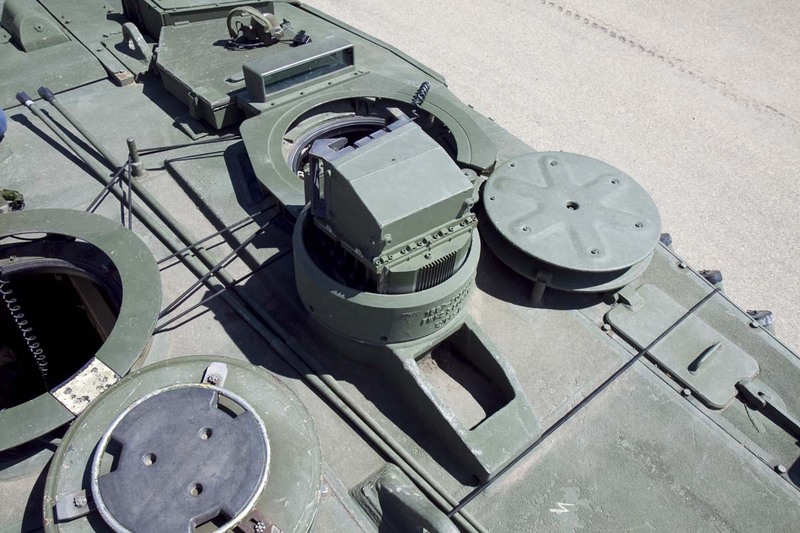 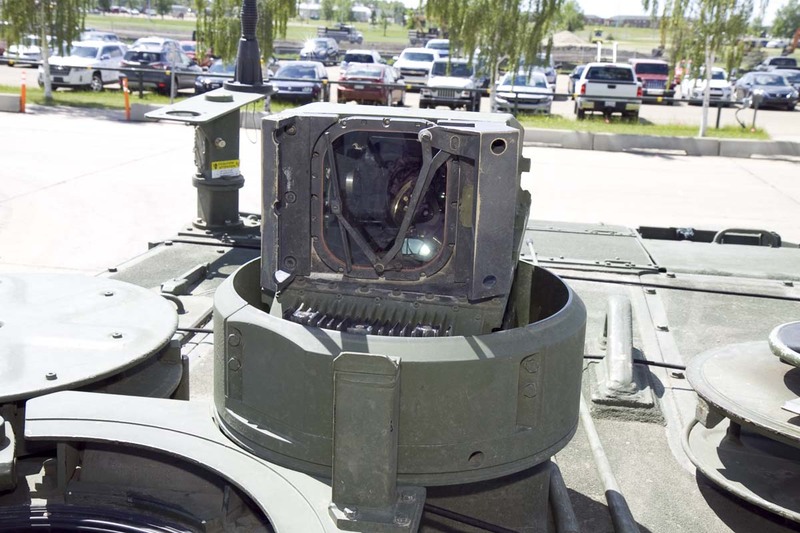 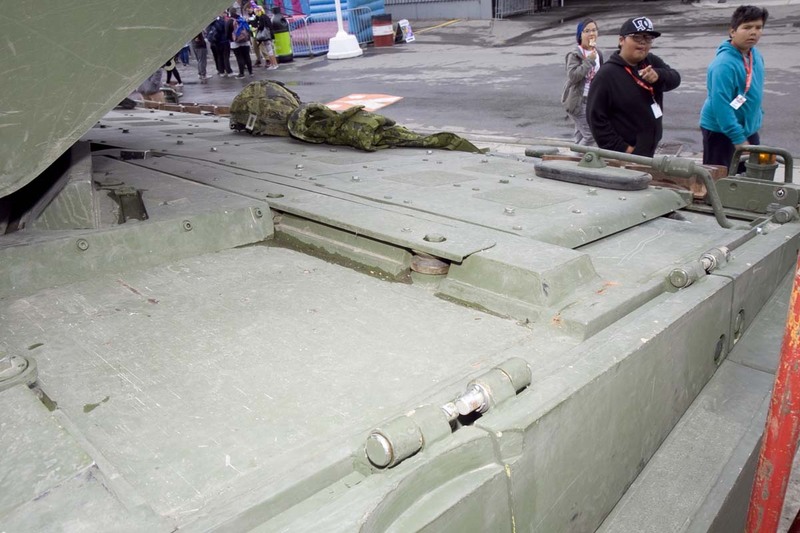 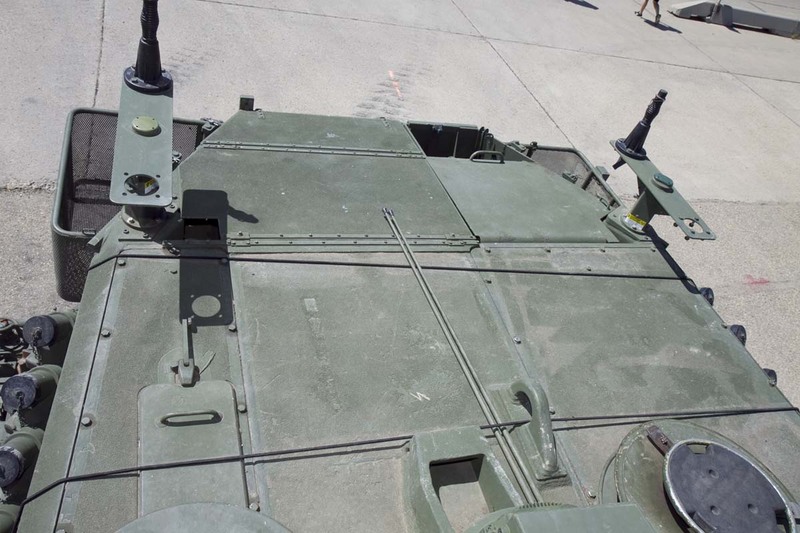 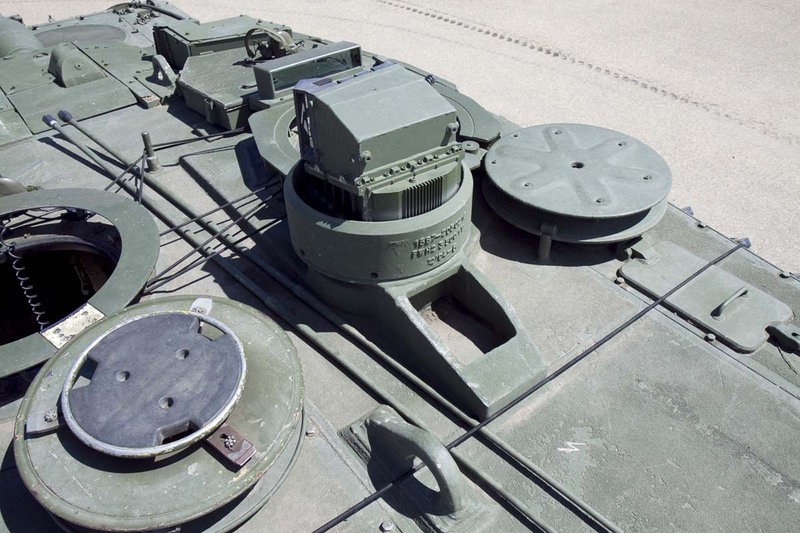 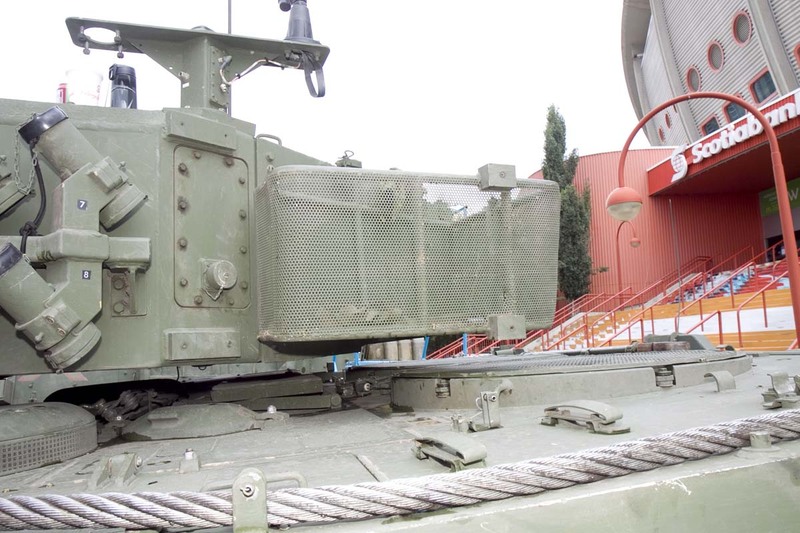 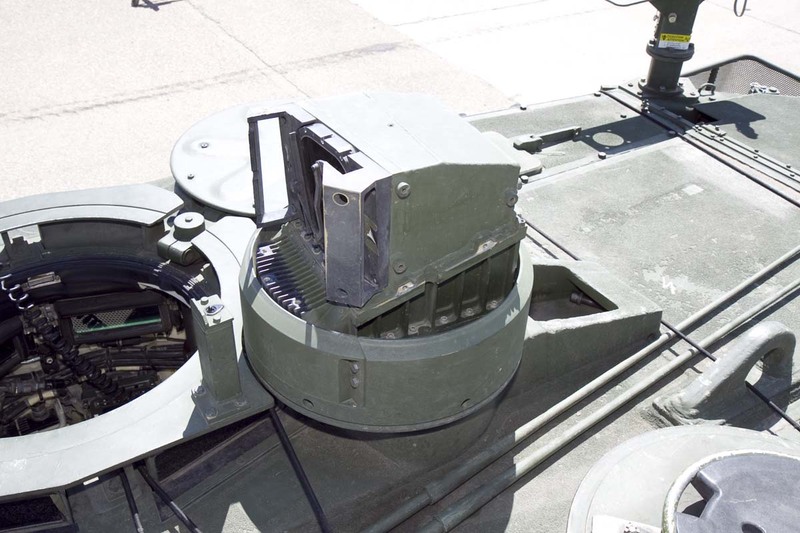 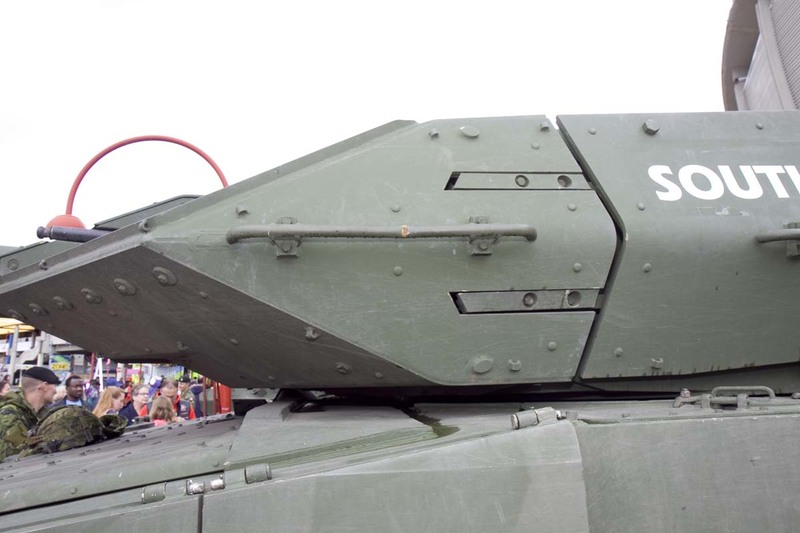 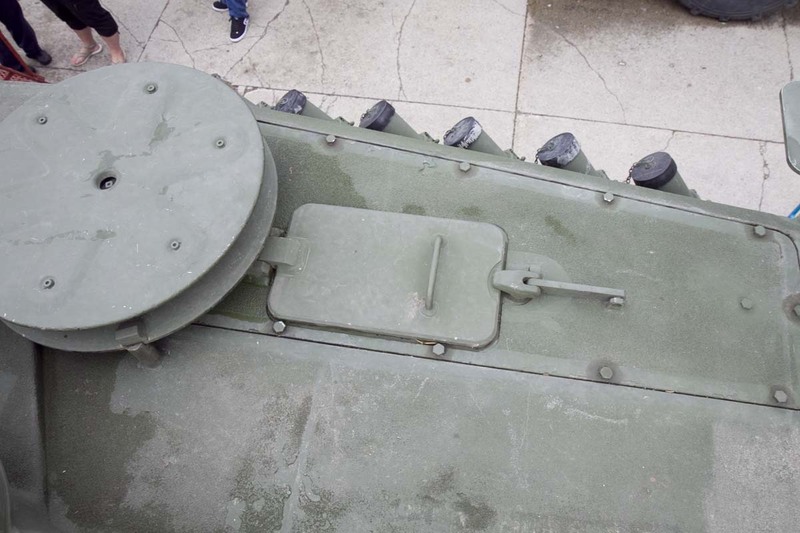 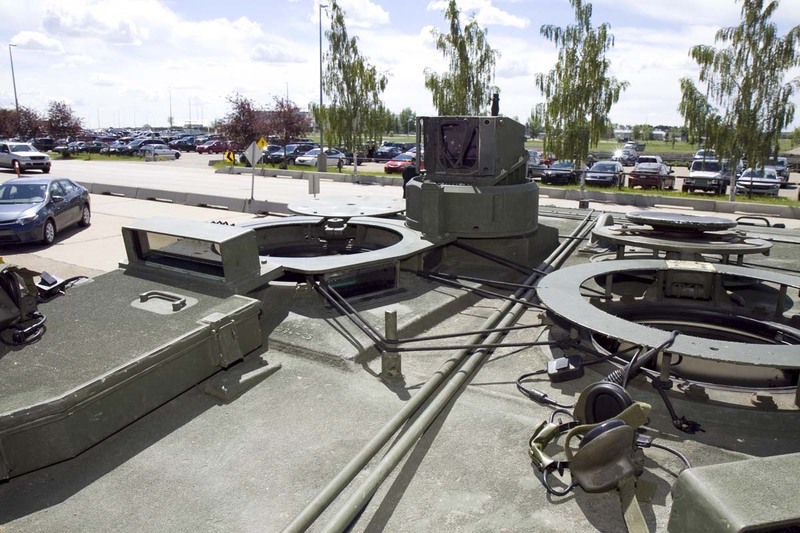 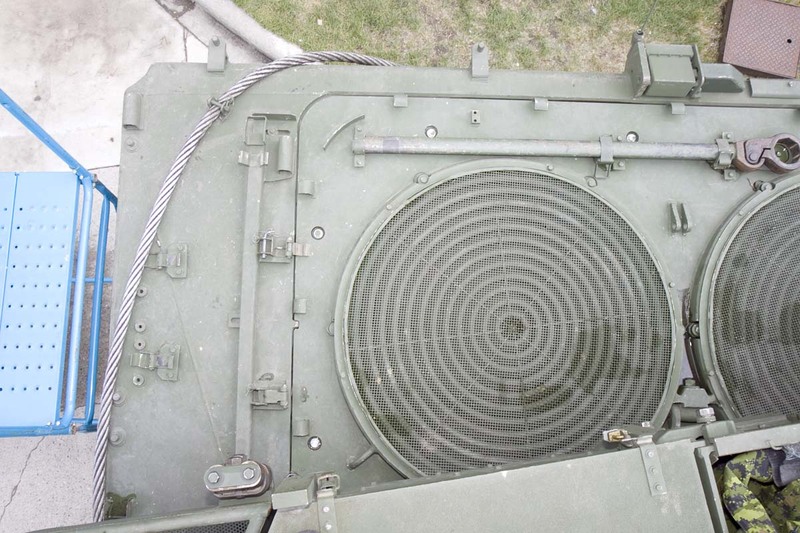 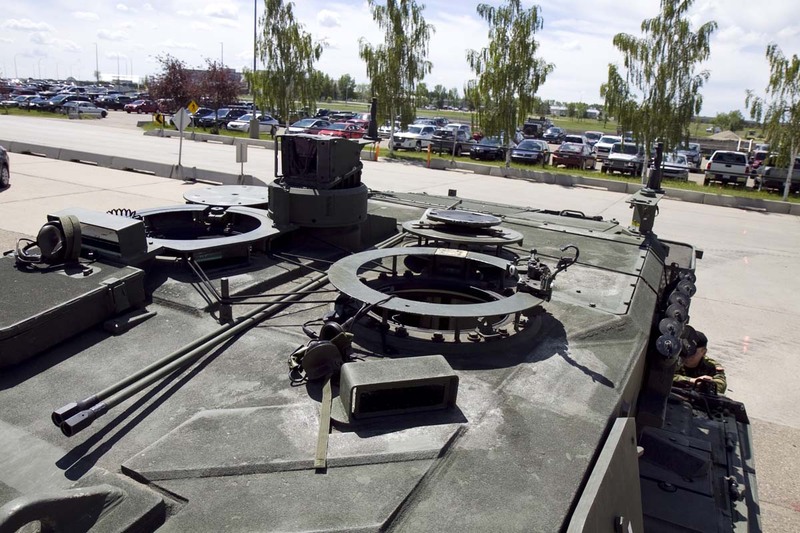 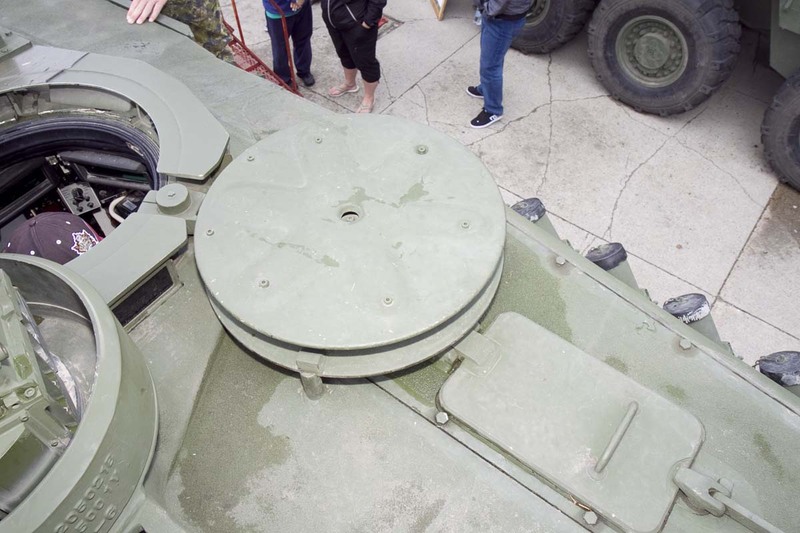 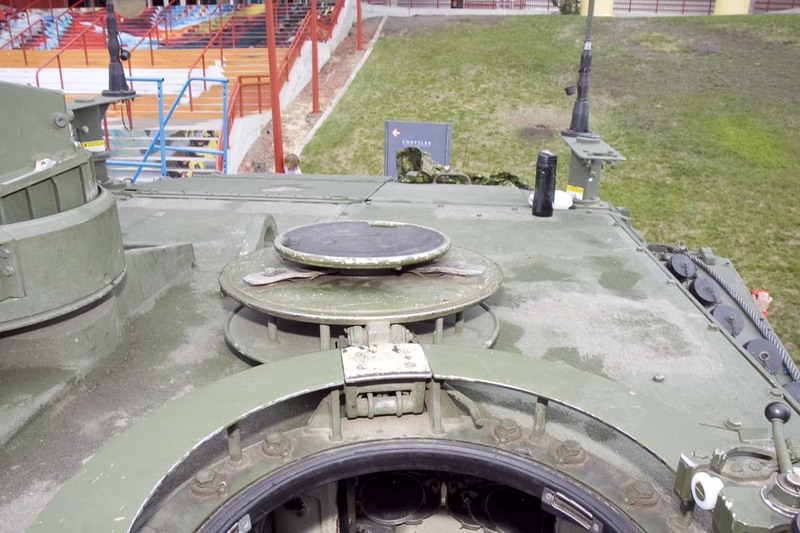 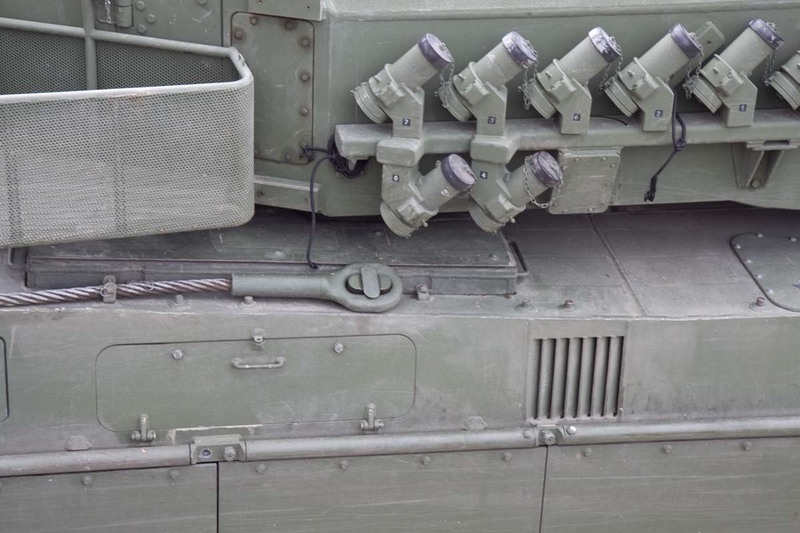 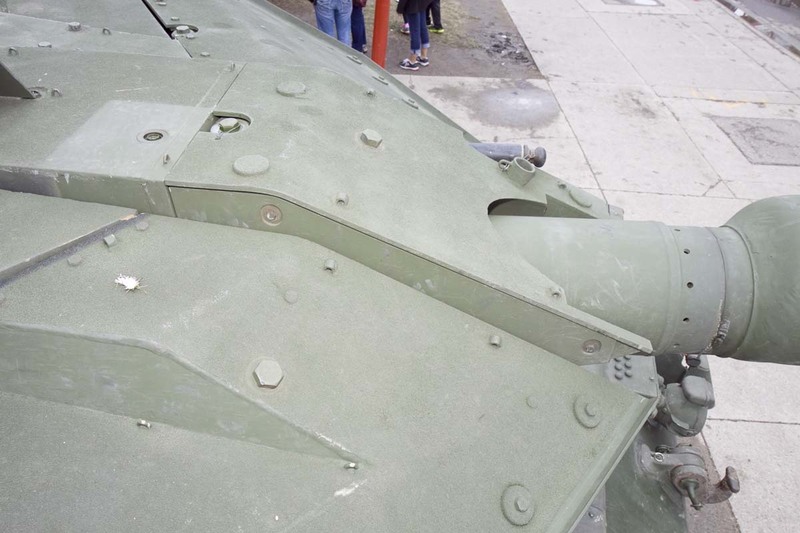 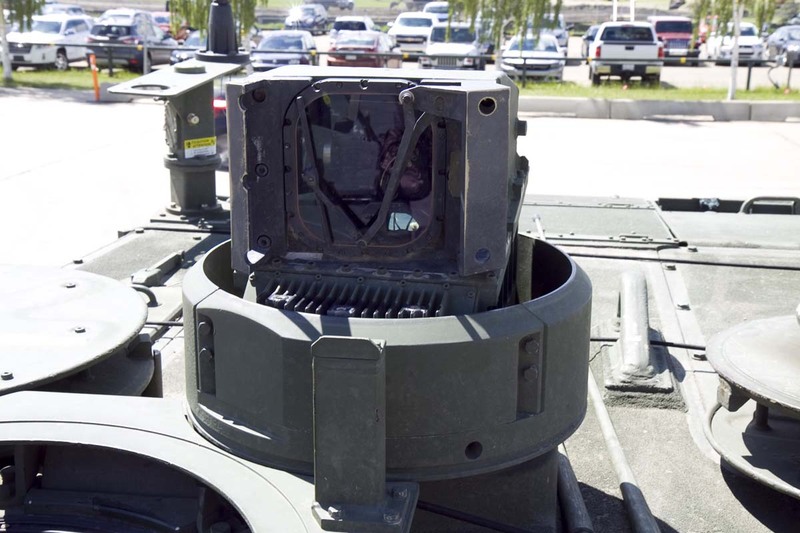 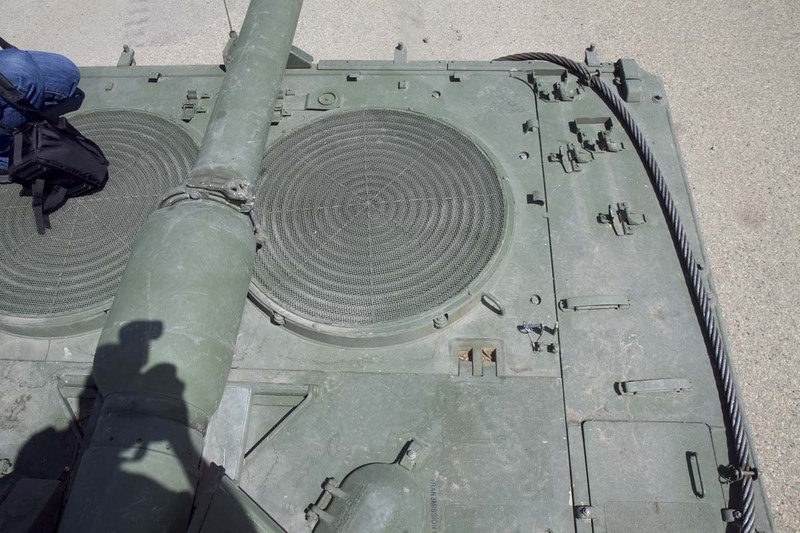 As a good example, this tank notably lacks the latest camera configuration, has a different antenna set-up, and has no grouser stowage on the glacis plate or the turret bustle. 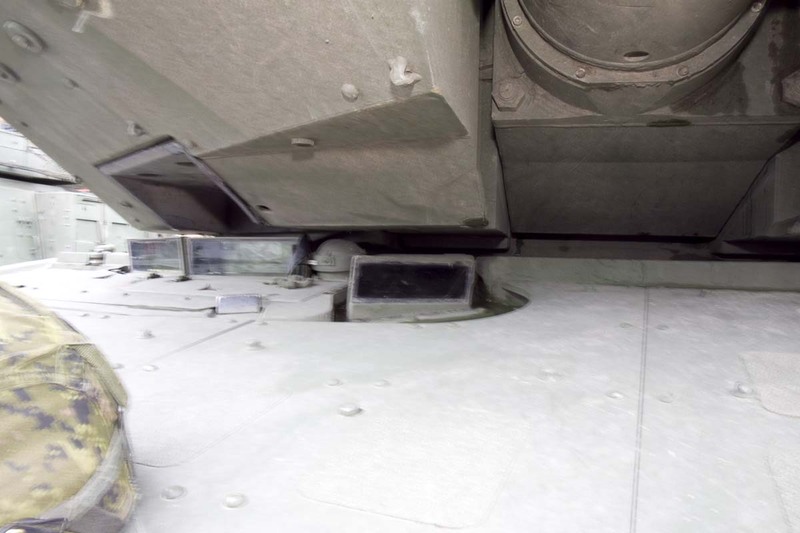 However, it is does have some of the latest mods which include engineer attachments on the lower glacius and an extended battery box in the right rear hull.